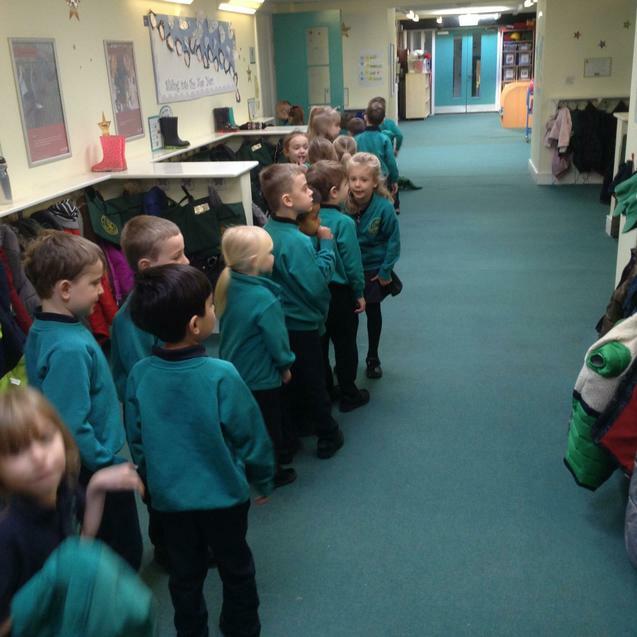 The Year 1 team would like to welcome you to the new academic year. 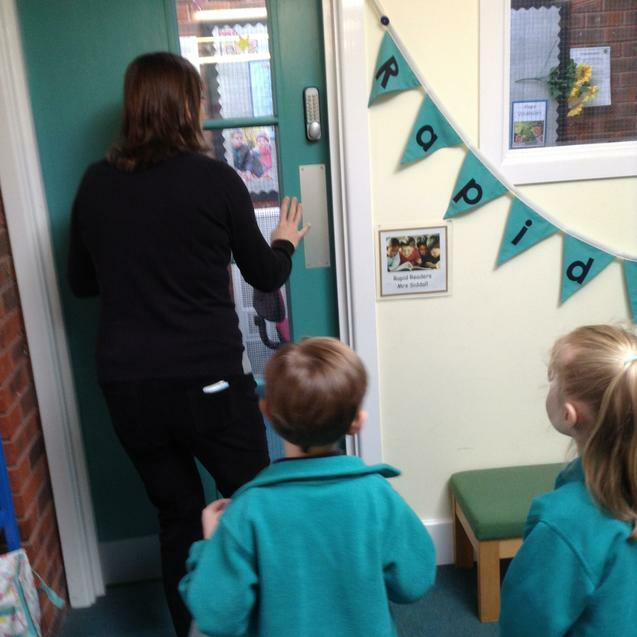 We hope you've all had a lovely break and your child is ready to learn new and exciting things we have in store for them. 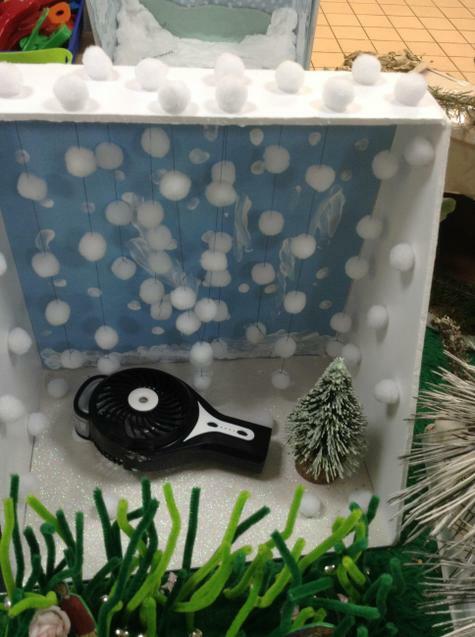 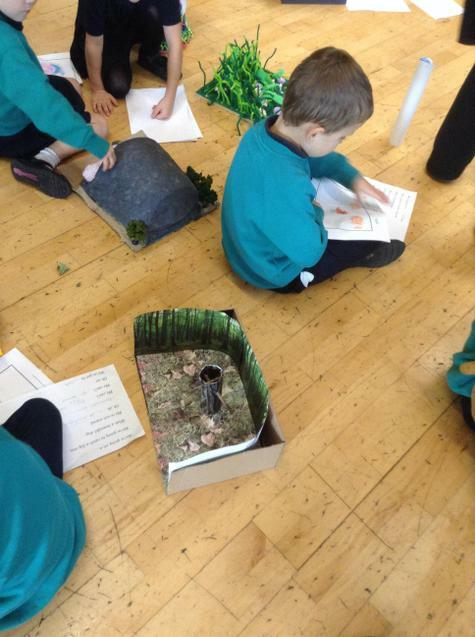 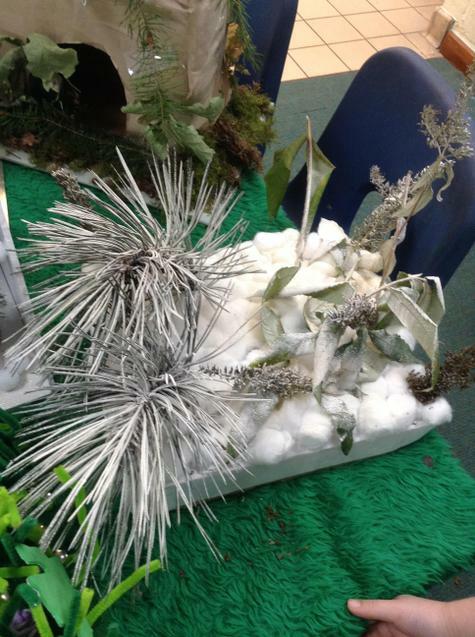 We strive to make our learning environments interesting and exciting where we will develop a range of thinking skills through first hand experiences. 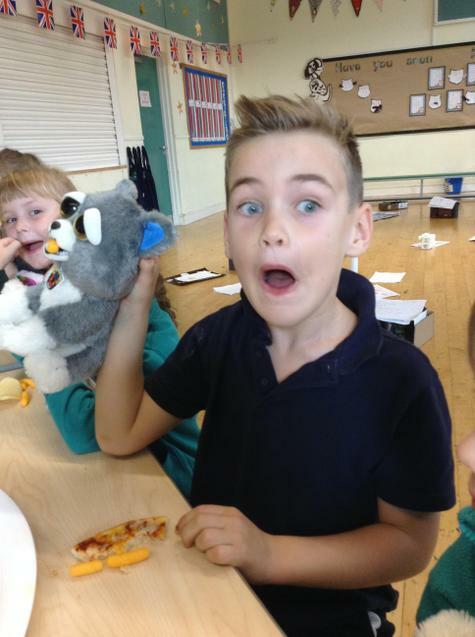 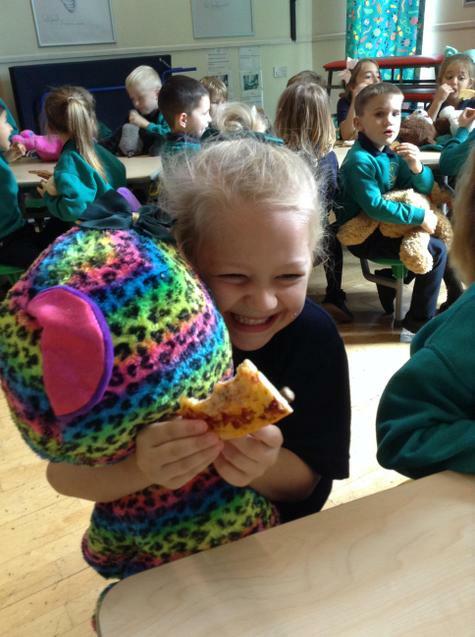 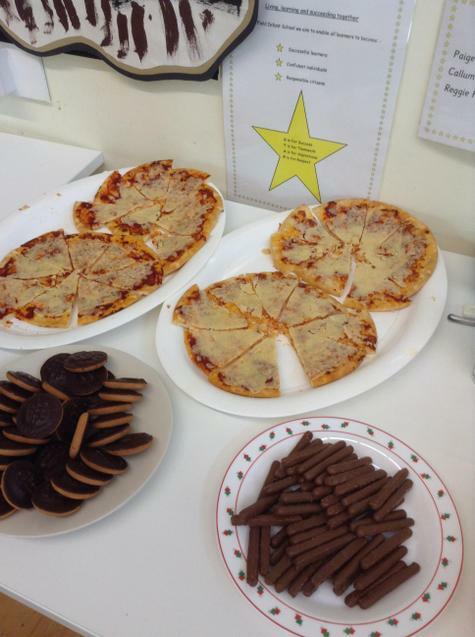 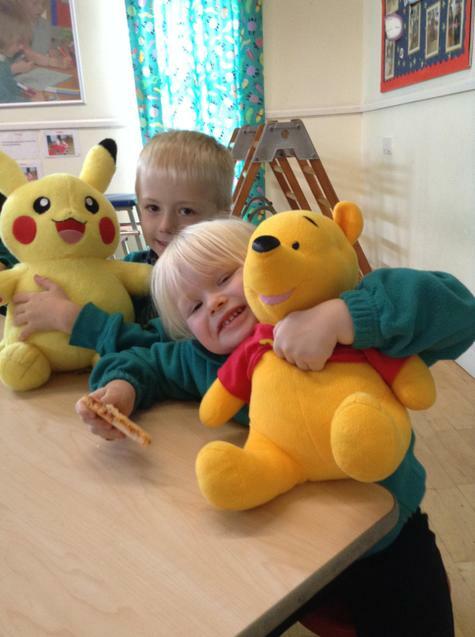 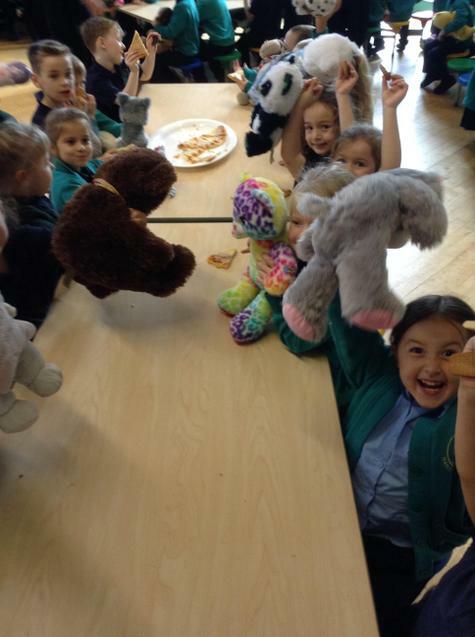 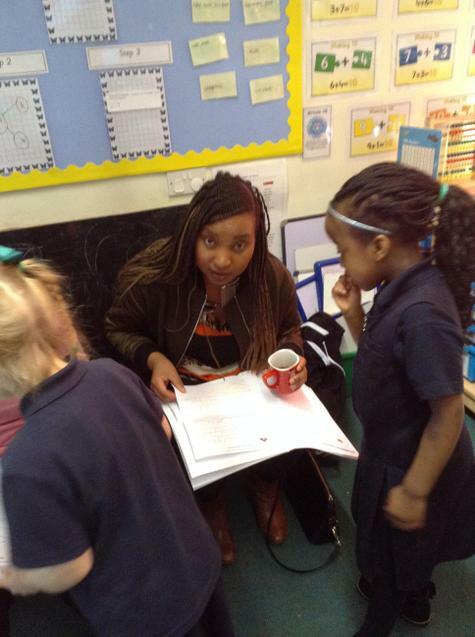 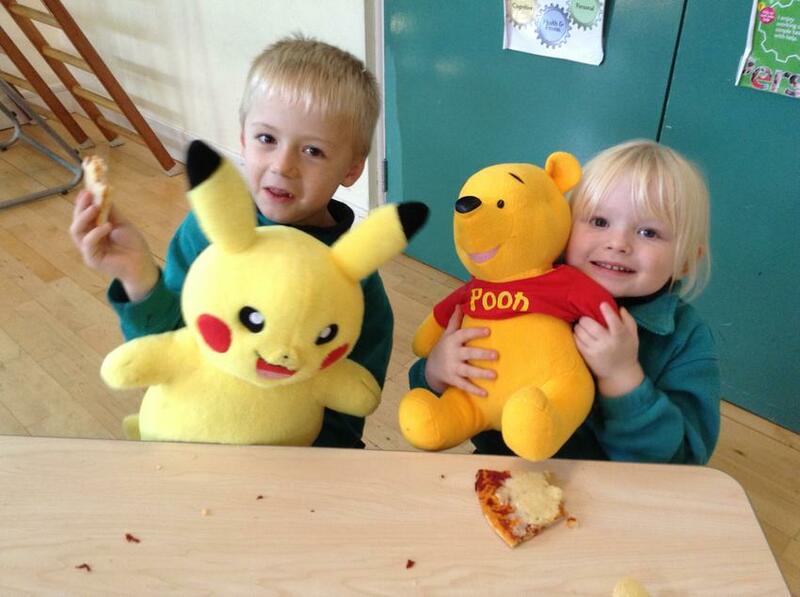 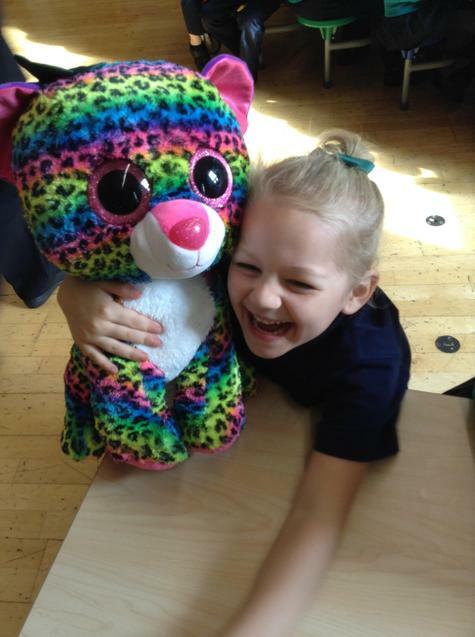 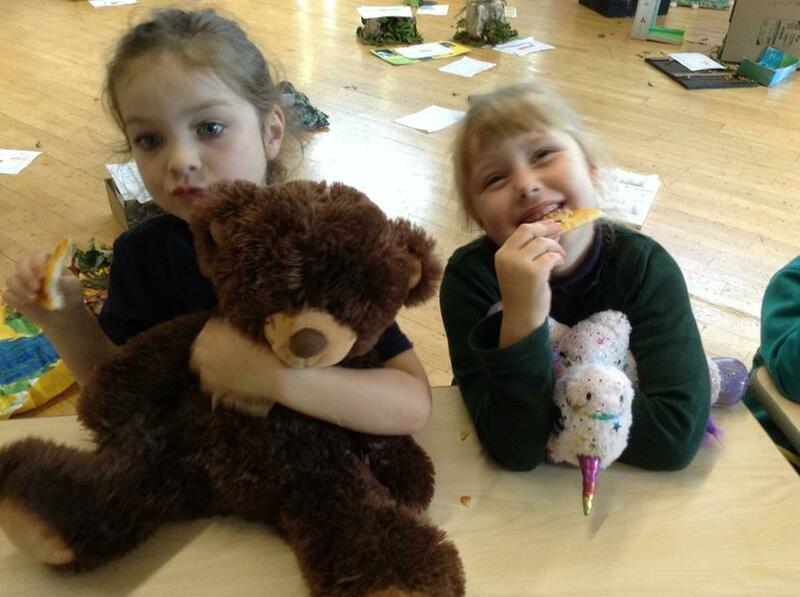 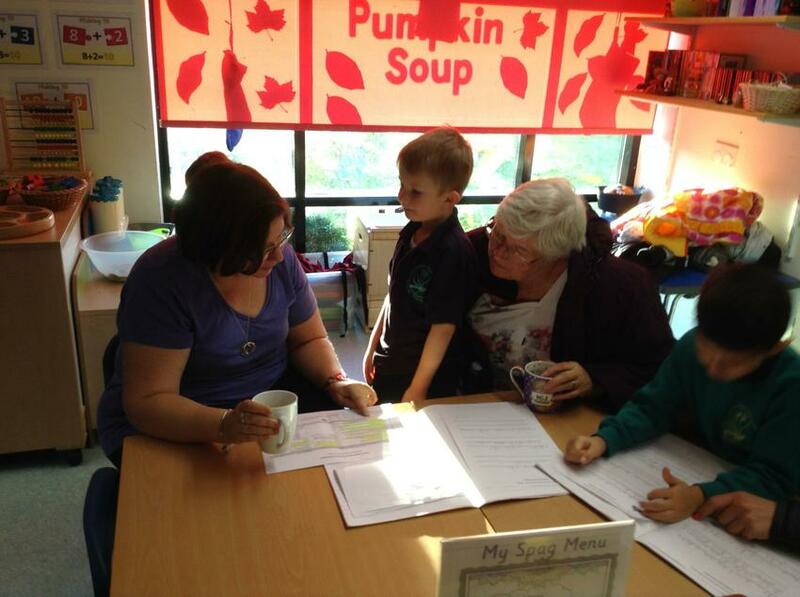 We will provide a stimulating, challenging and friendly working environment where every child is valued. 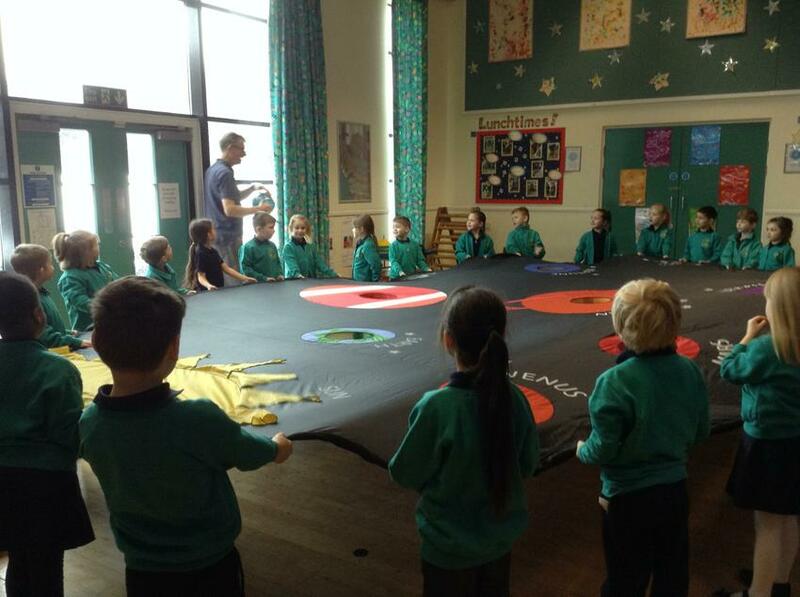 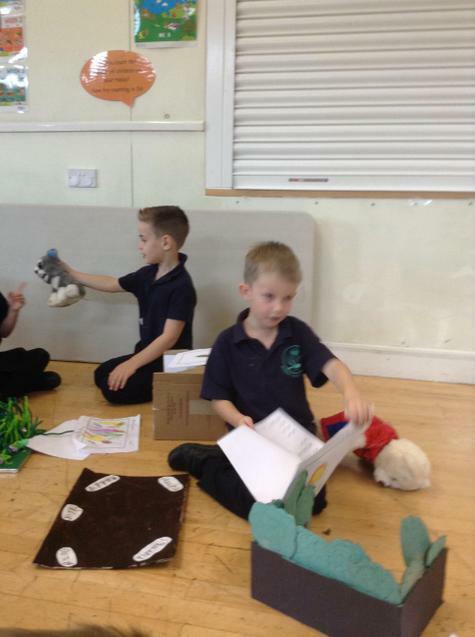 The children will still experience play, as we feel it plays a crucial role in children’s learning in all areas especially helping get top grips with the National Curriculum. 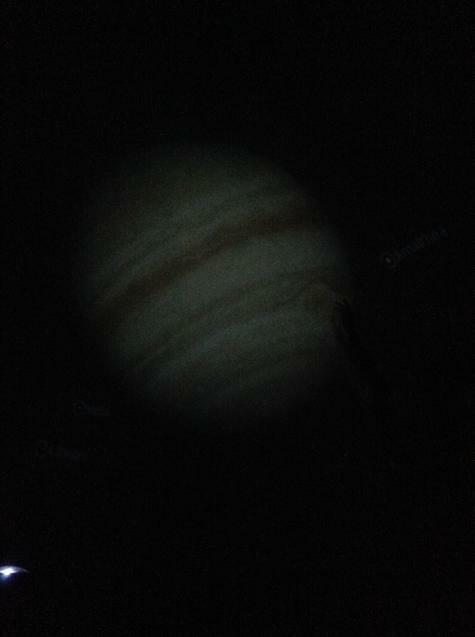 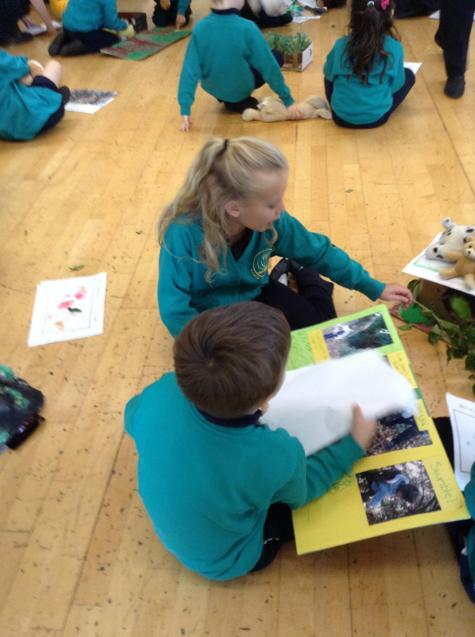 To enhance the children's learning we will be providing experiences which will include off-site trips. 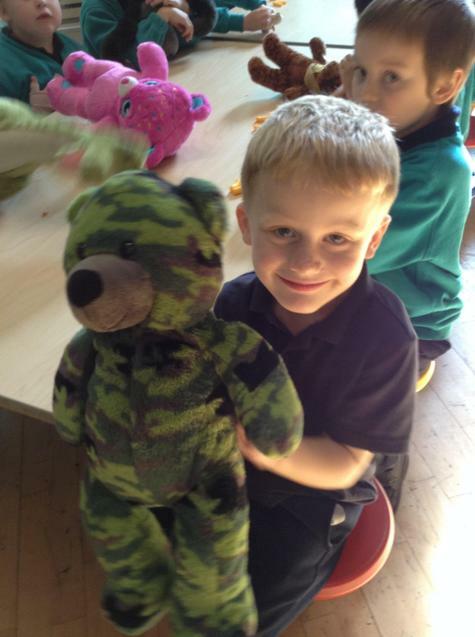 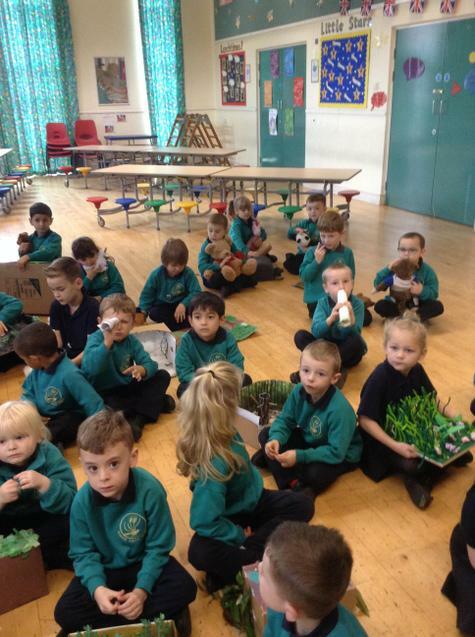 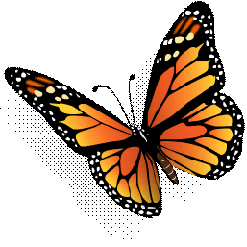 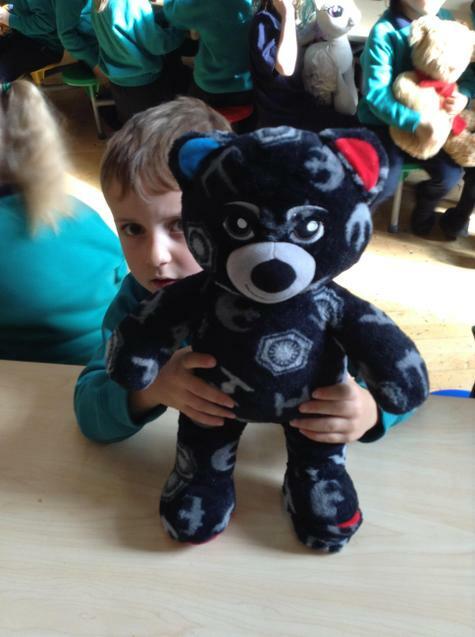 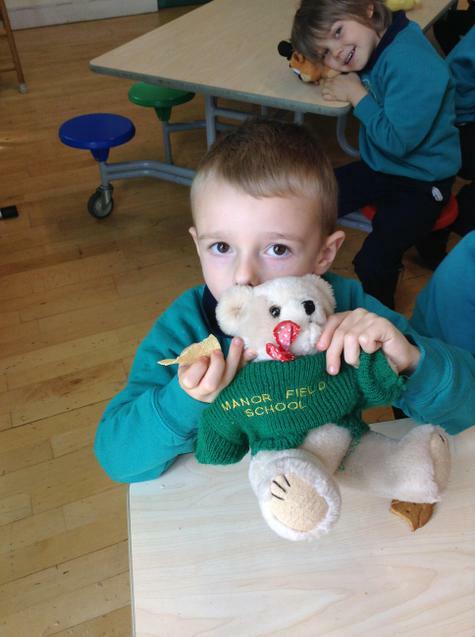 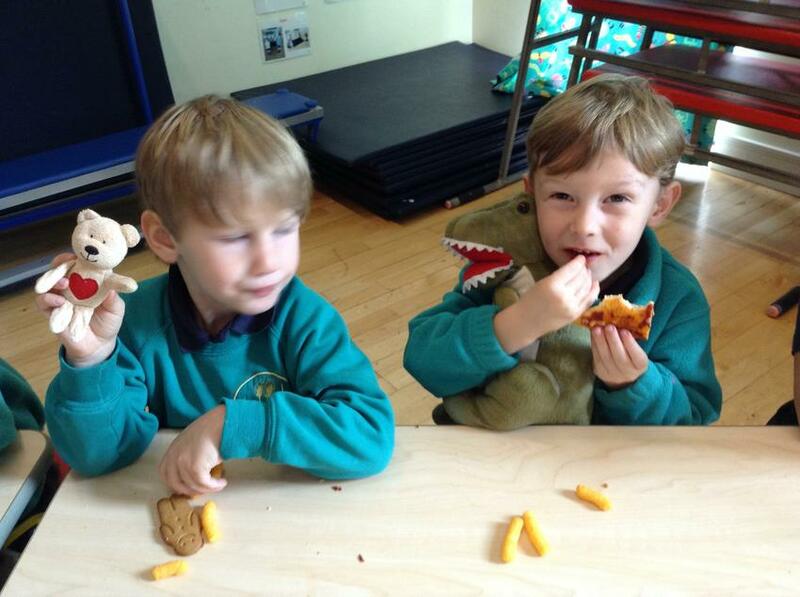 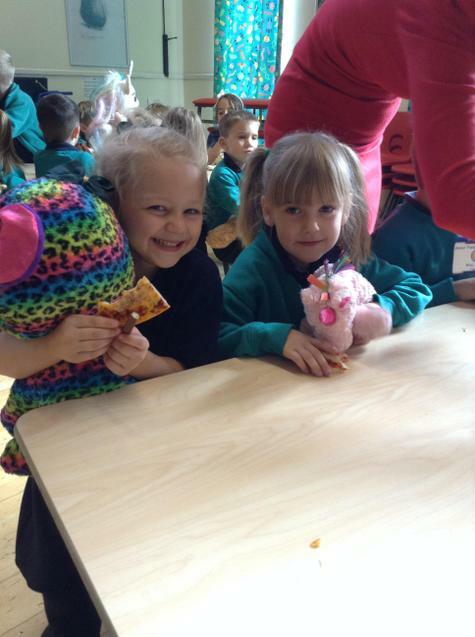 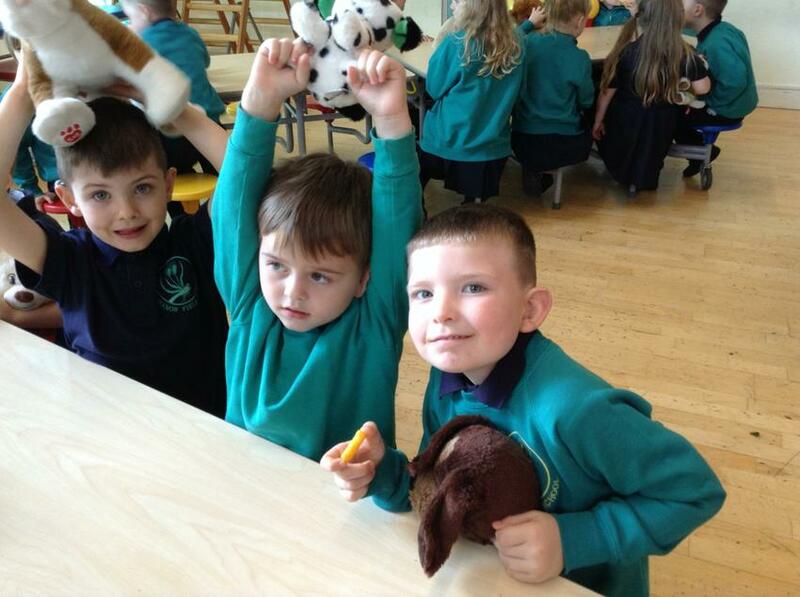 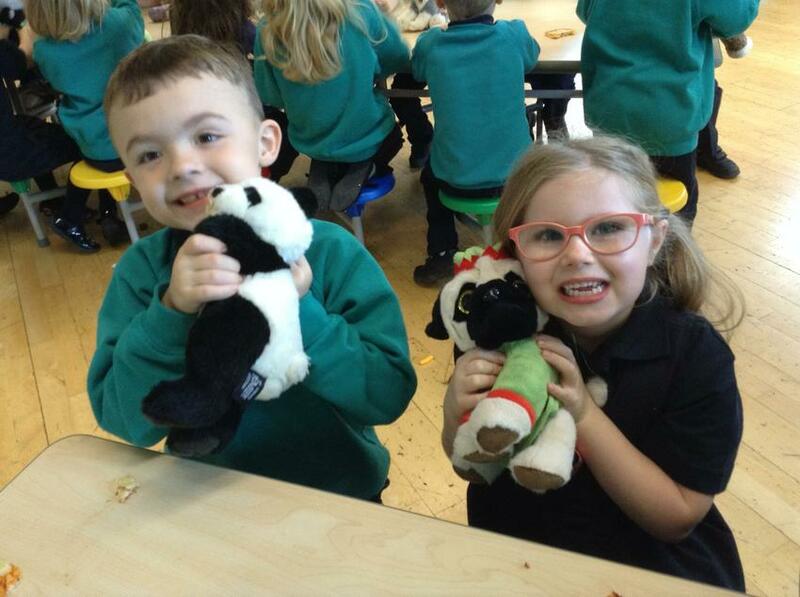 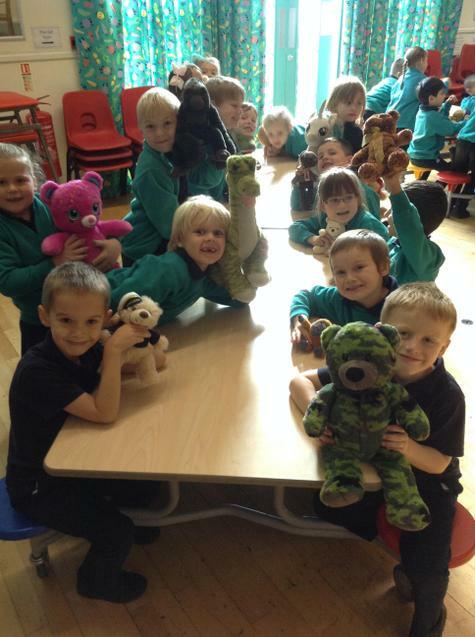 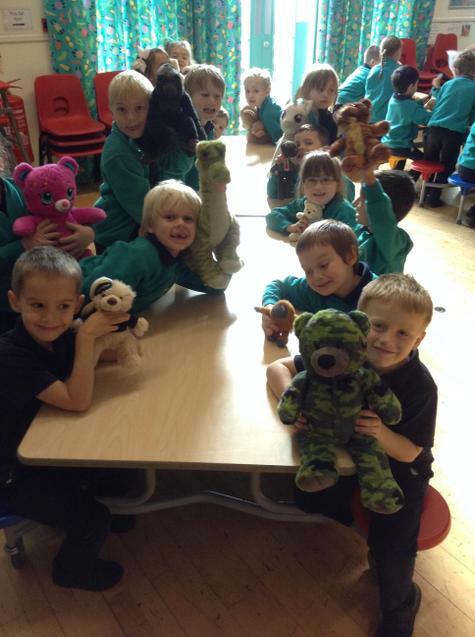 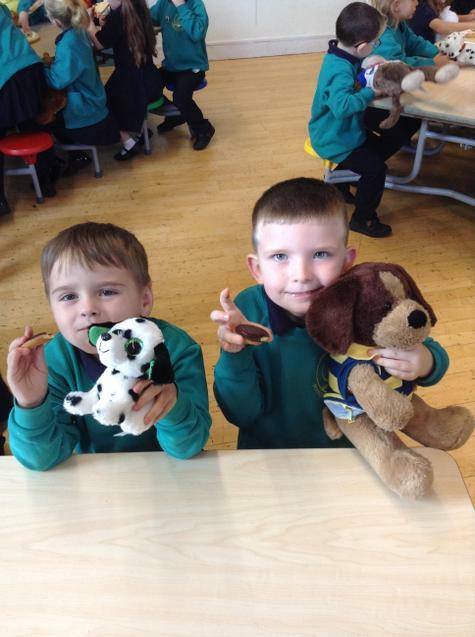 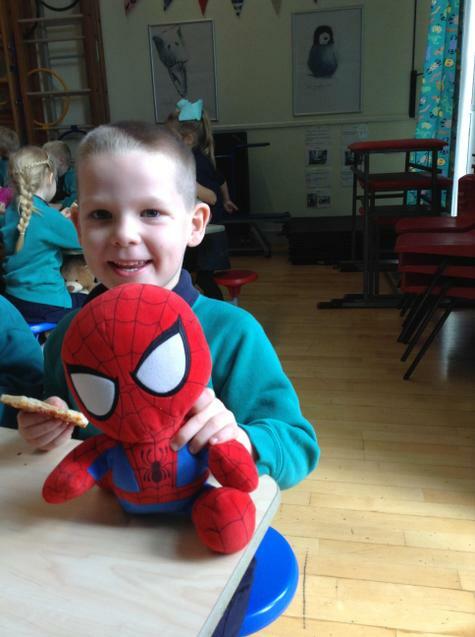 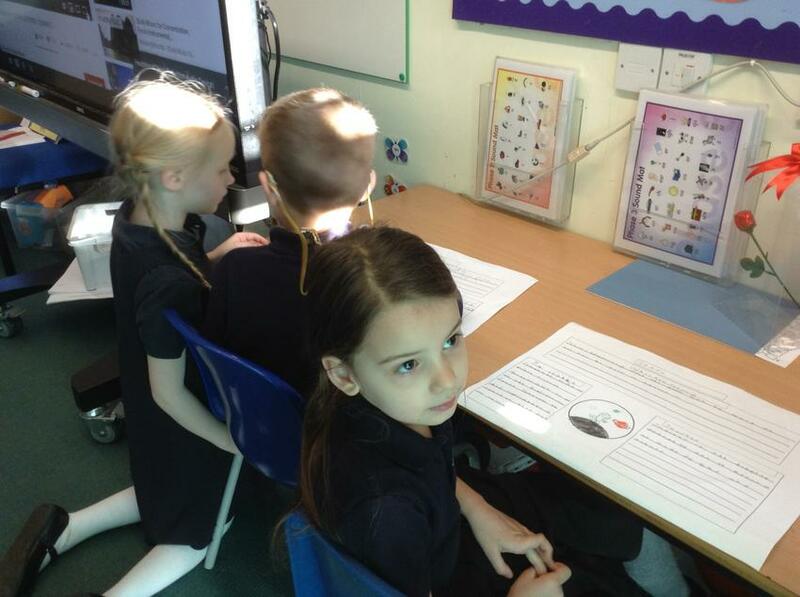 If you have any questions about Year 1 please do not hesitate to contact your class teacher. 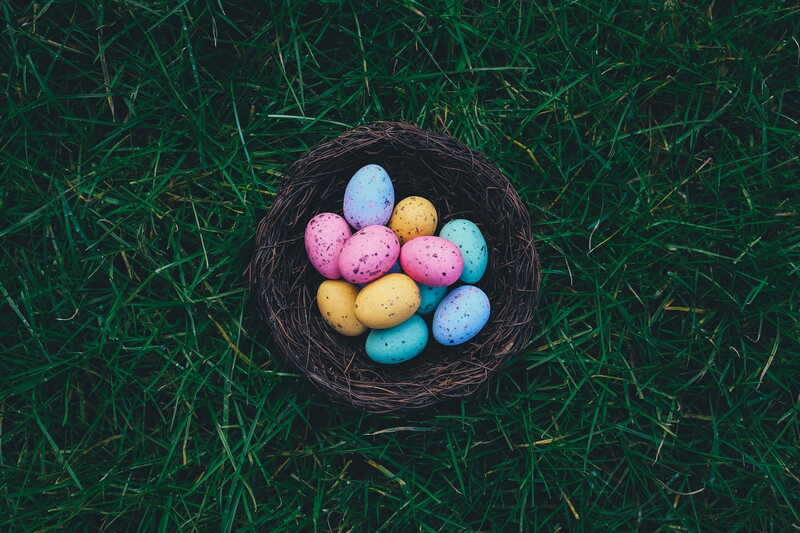 Thank you for your continued support this half term, have a restful and happy Easter. 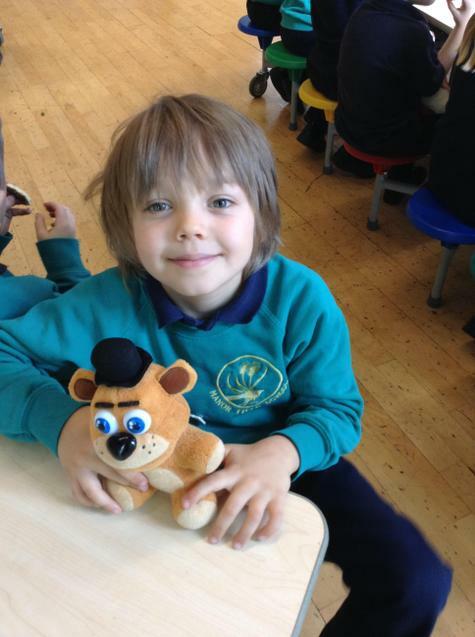 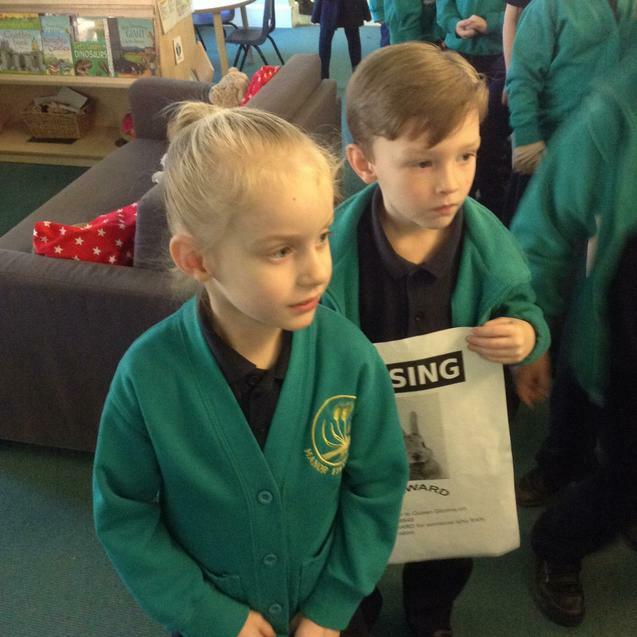 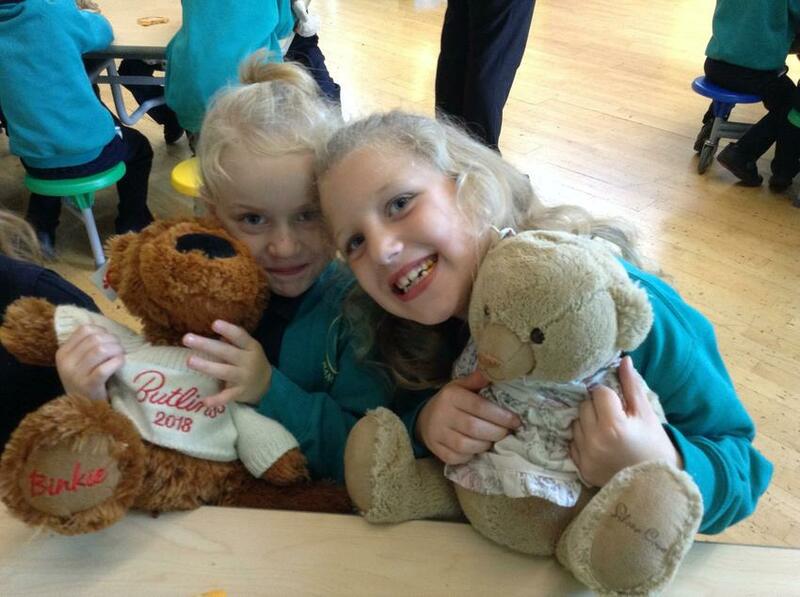 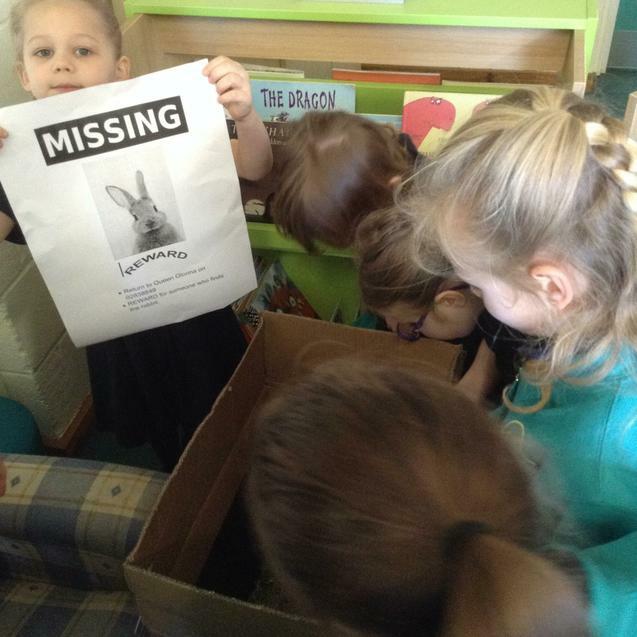 The children arrived into school to find Missing Posters around the school. 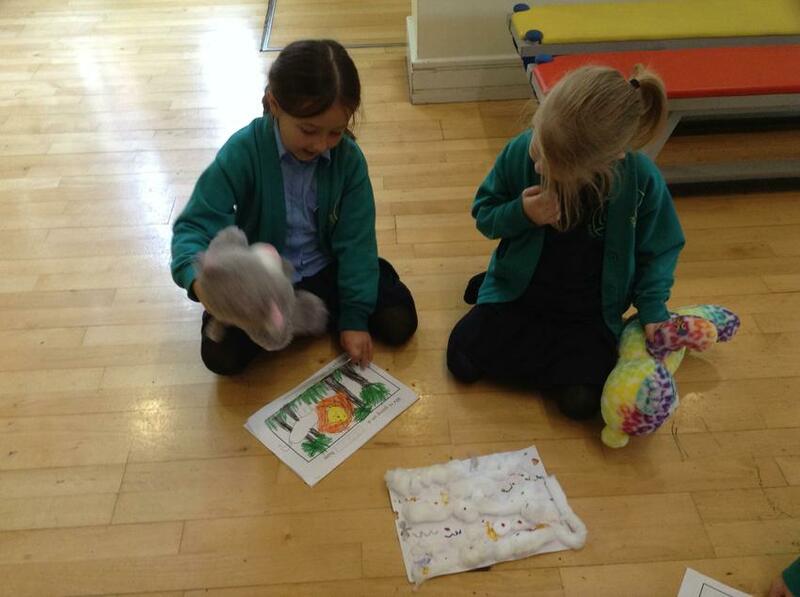 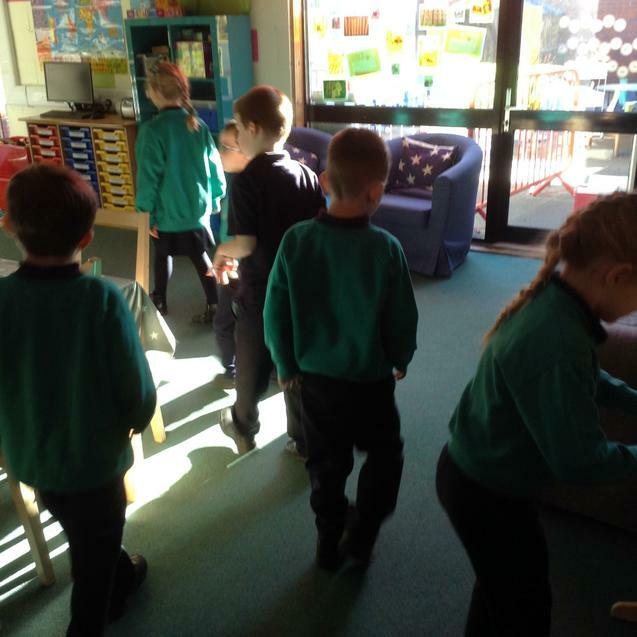 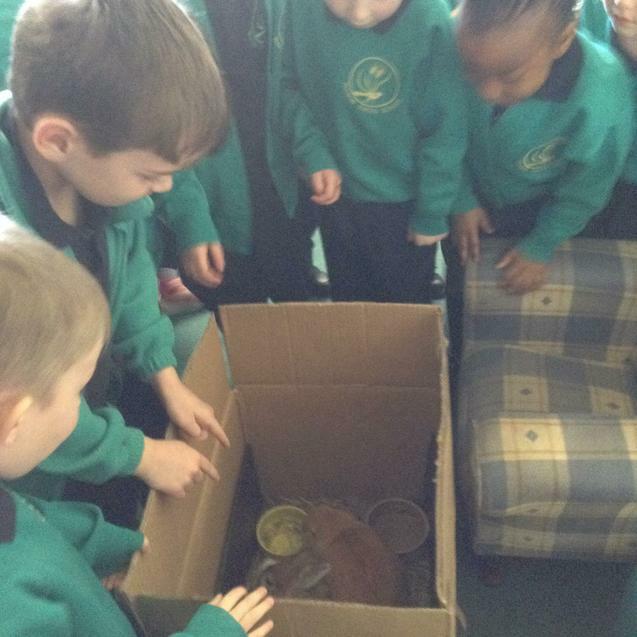 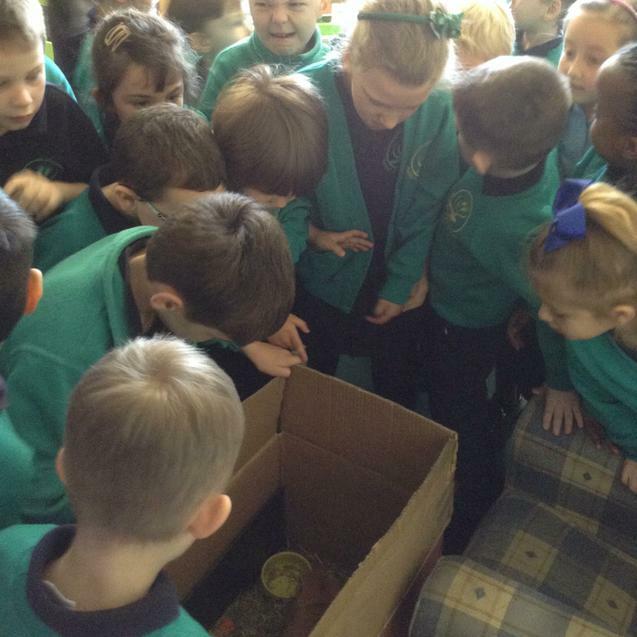 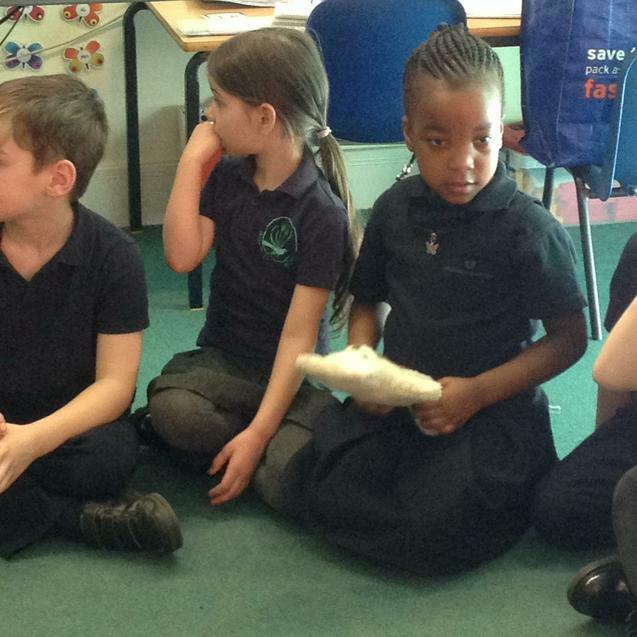 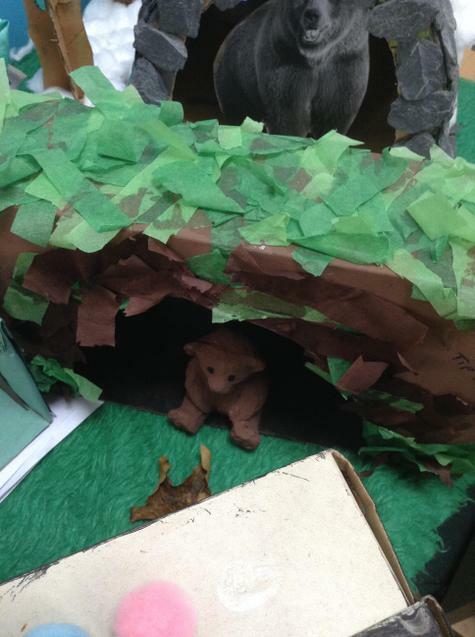 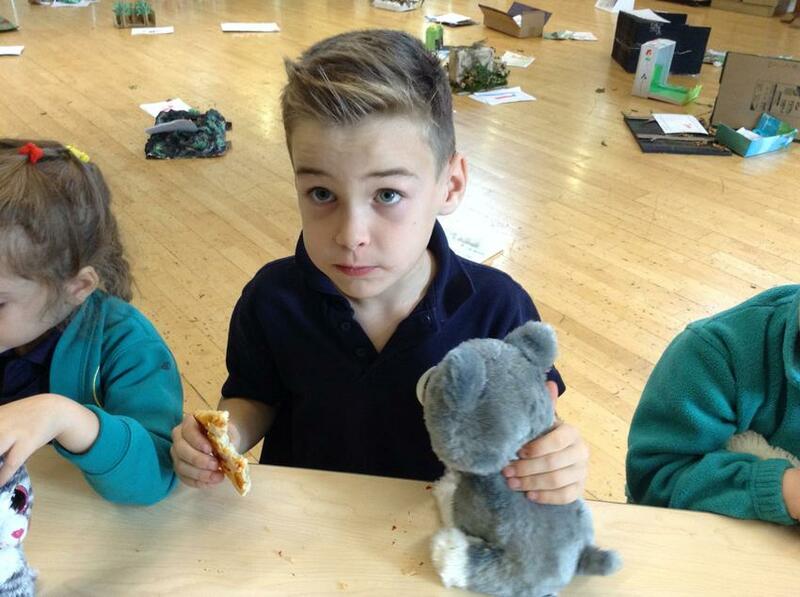 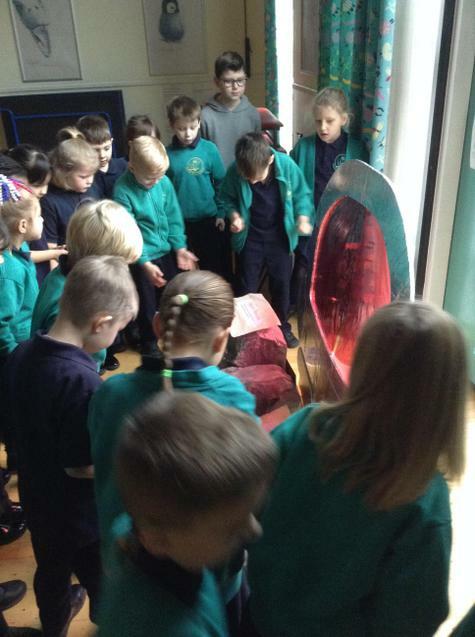 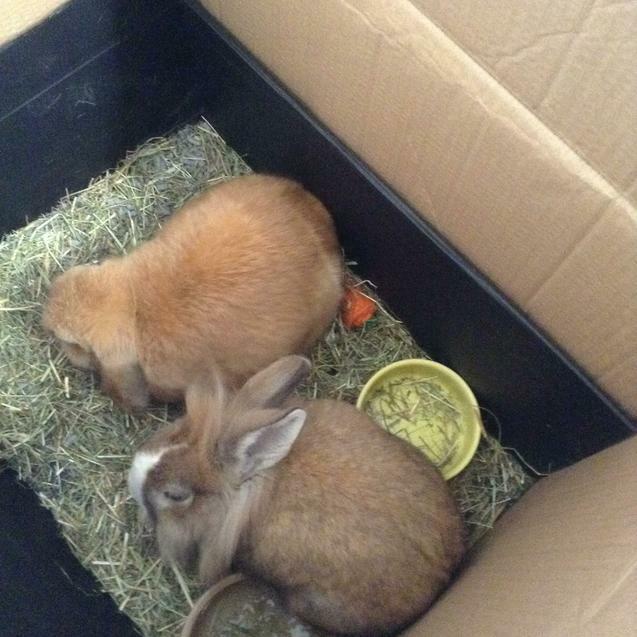 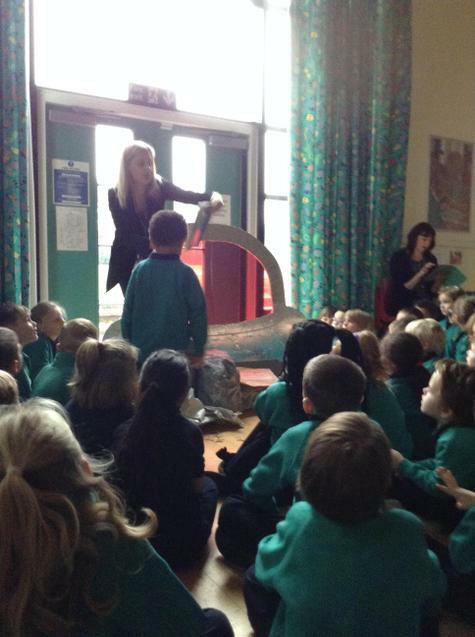 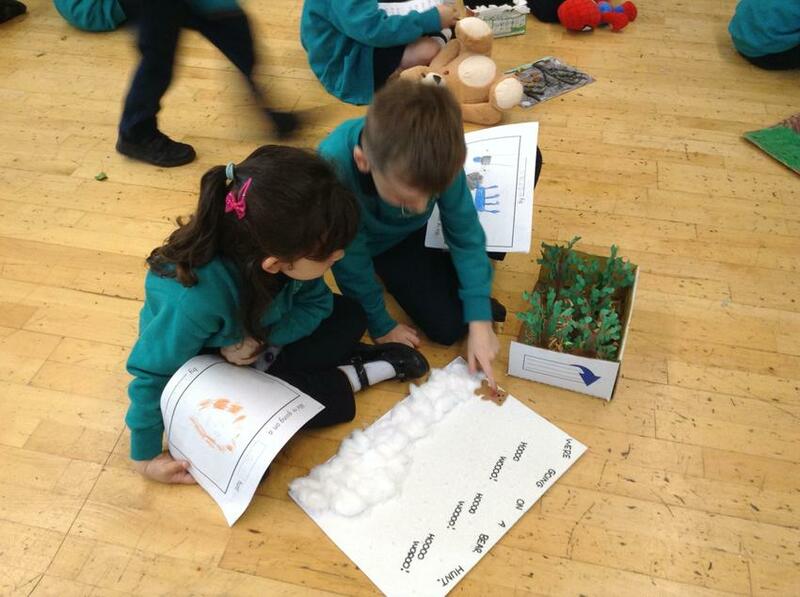 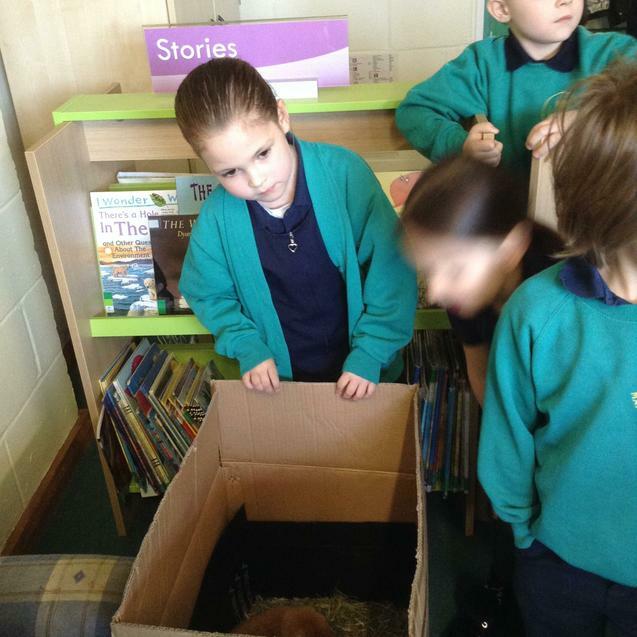 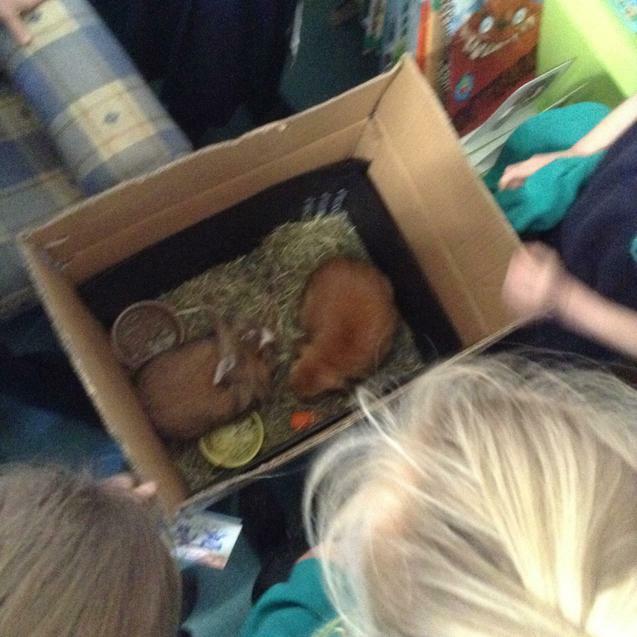 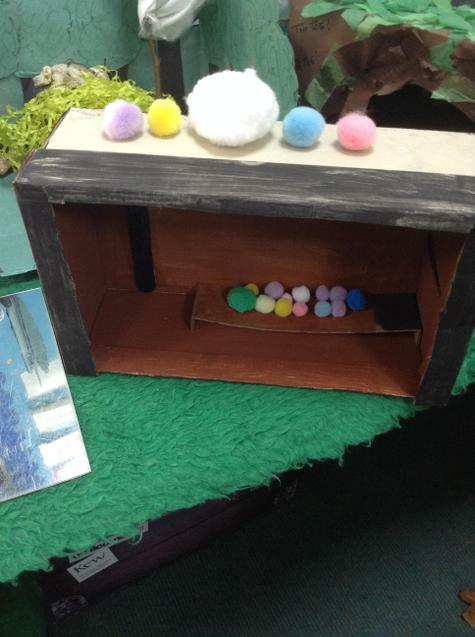 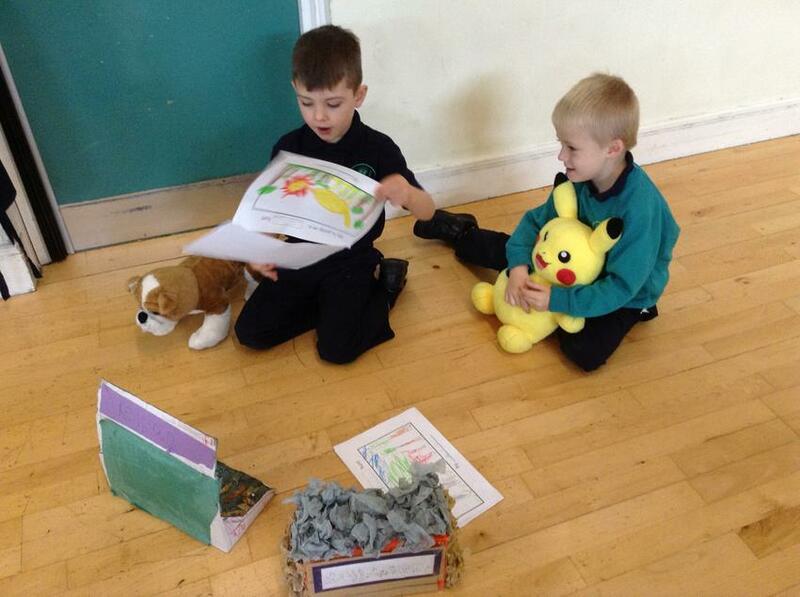 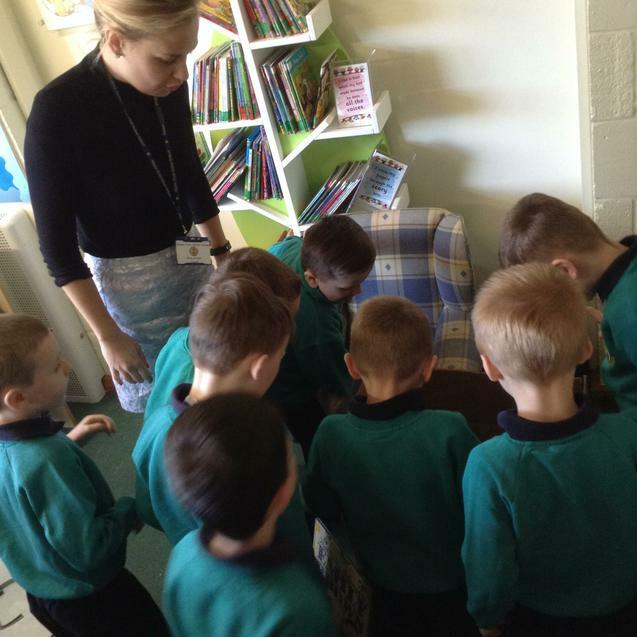 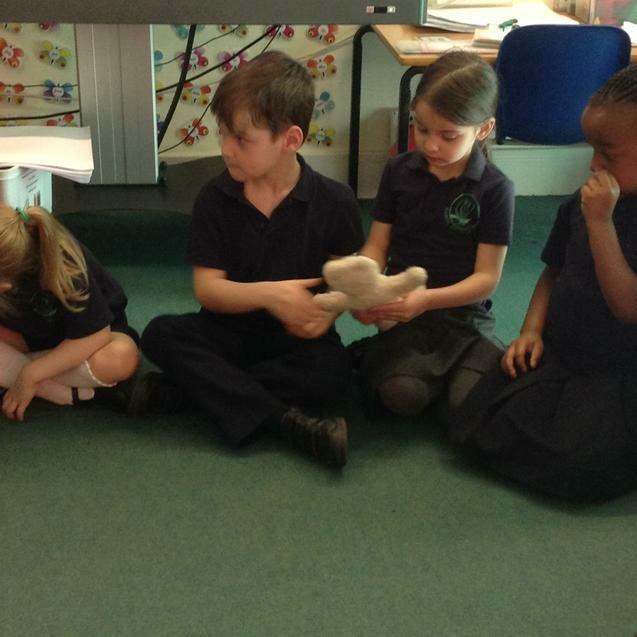 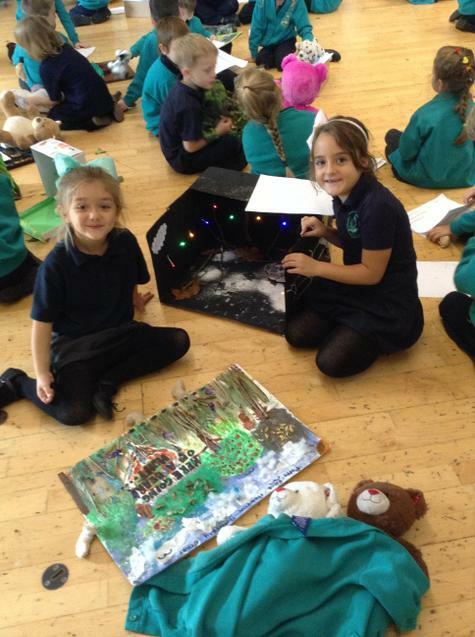 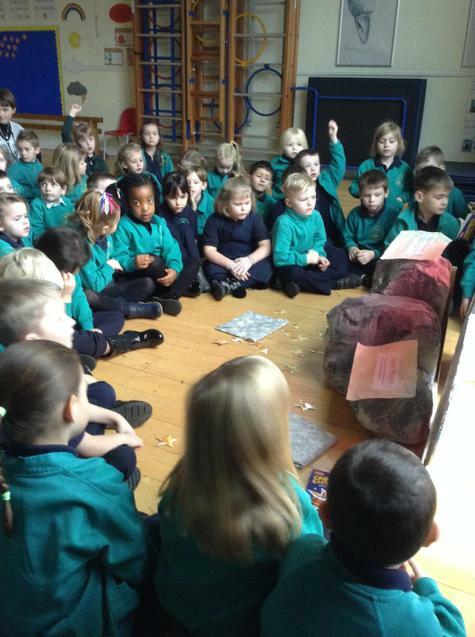 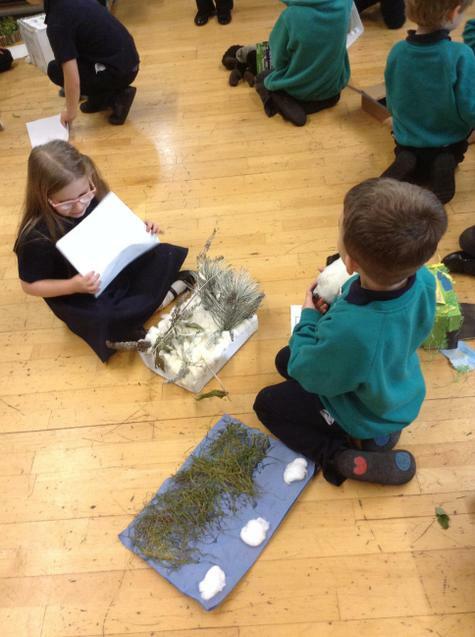 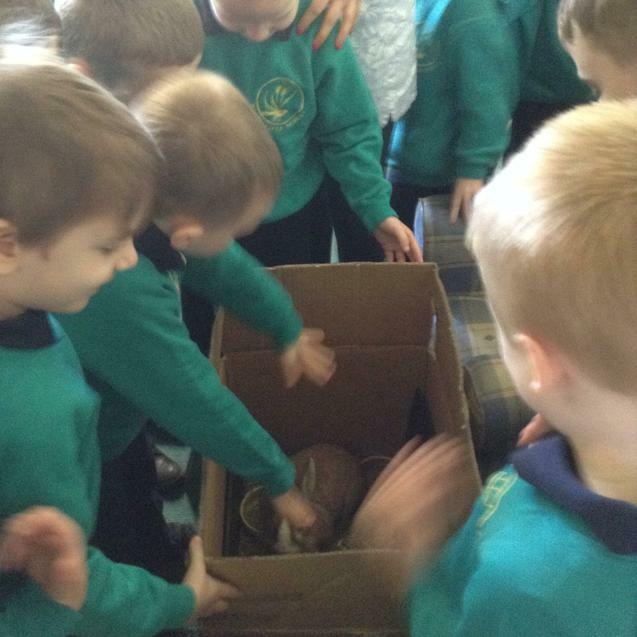 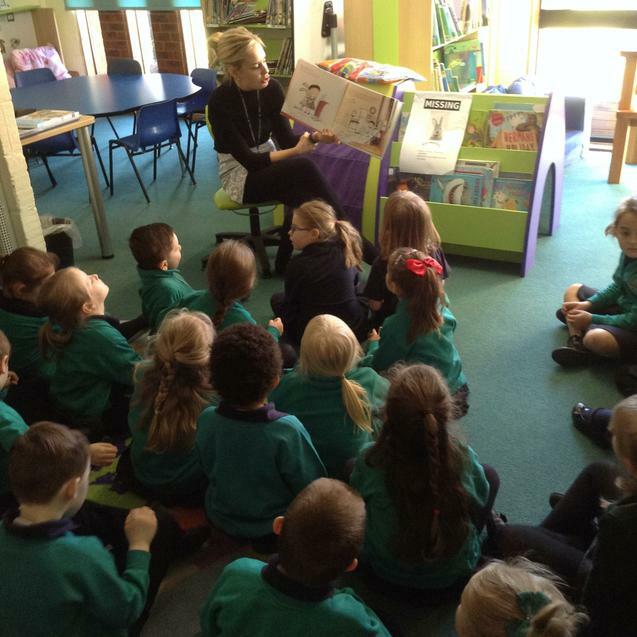 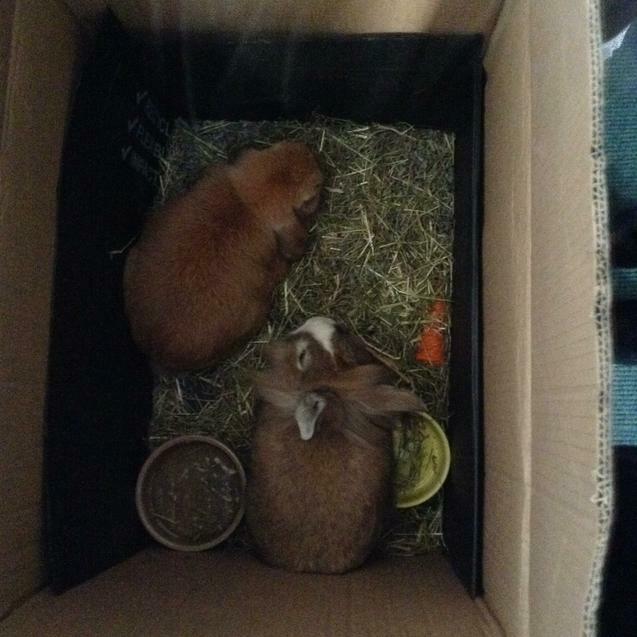 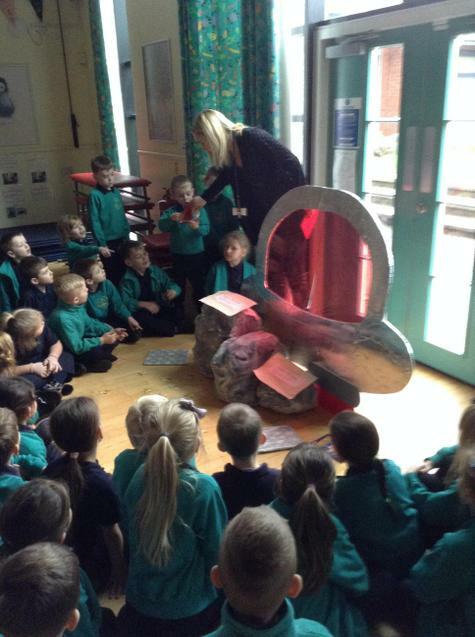 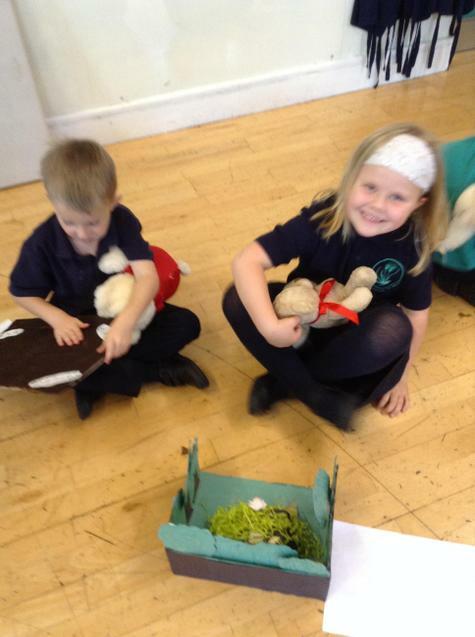 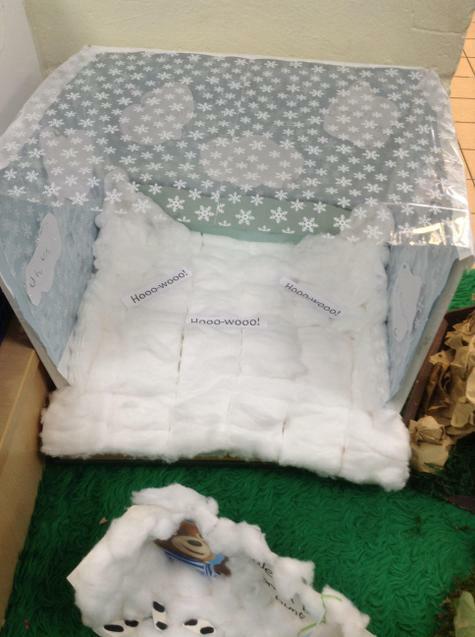 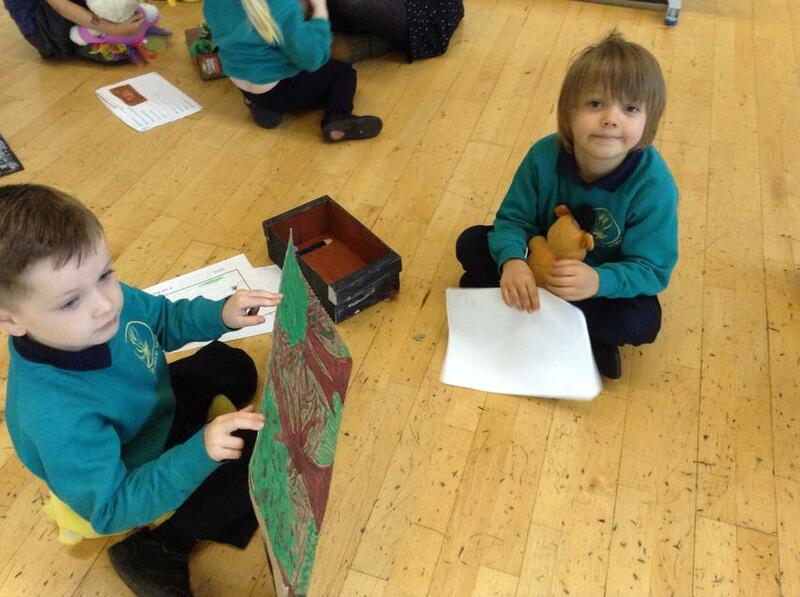 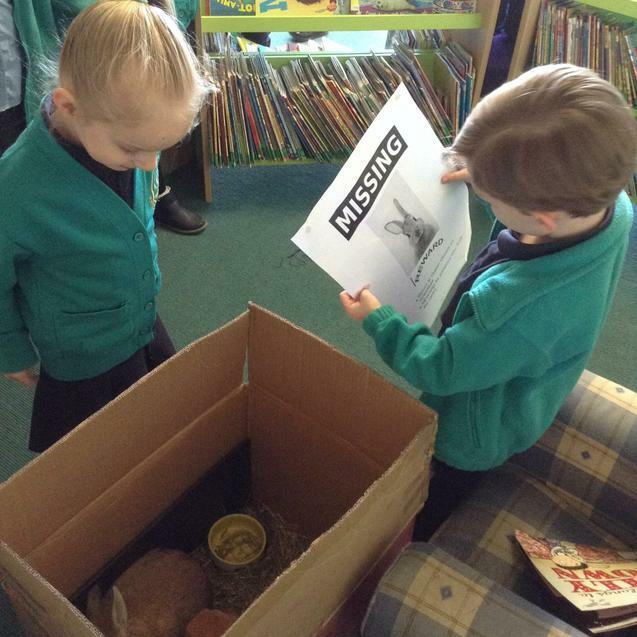 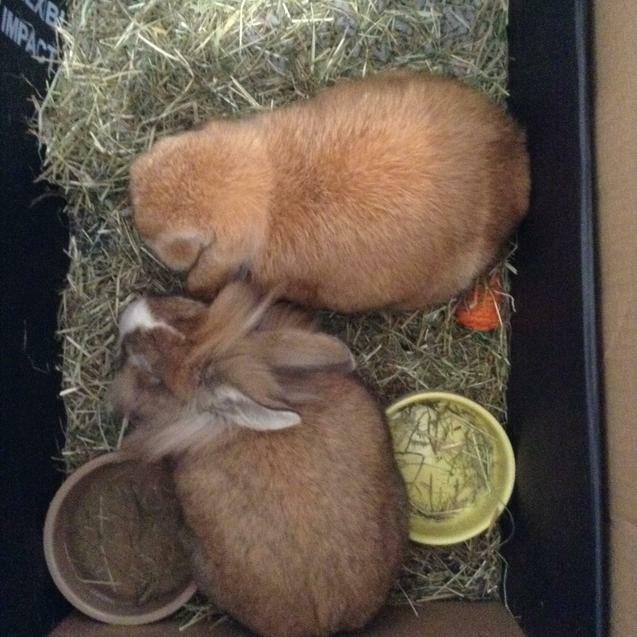 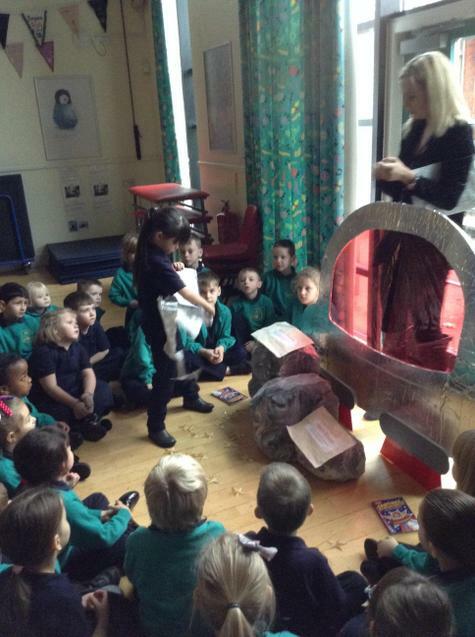 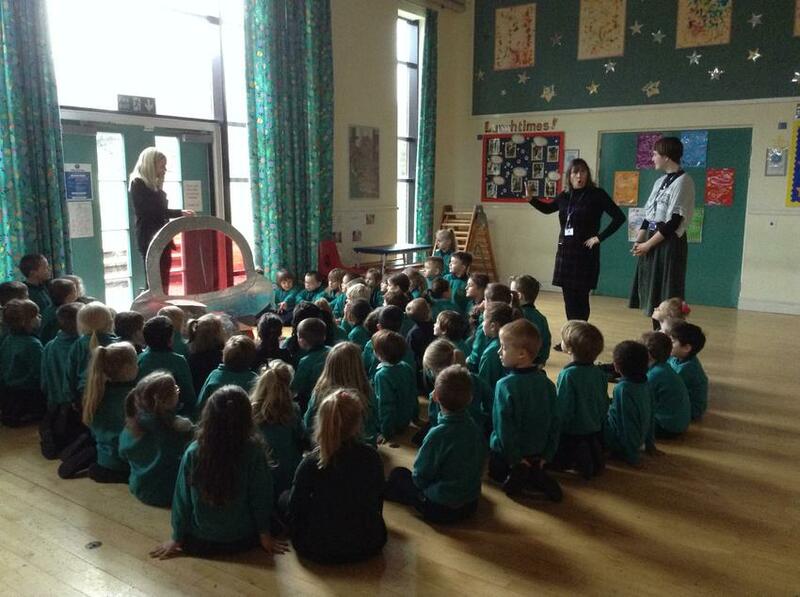 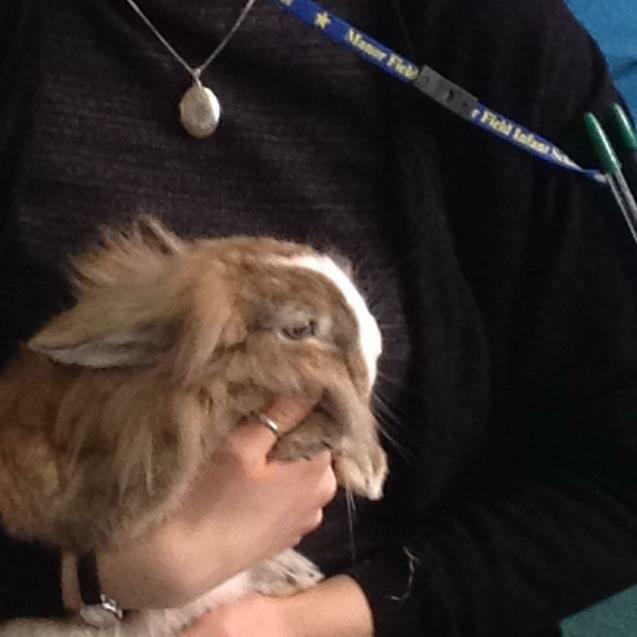 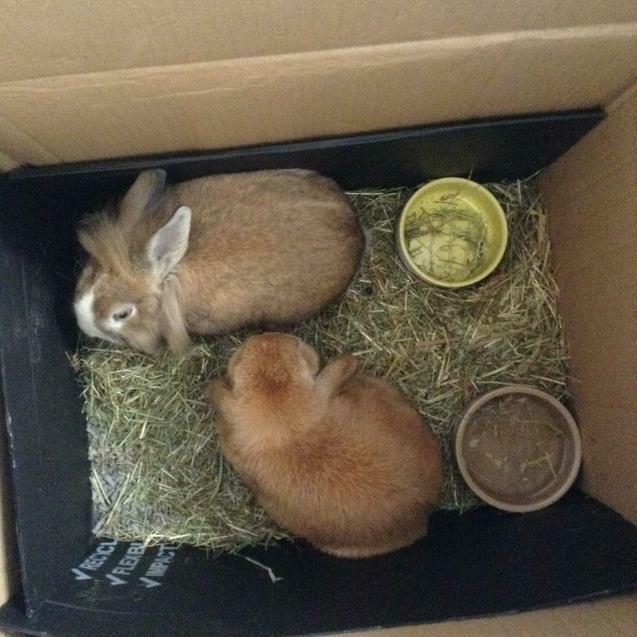 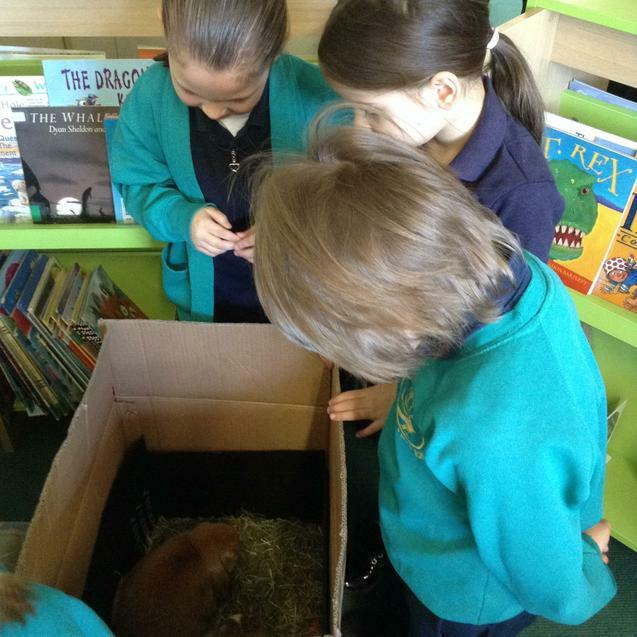 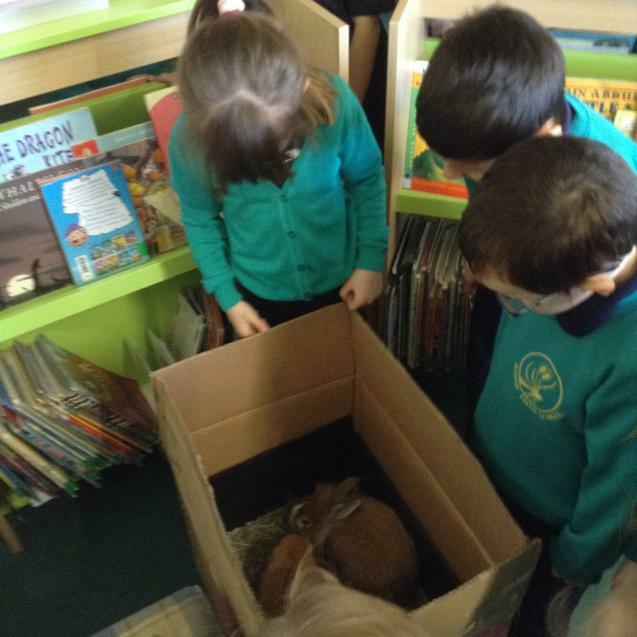 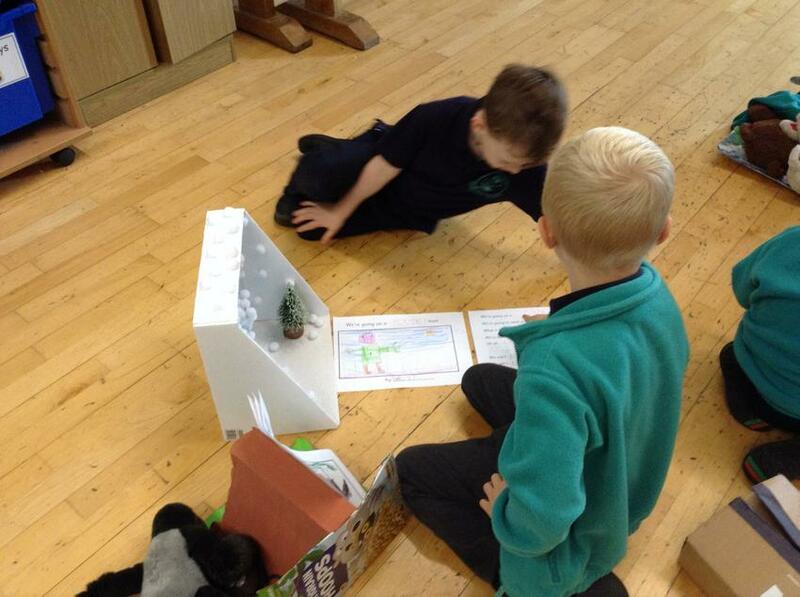 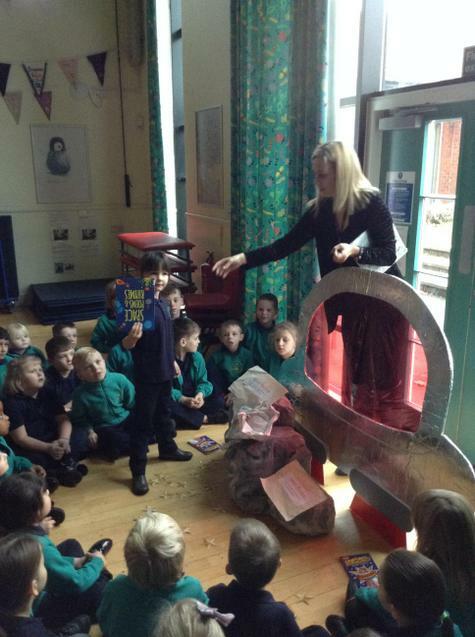 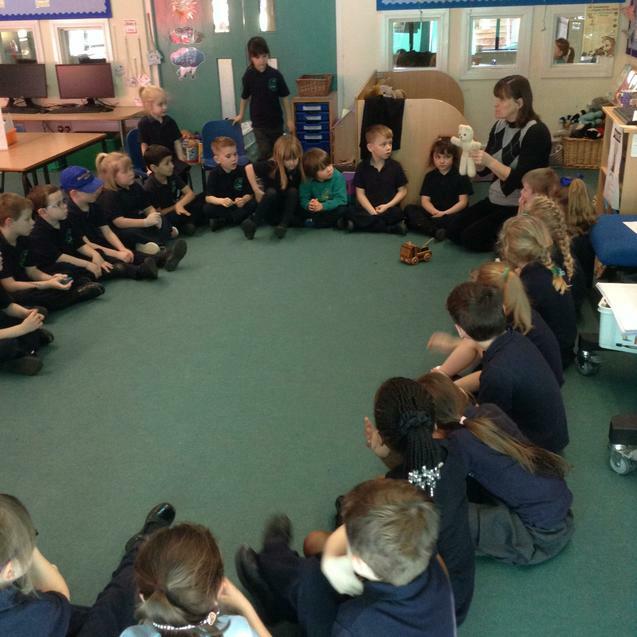 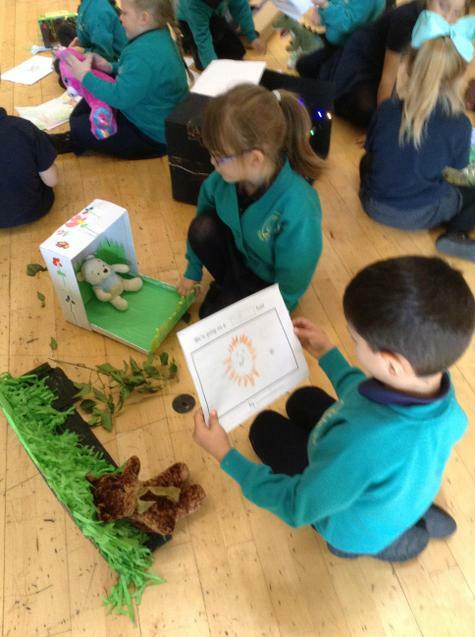 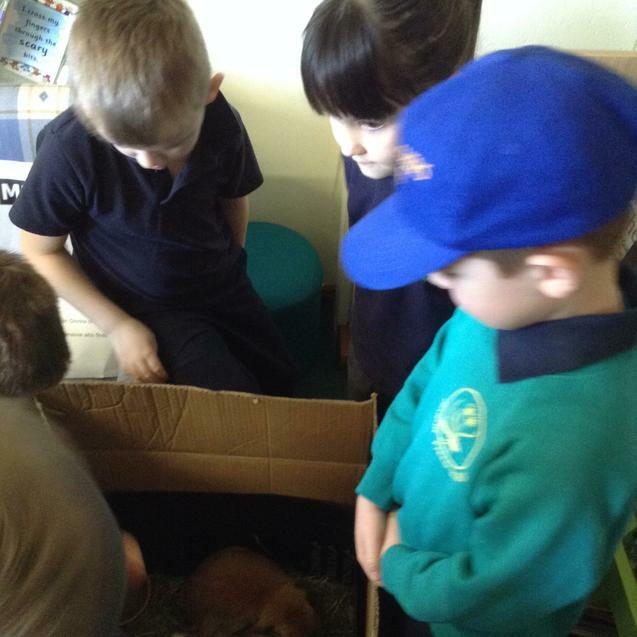 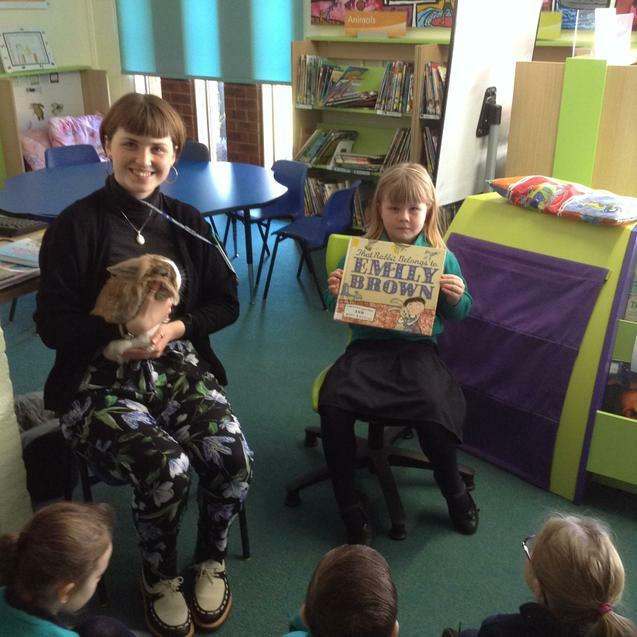 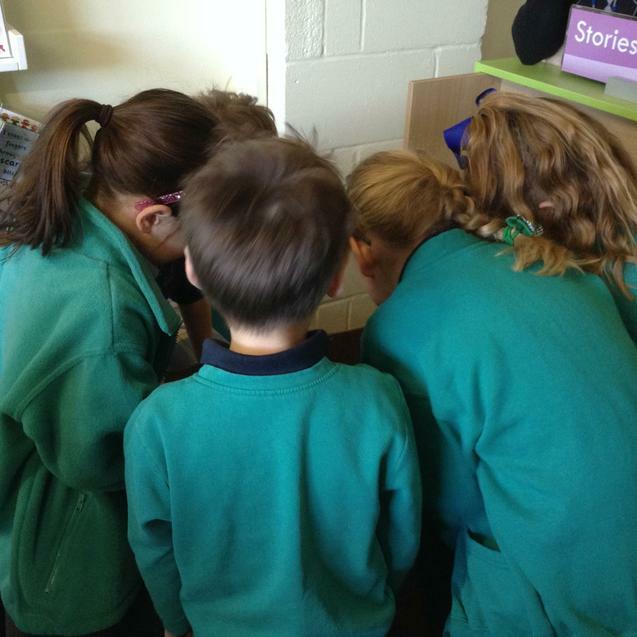 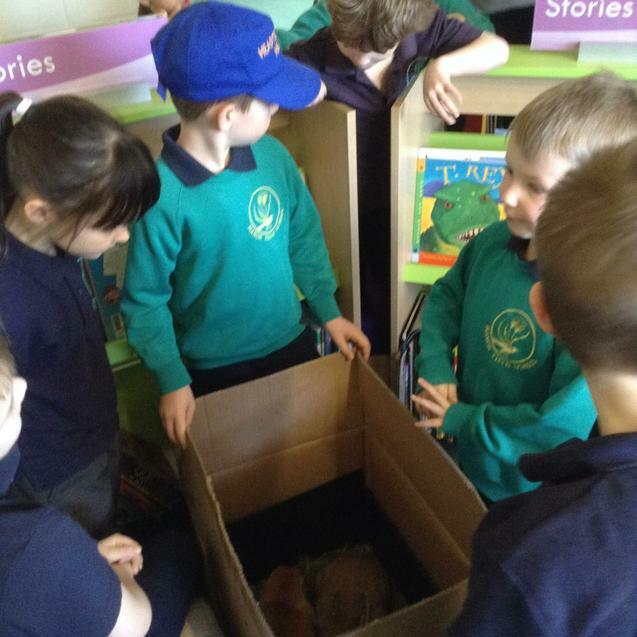 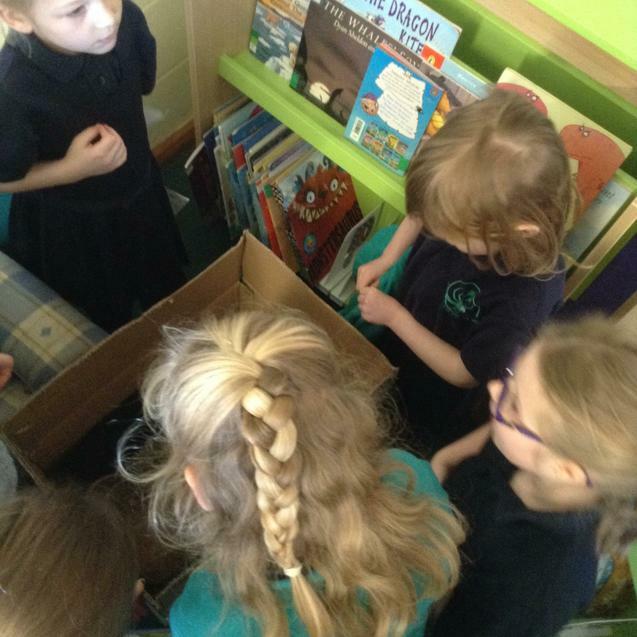 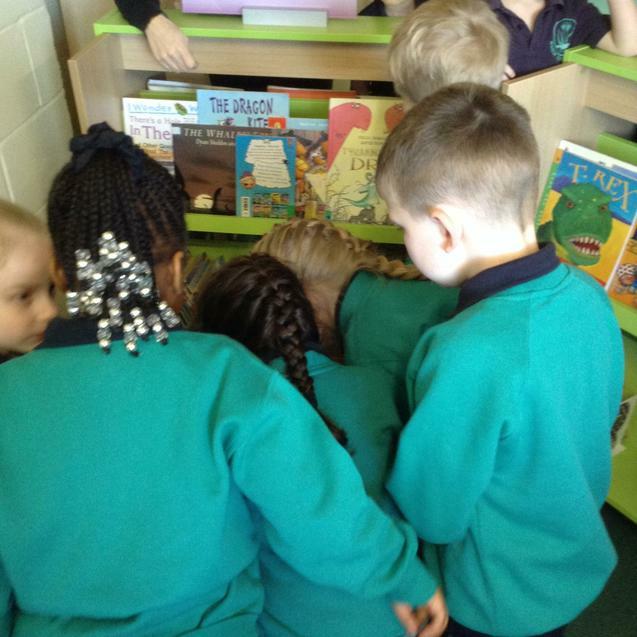 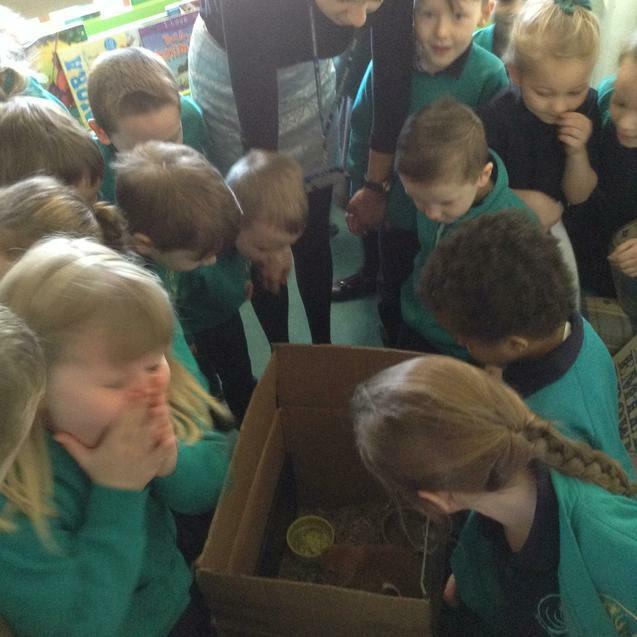 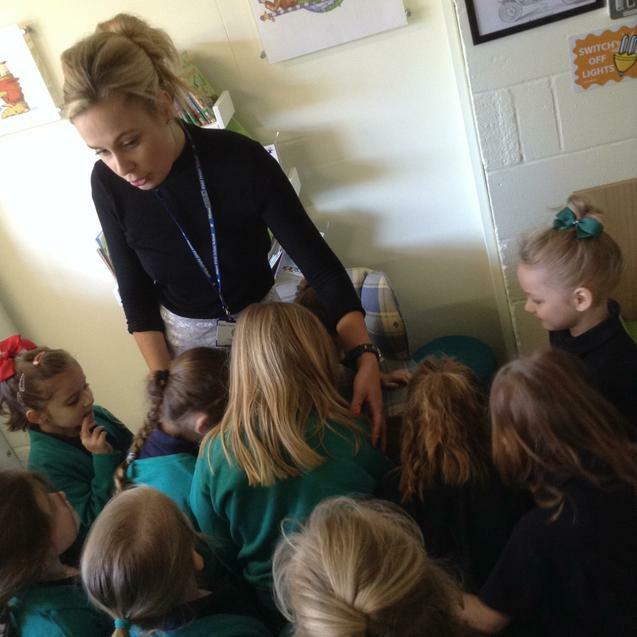 Eventually after exploring the school, the children found two real life rabbits in the school library. 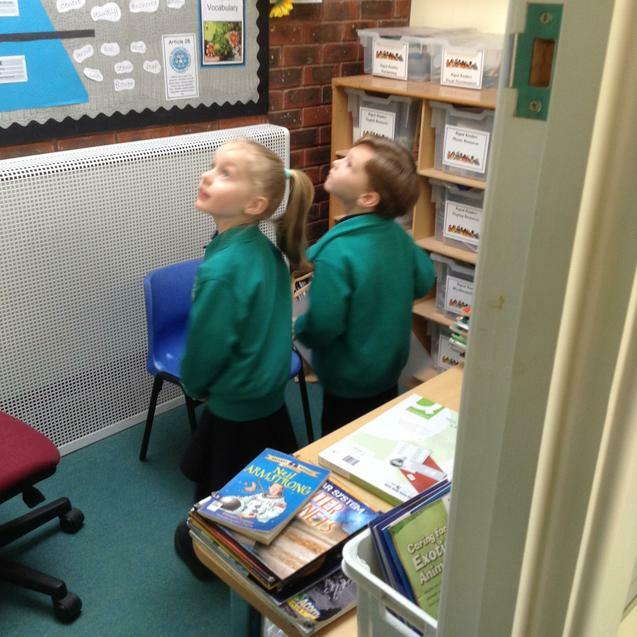 We then read the story 'That Rabbit Belongs to Emily Brown’ and created a class working wall. 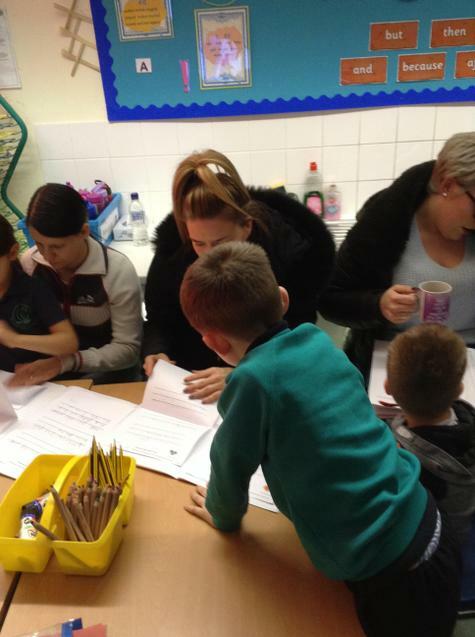 Thank you to all the parents and carers that attended the outcome. 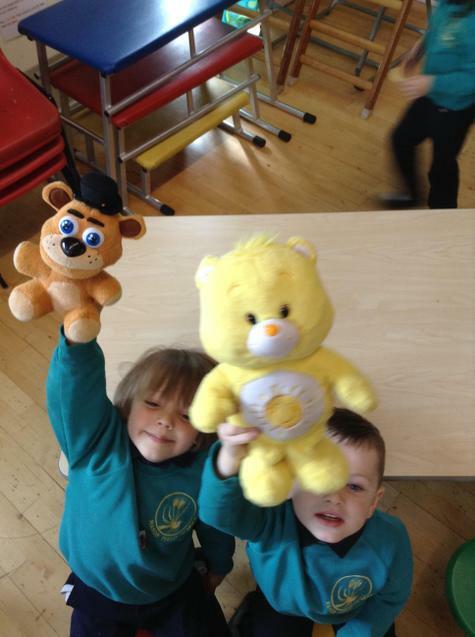 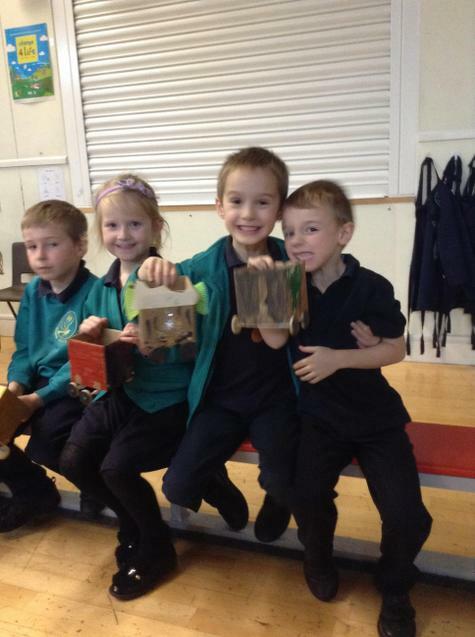 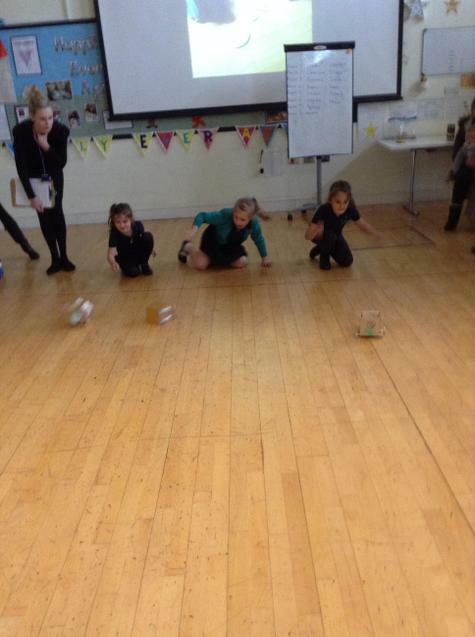 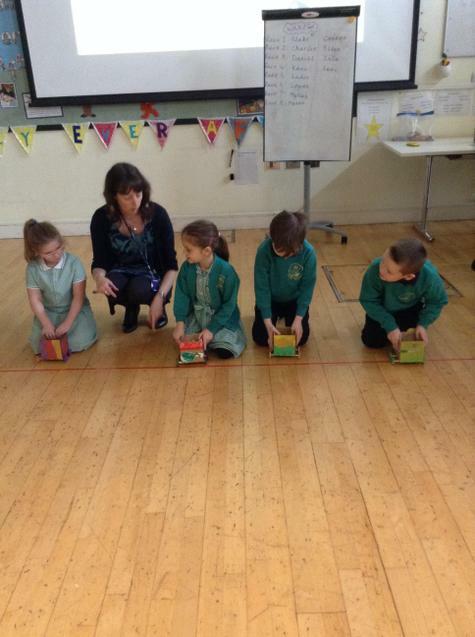 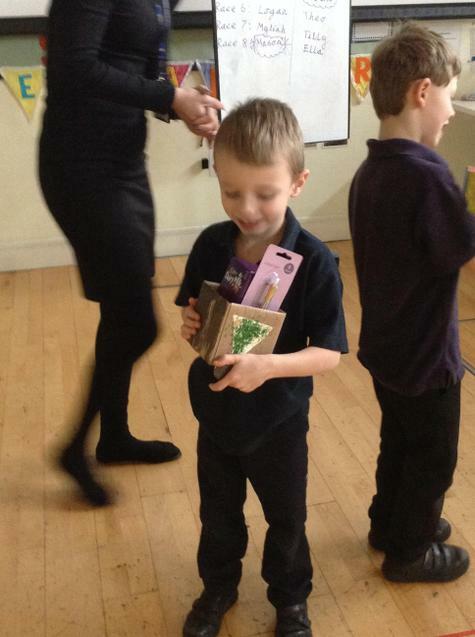 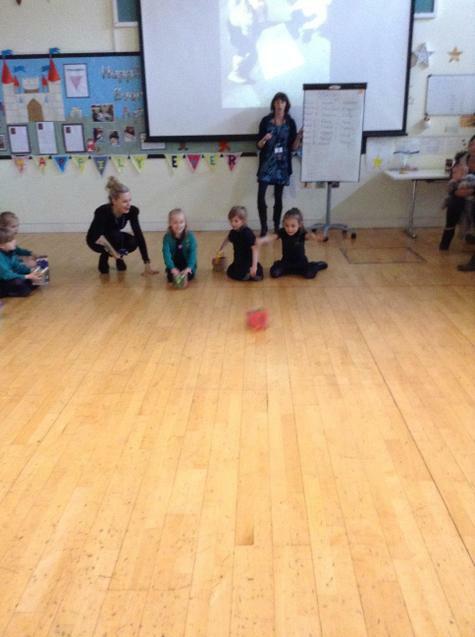 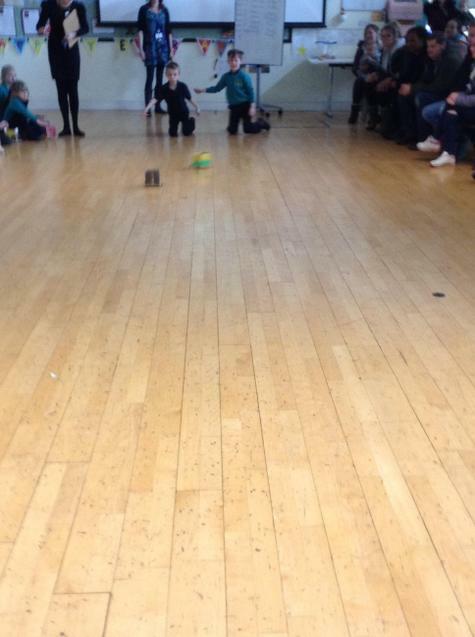 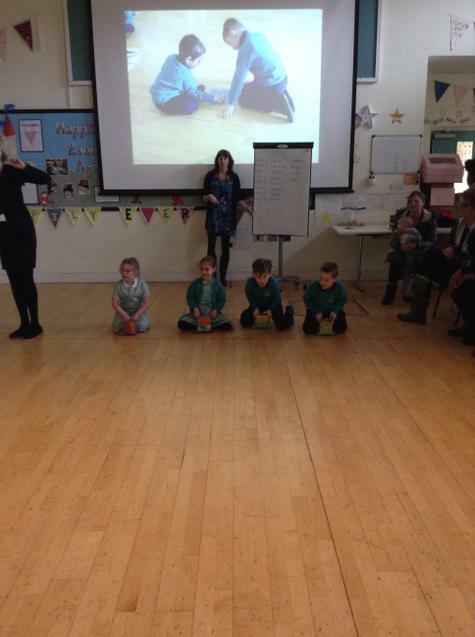 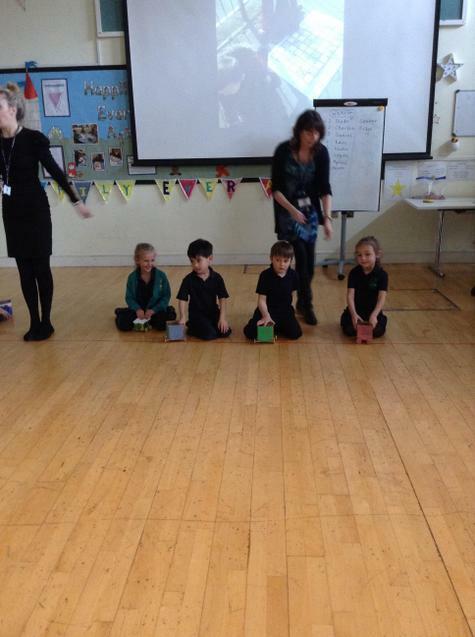 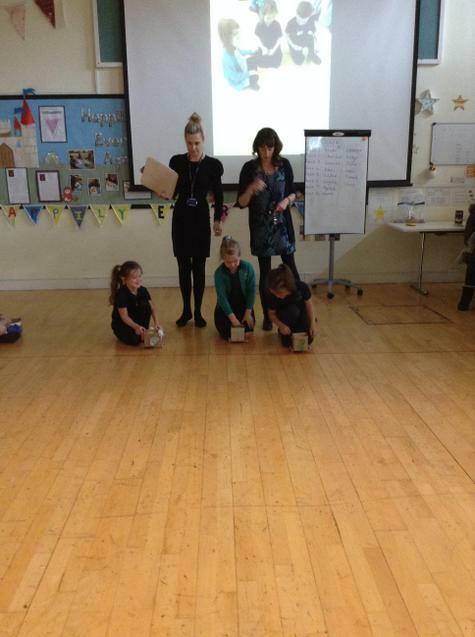 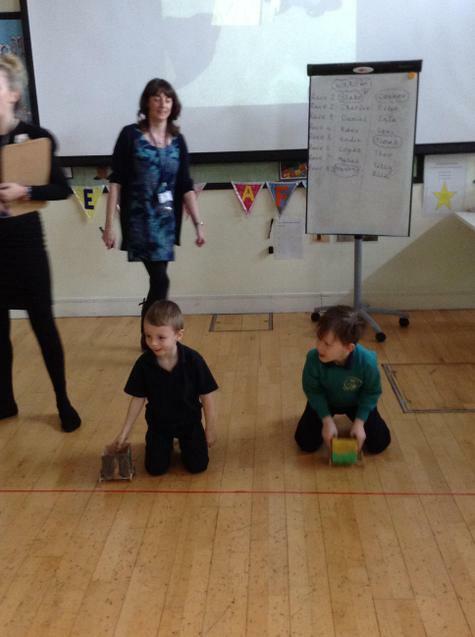 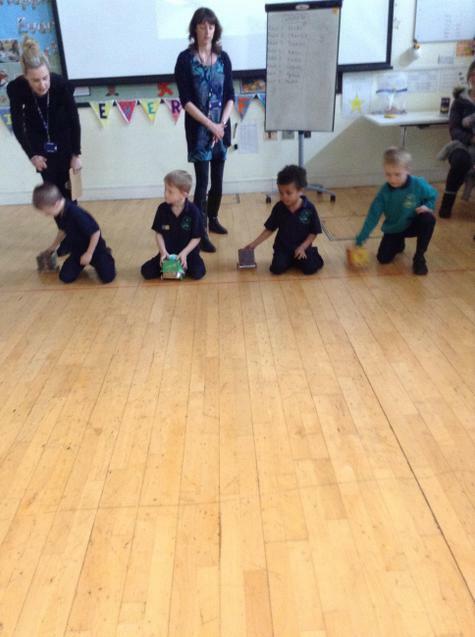 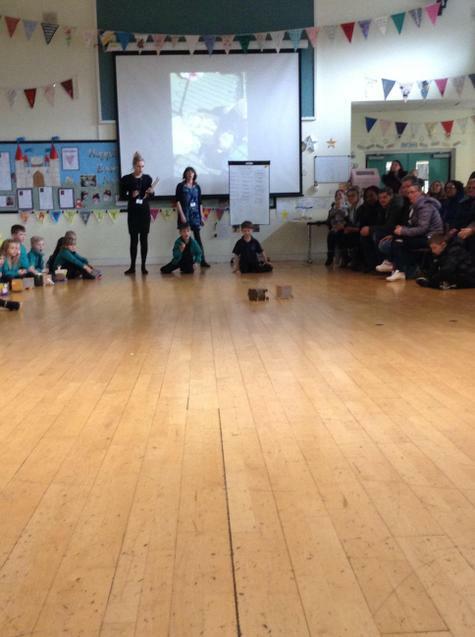 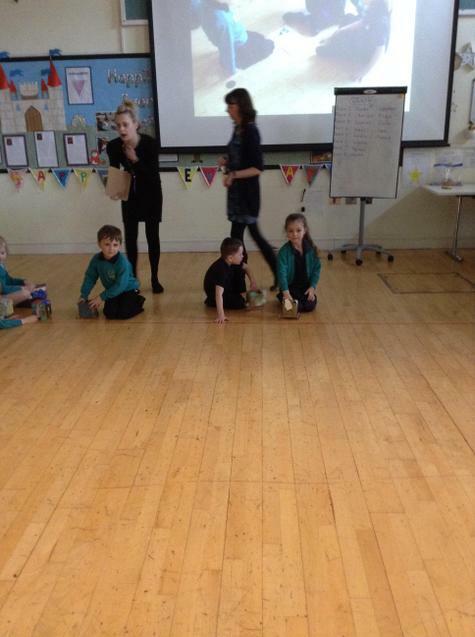 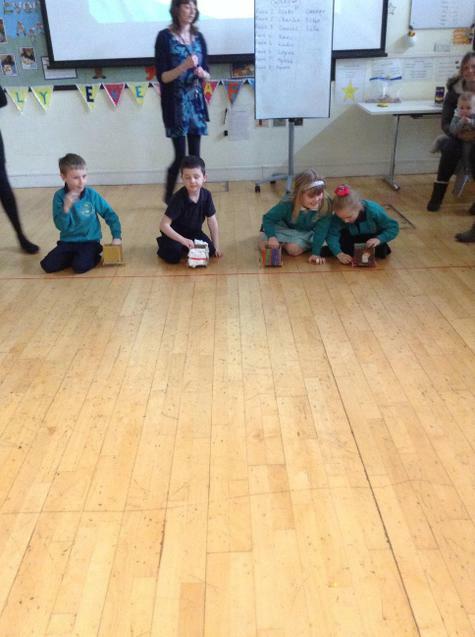 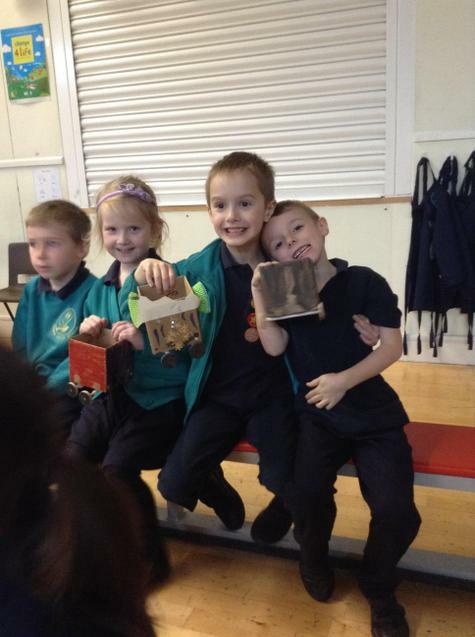 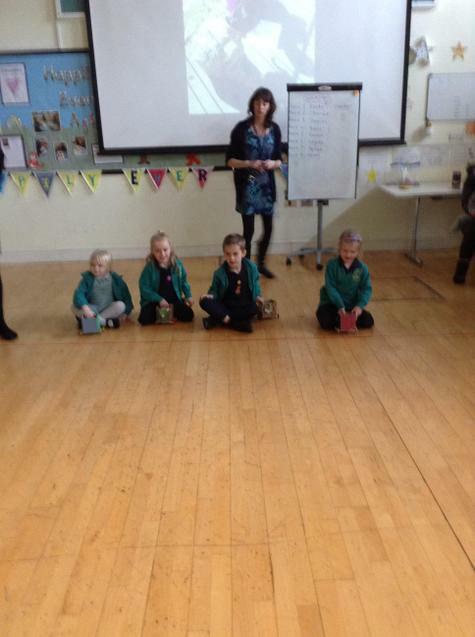 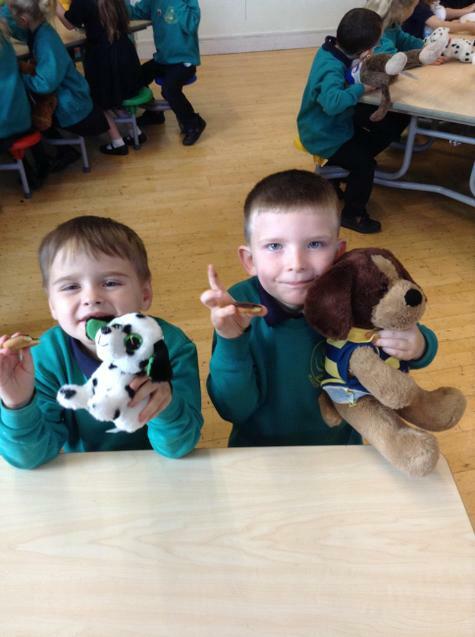 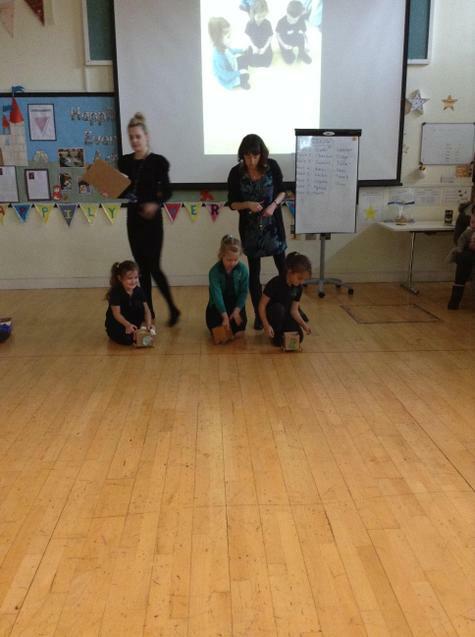 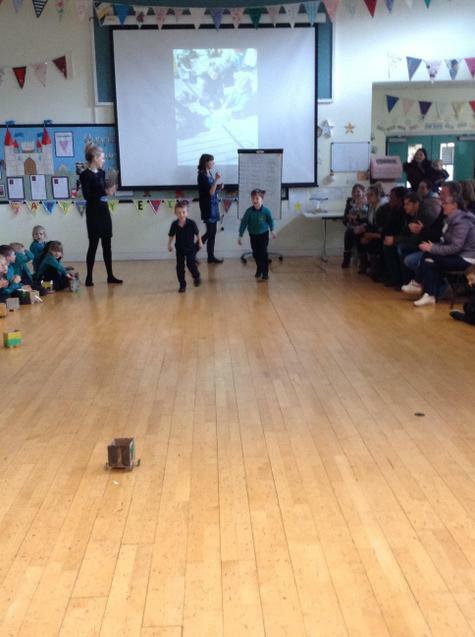 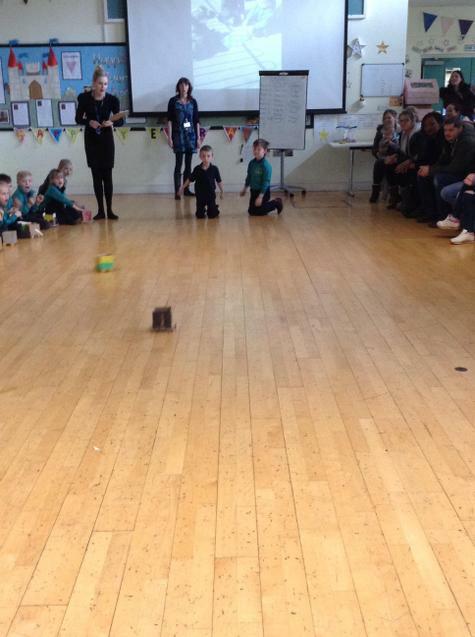 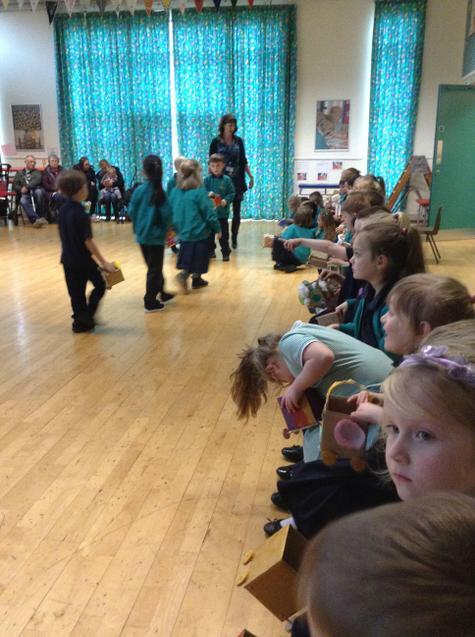 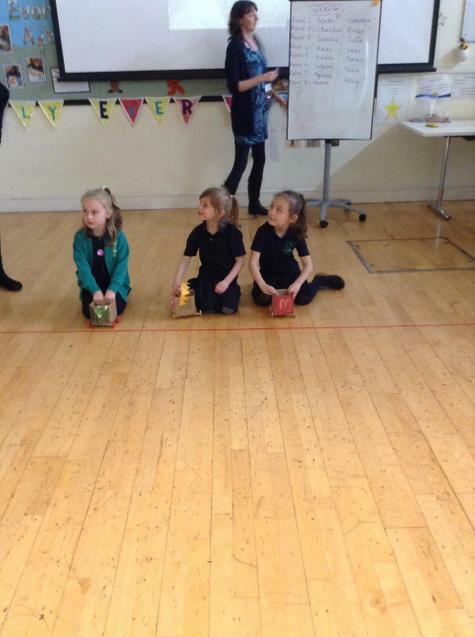 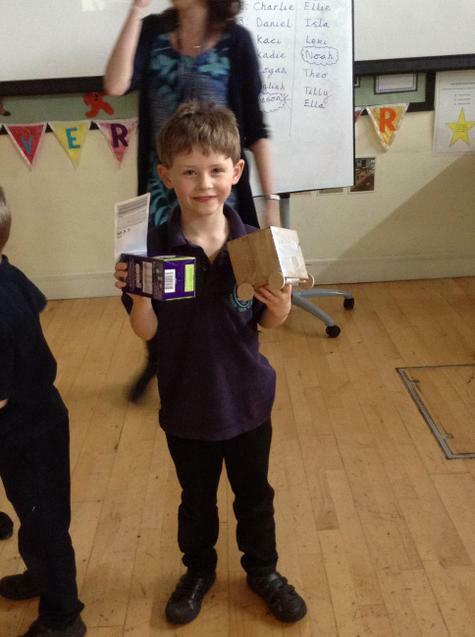 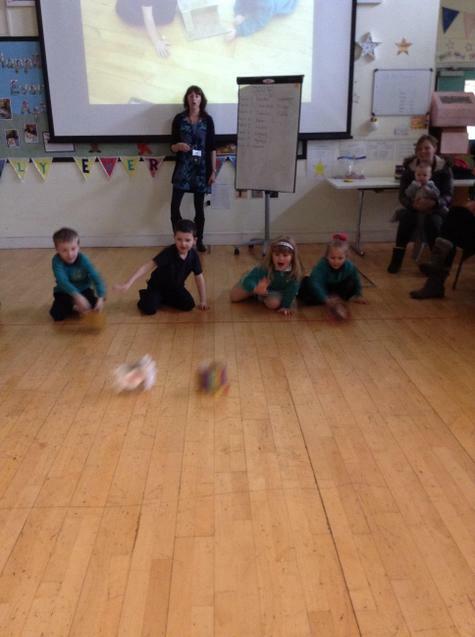 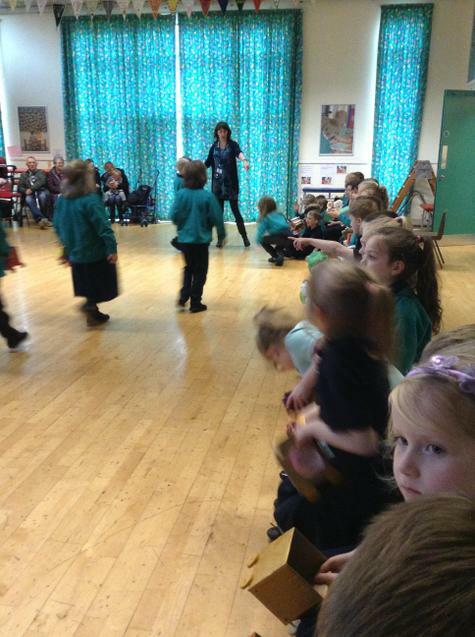 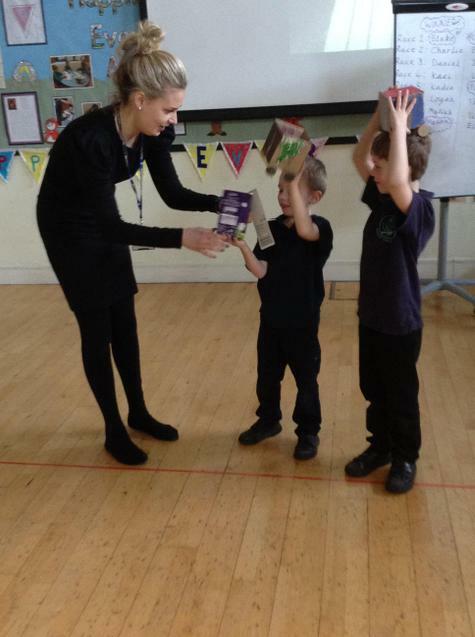 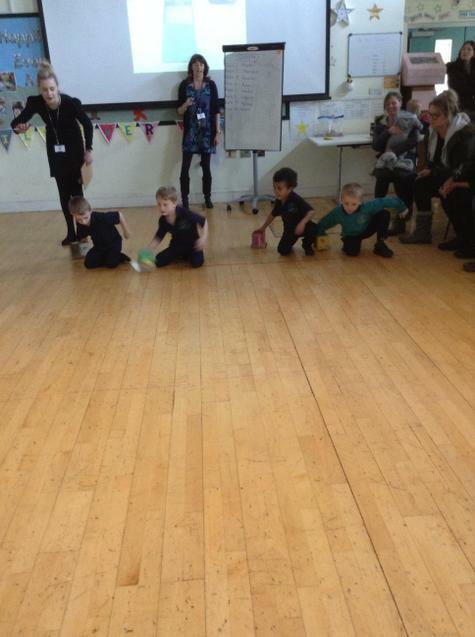 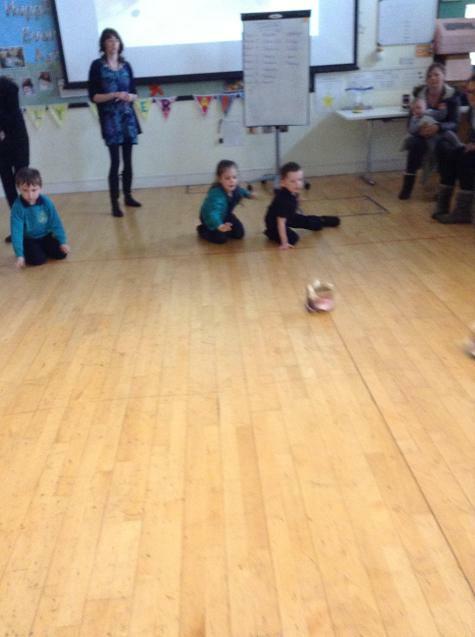 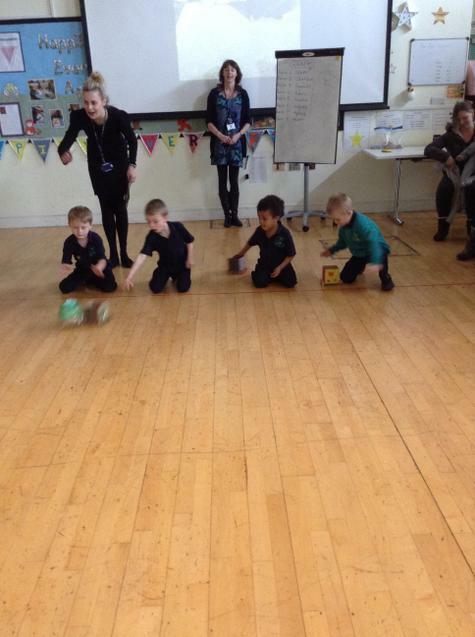 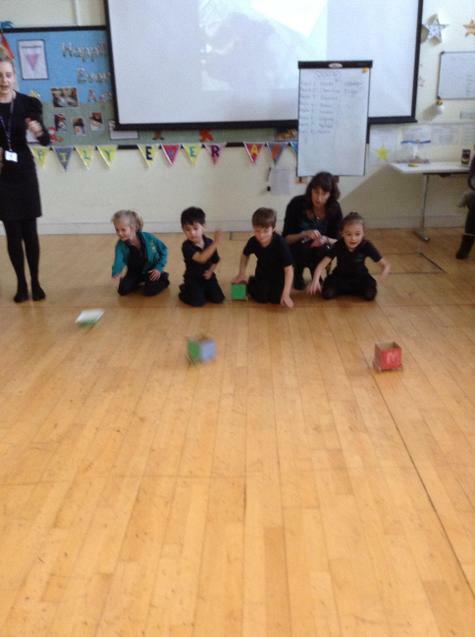 Well done to Mason in Butterfly Class and Connor in Bumblebee Class who were the winners of the Carriage race. 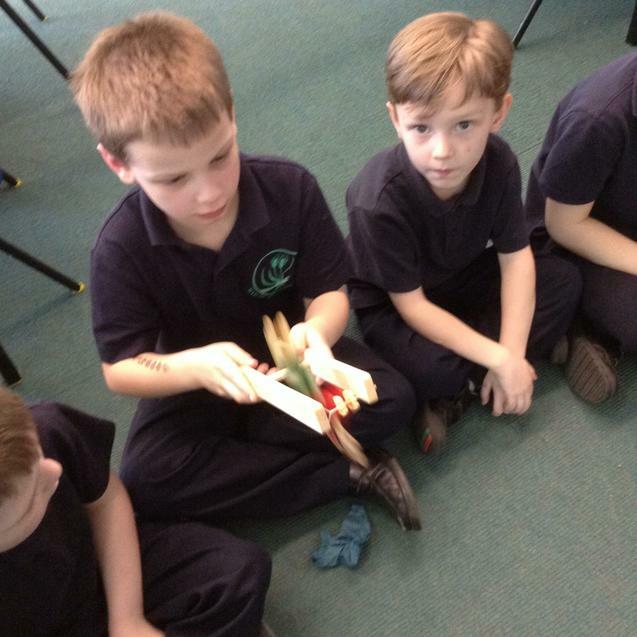 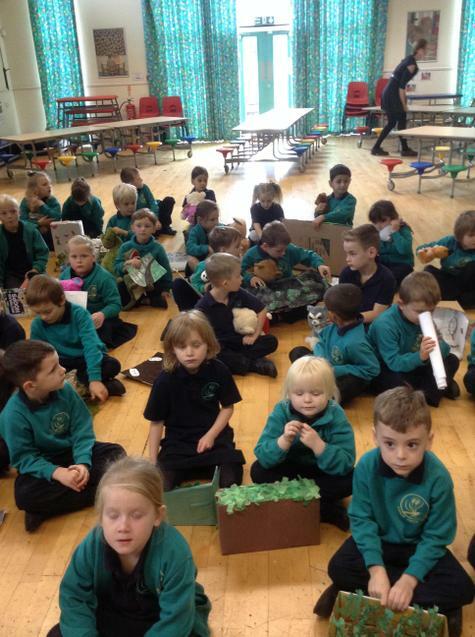 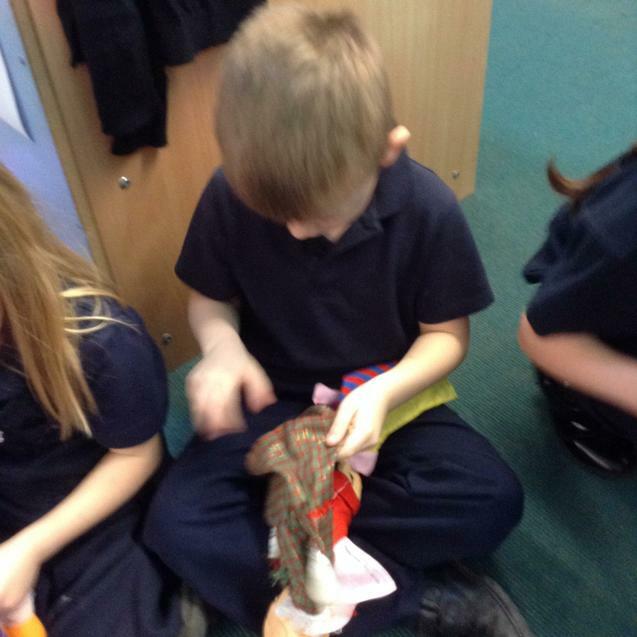 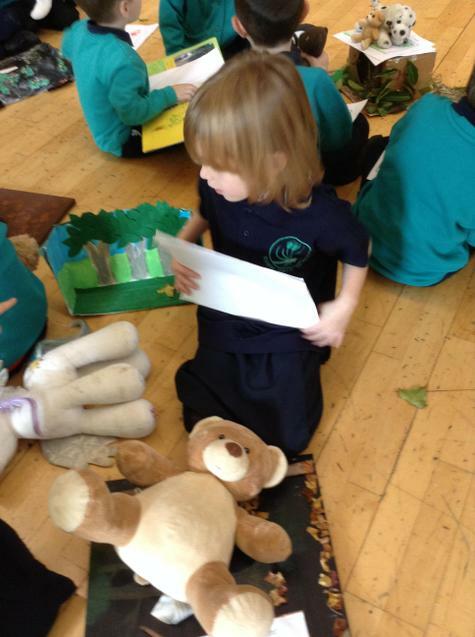 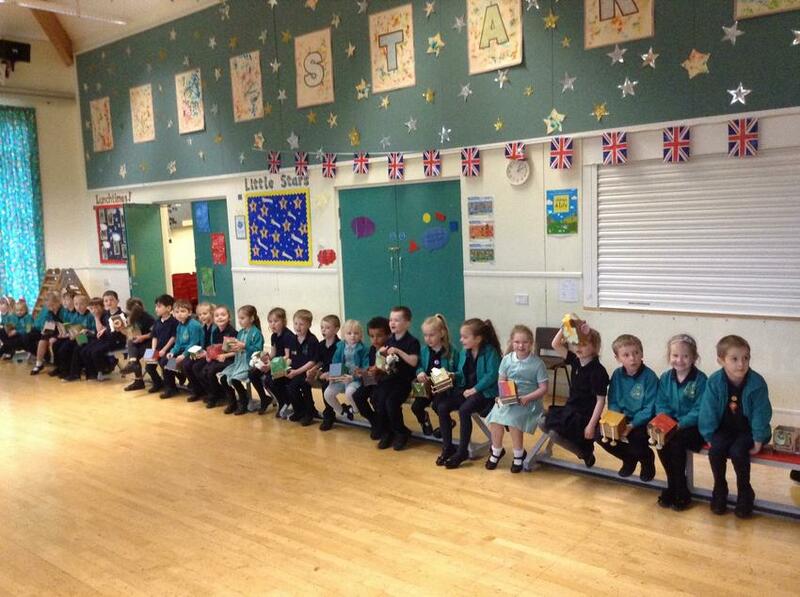 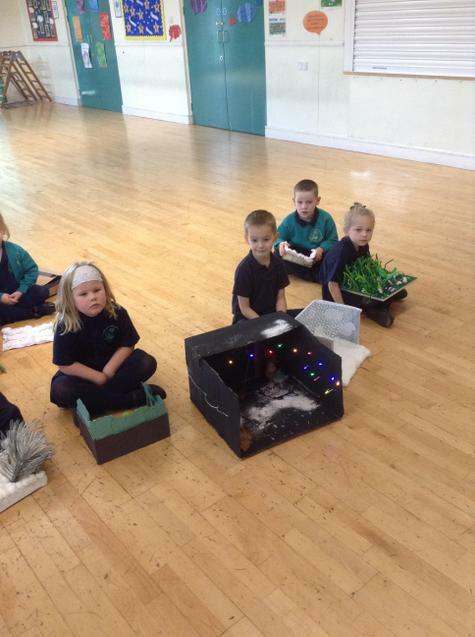 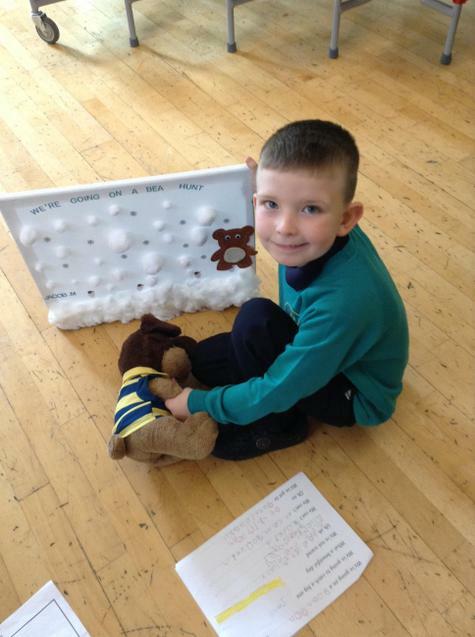 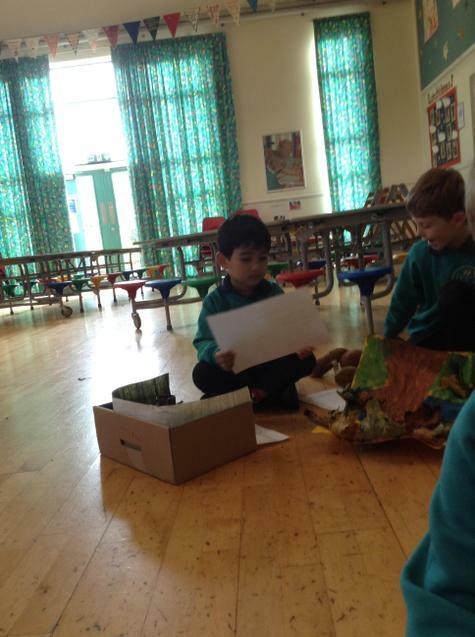 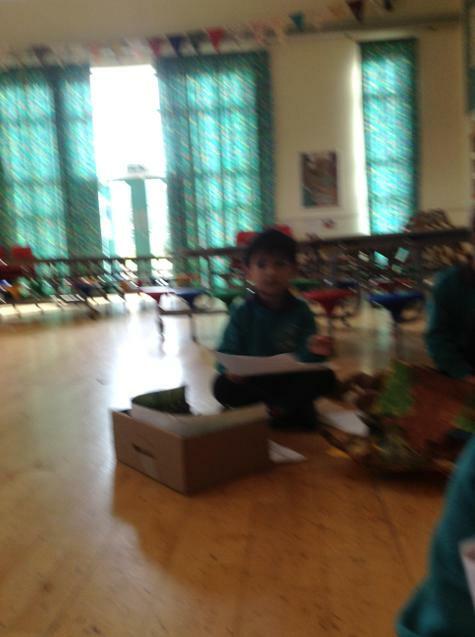 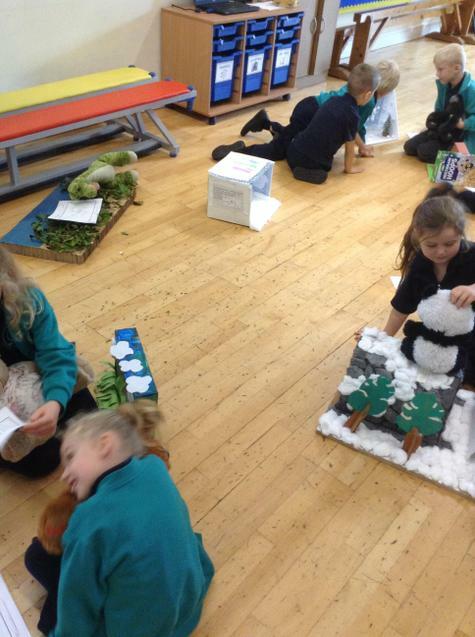 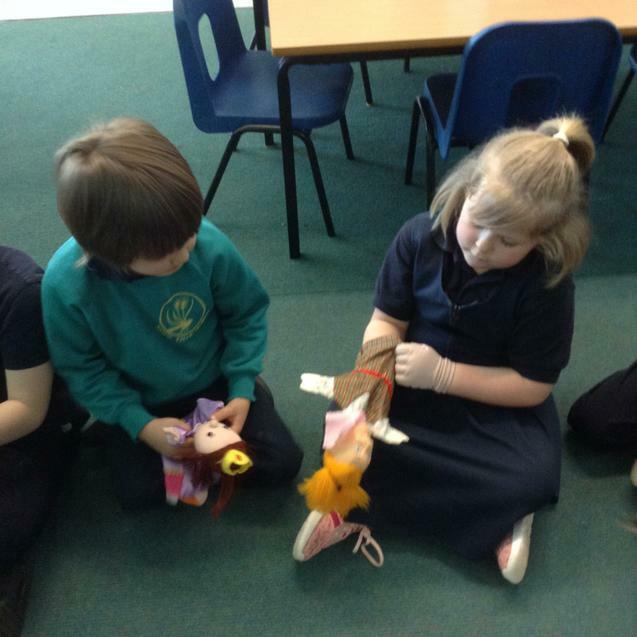 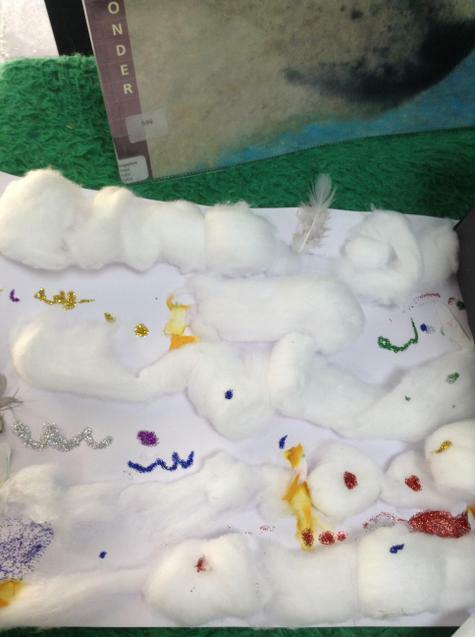 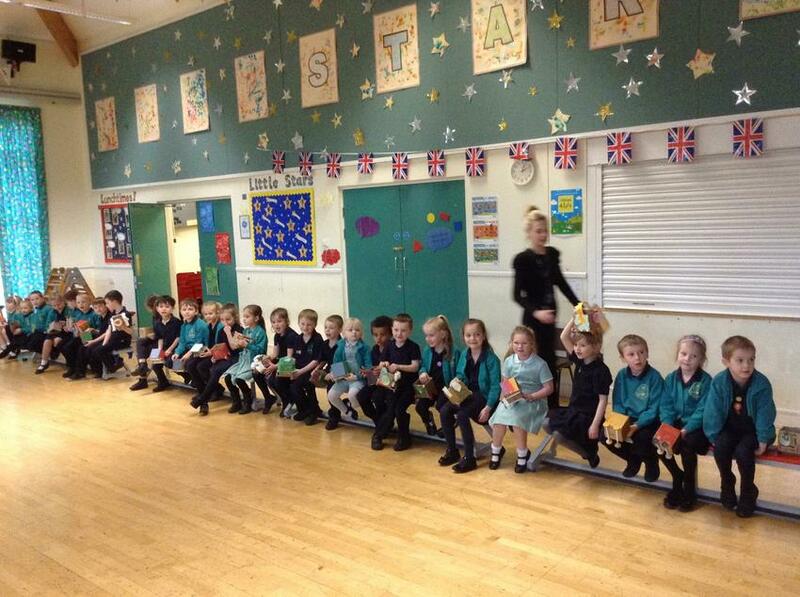 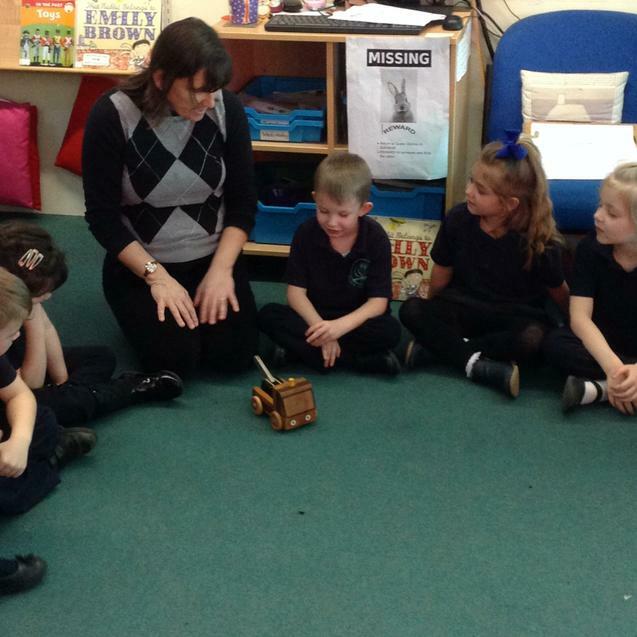 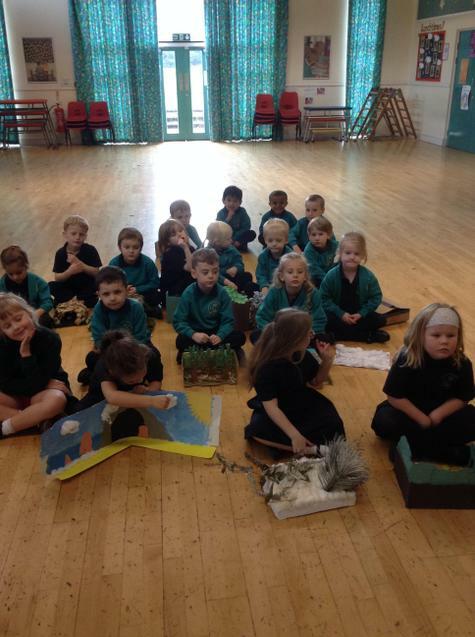 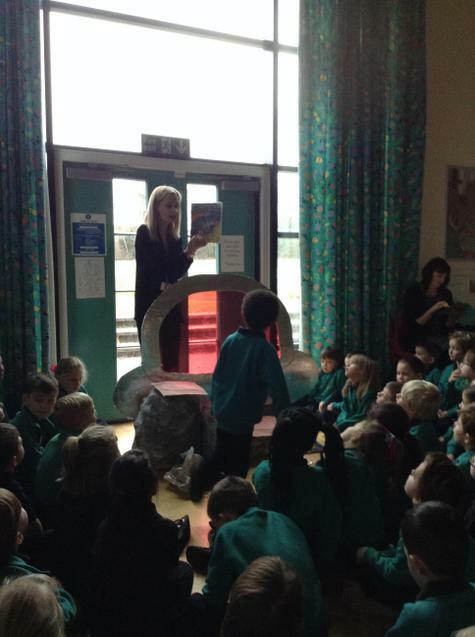 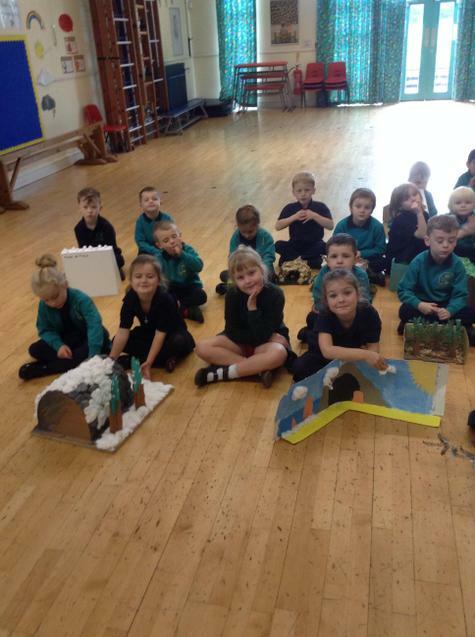 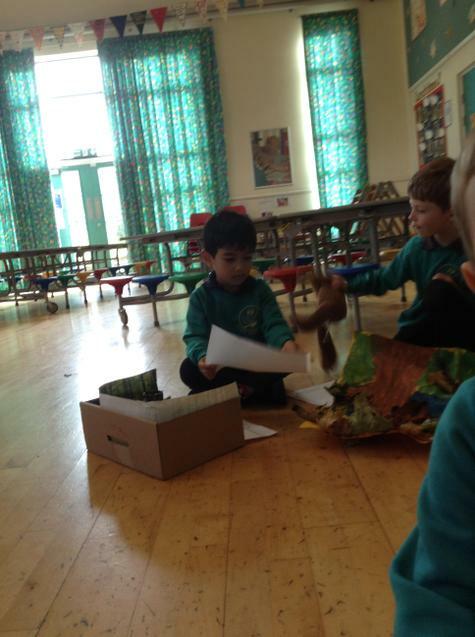 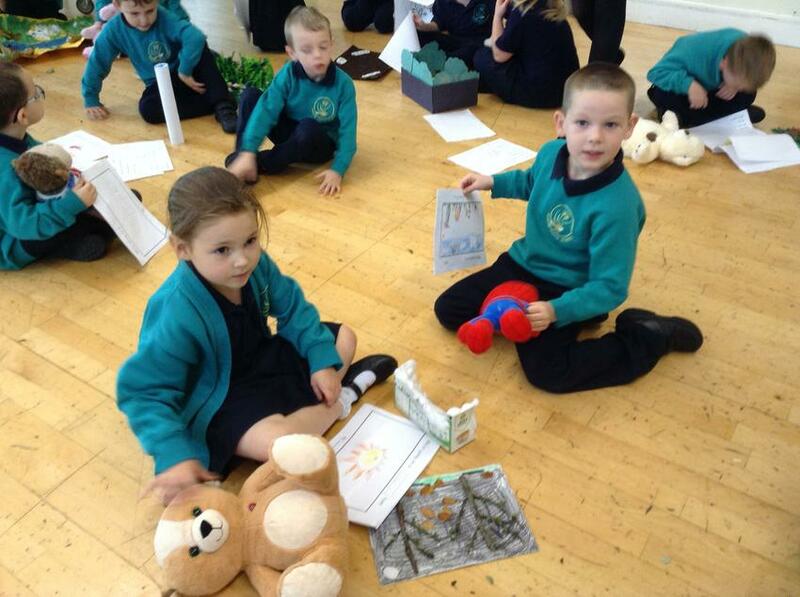 This week in Literacy we have been reading and writing instructions which we followed to make our toy carriage. 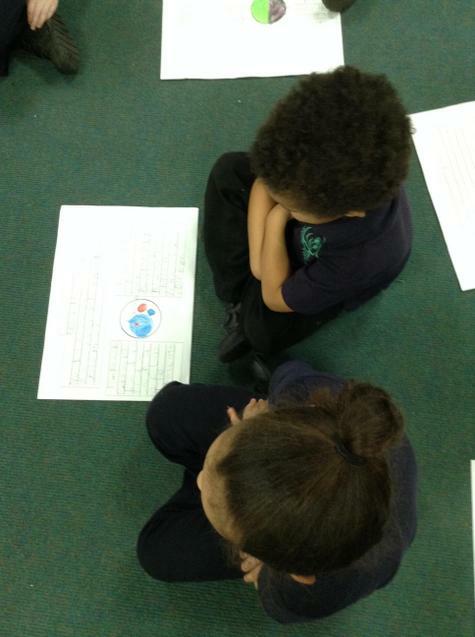 We discussed the features of instructions and highlighted the time openers, bossy verbs and adjectives. 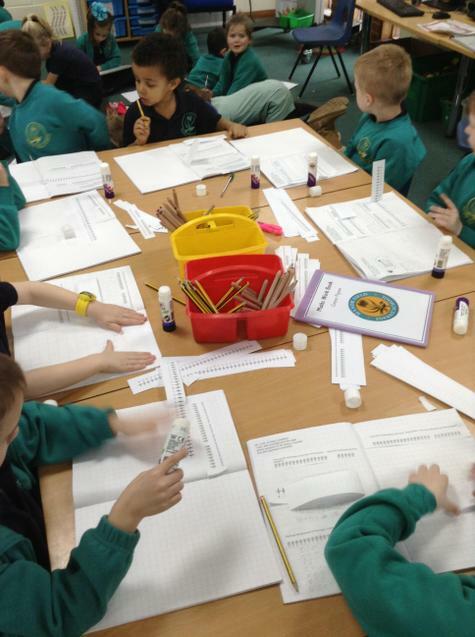 .In Maths this week the children have been exploring subtraction using a number line, concrete objects and the whole/part model. 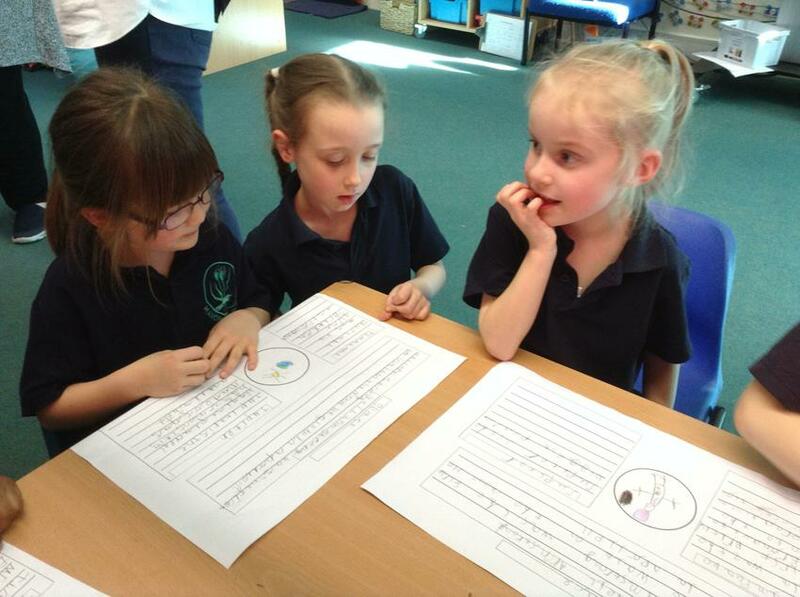 This week we have been writing speech bubbles to represent a conversation between Emily Brown and Queen Gloriana. 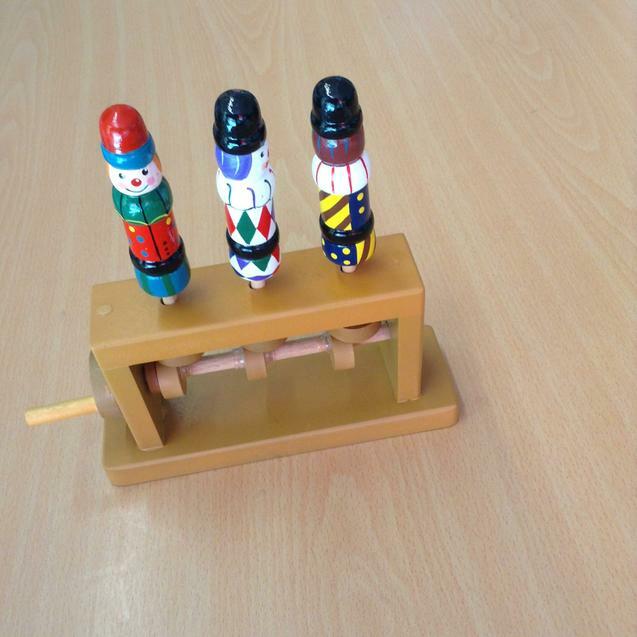 The children have been learning about question marks and exclamation marks and using these within their dialogue. 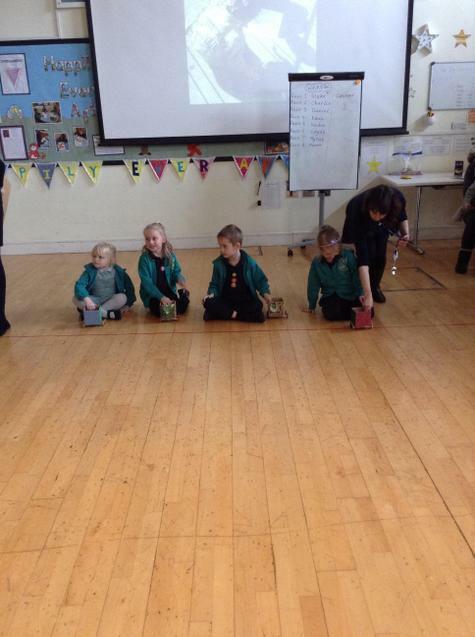 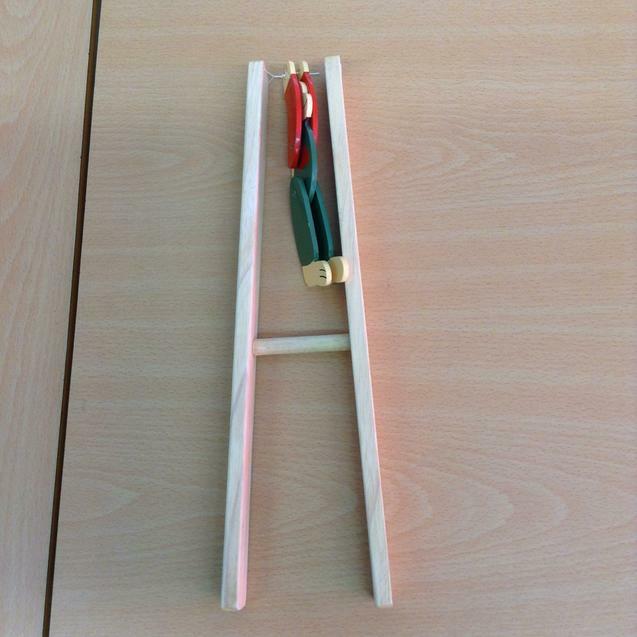 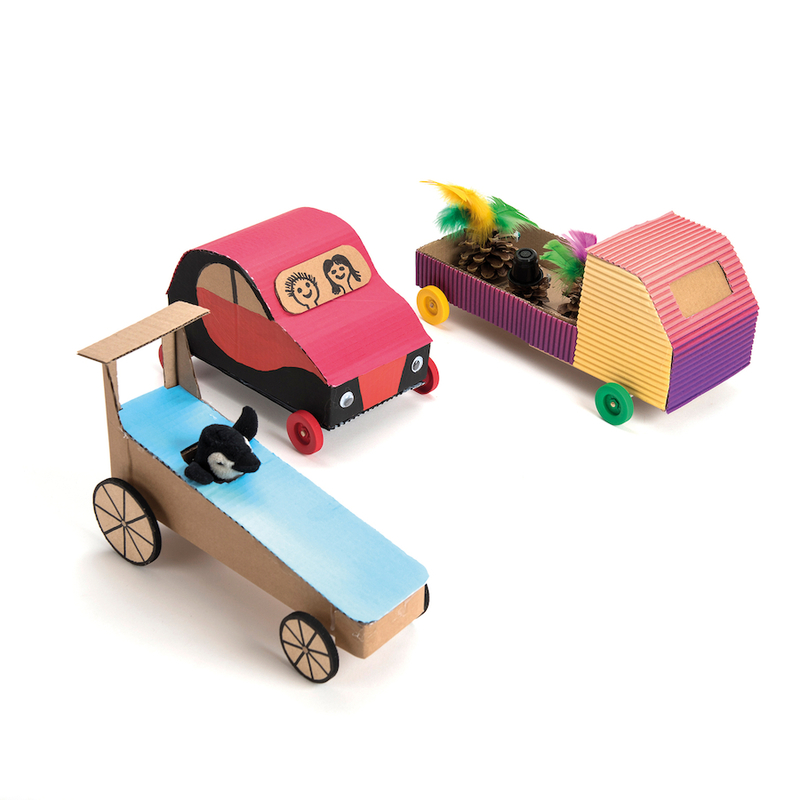 In D&T this week the children have been designing their toy carriage which they will use to race in the project outcome. 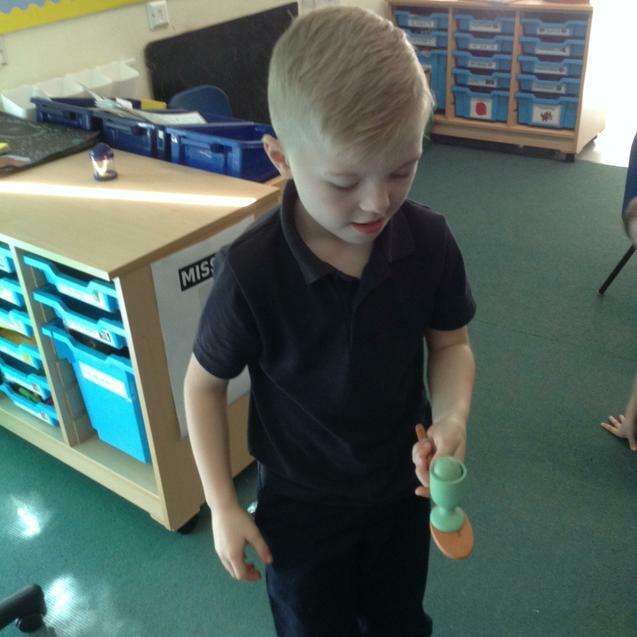 In Maths this week the children have been exploring addition using a number line, concrete objects and the whole/part model. 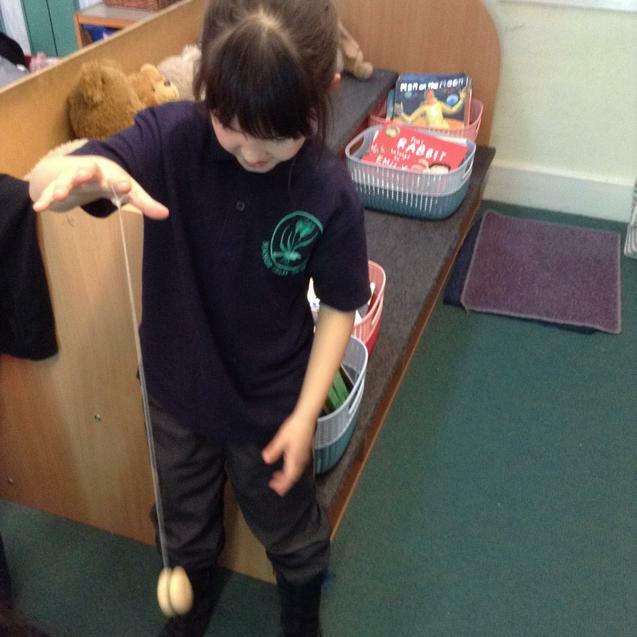 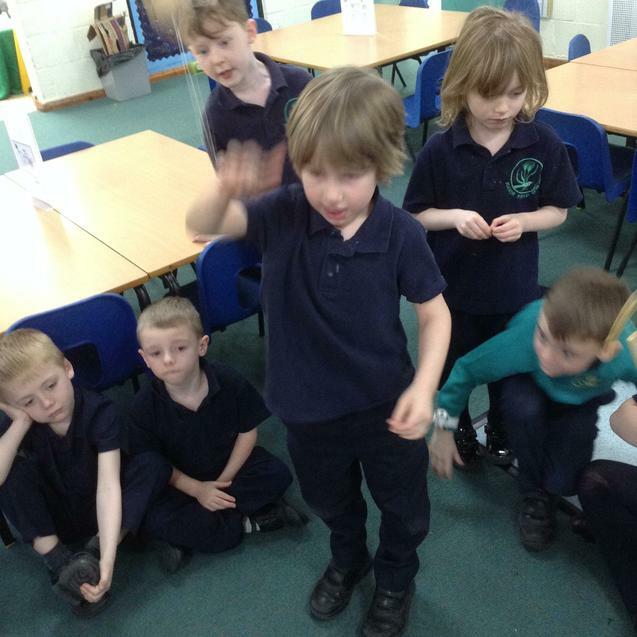 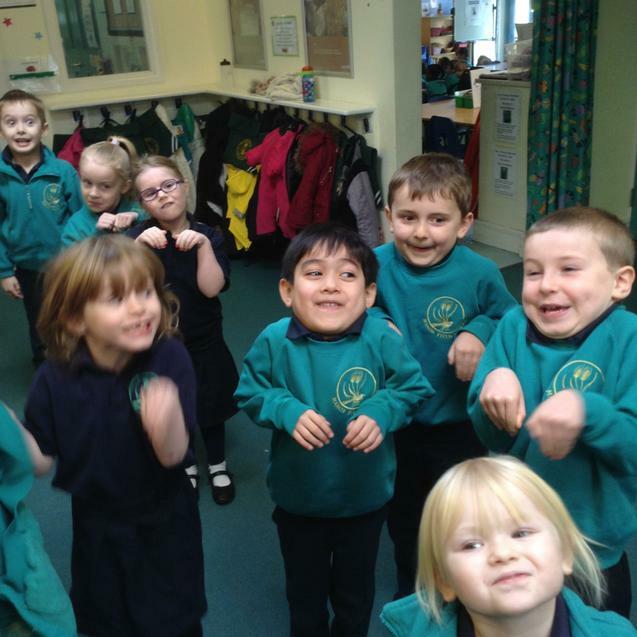 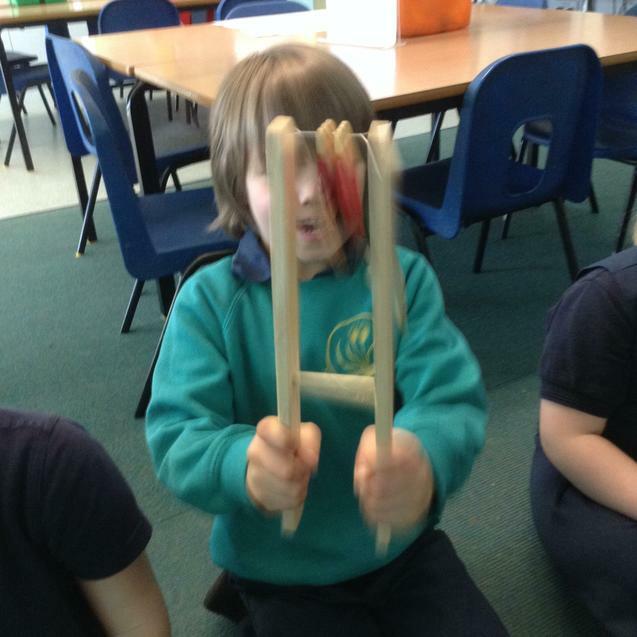 In Year 1 we are looking at how forces affect how things move. 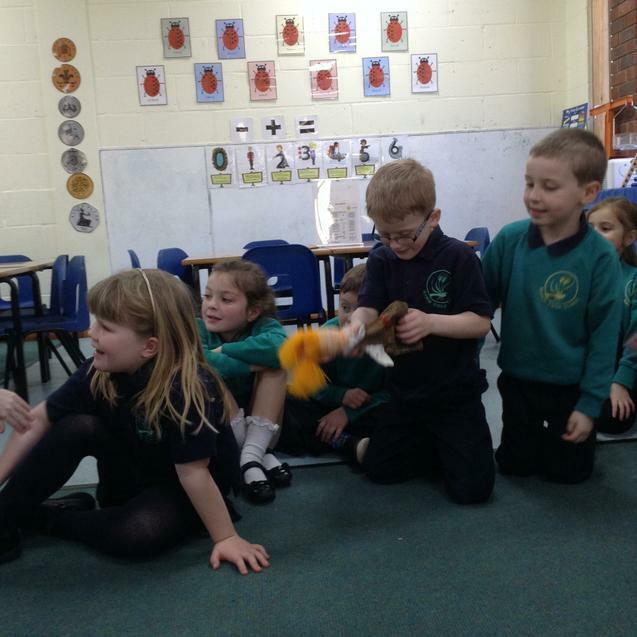 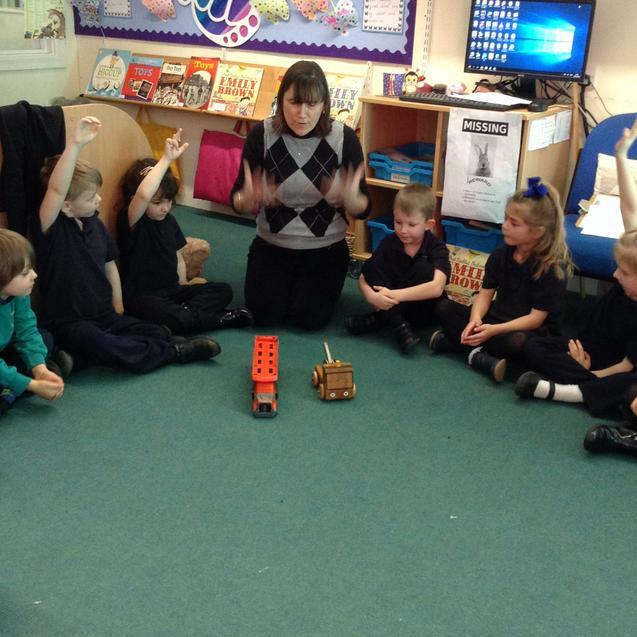 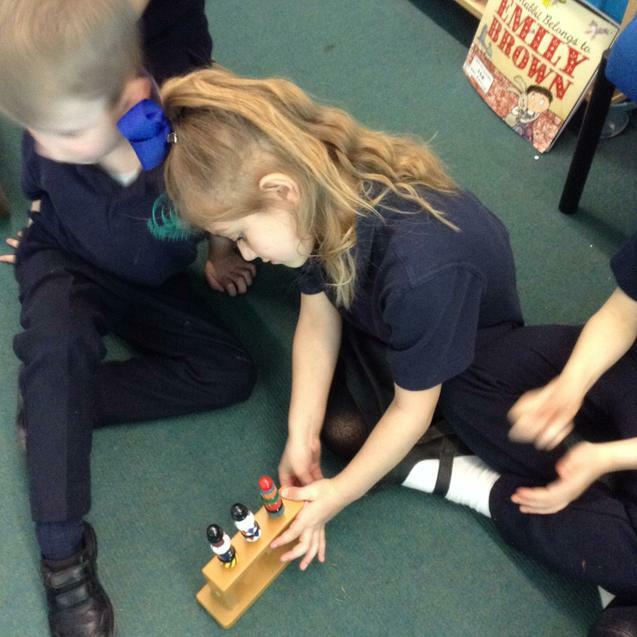 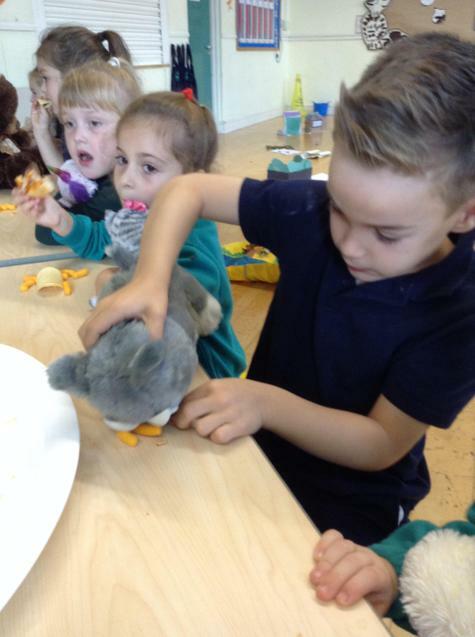 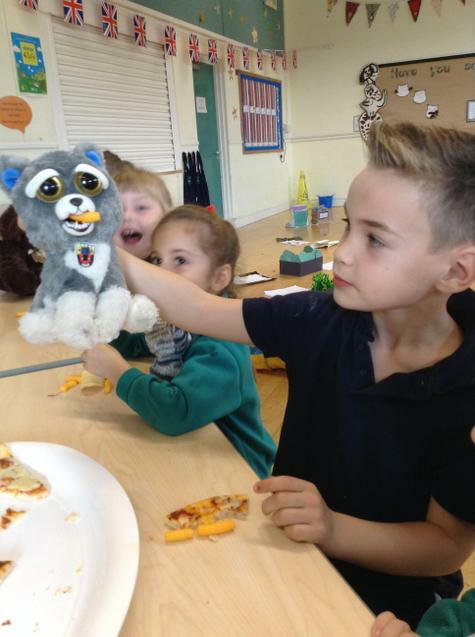 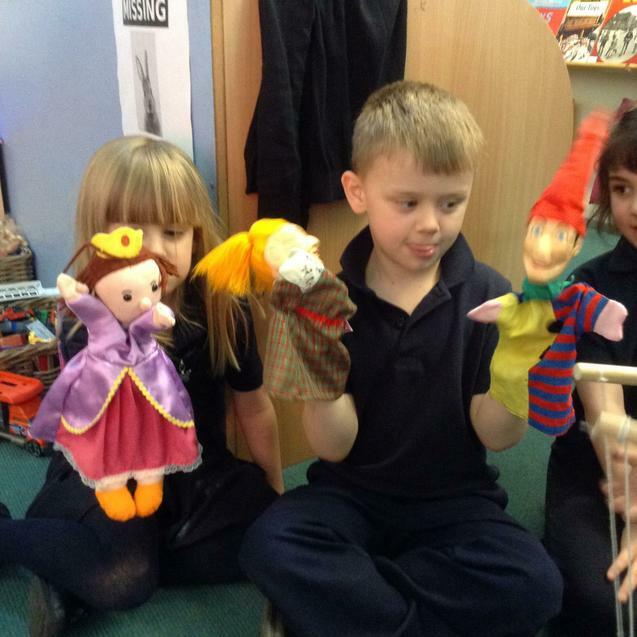 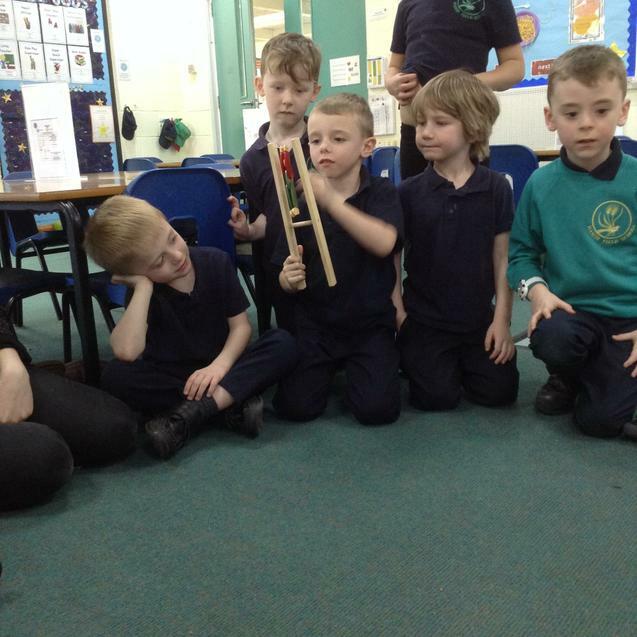 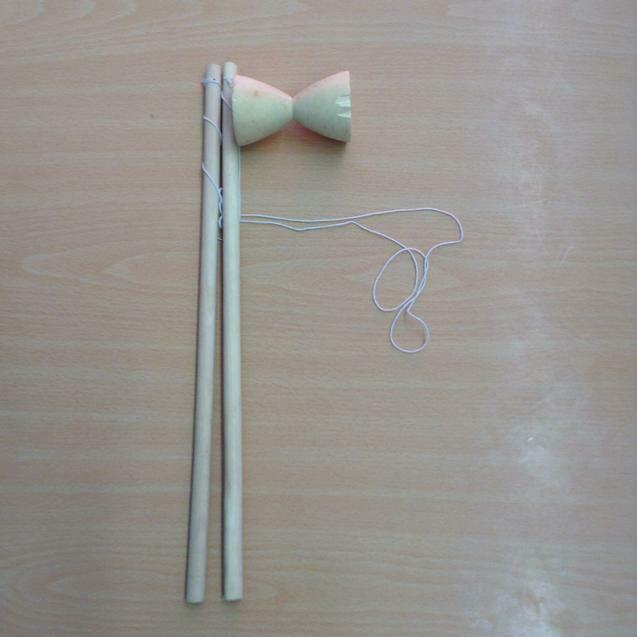 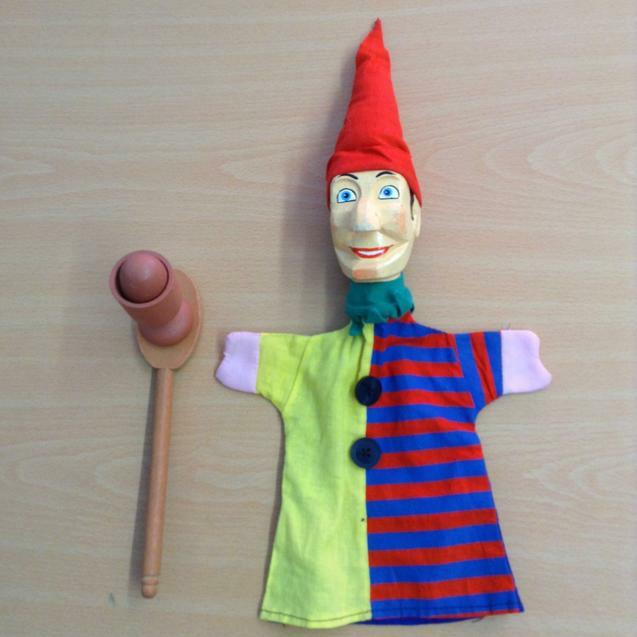 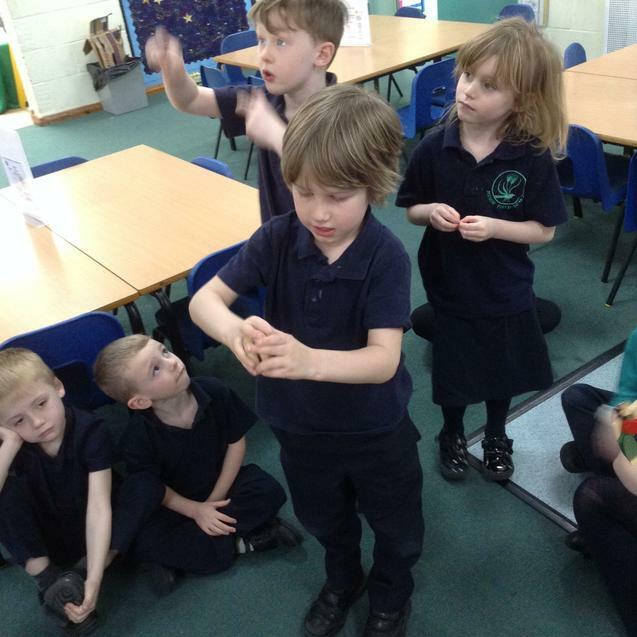 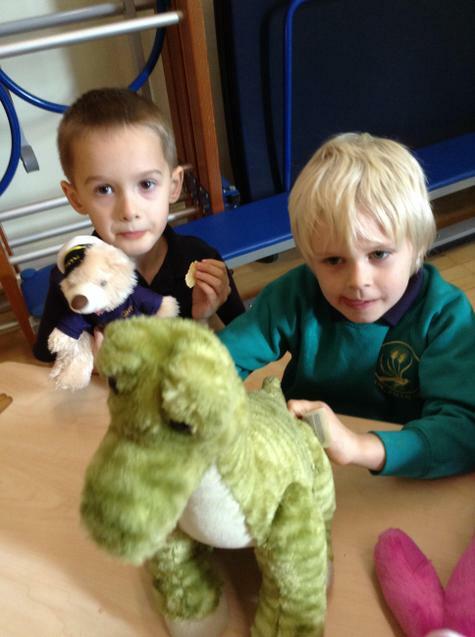 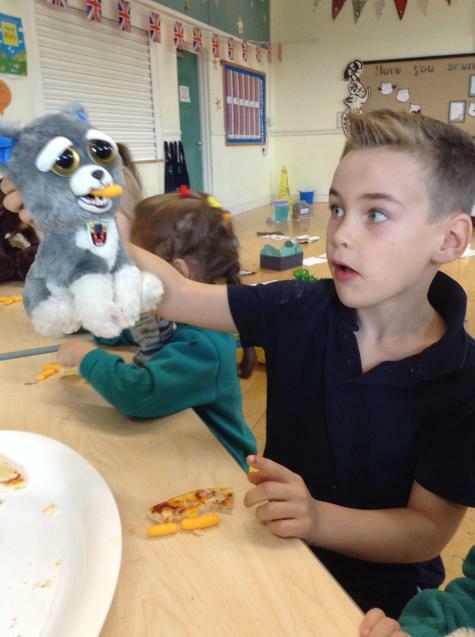 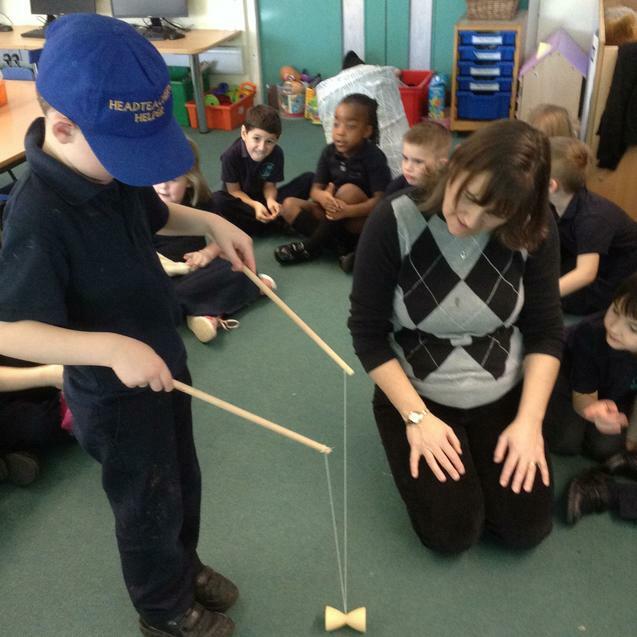 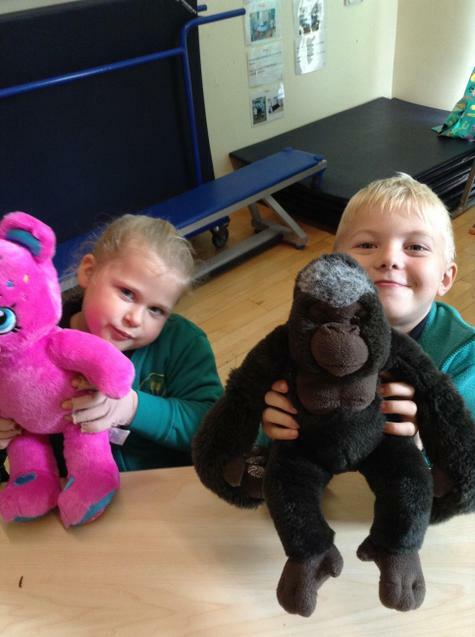 We explored a range of toys and objects and tested to see if the item used a push, pull or twist force. 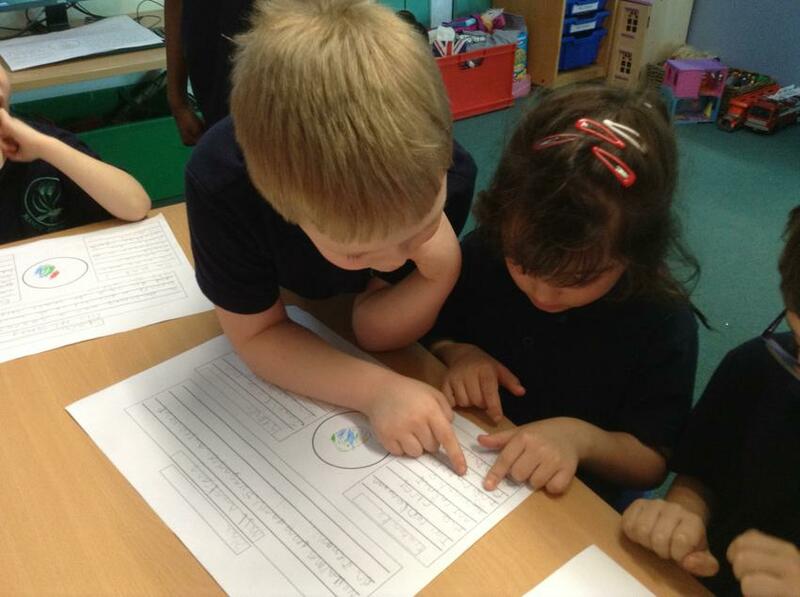 In Maths the children have been counting in 5’s and applying this to different problems. 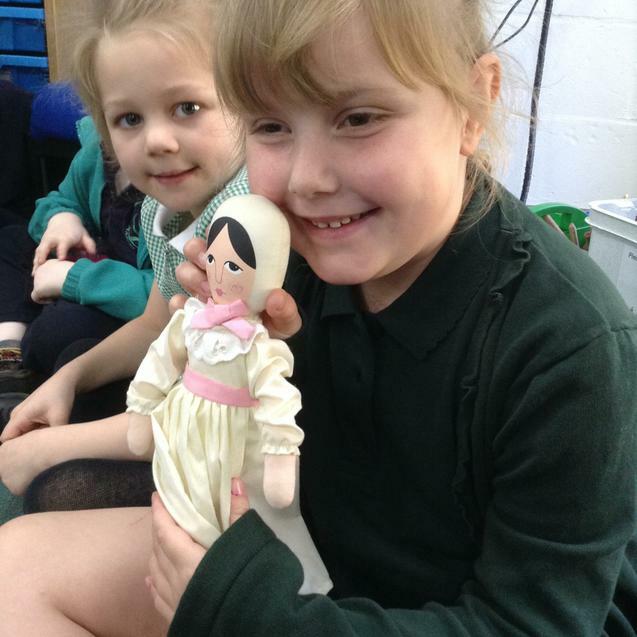 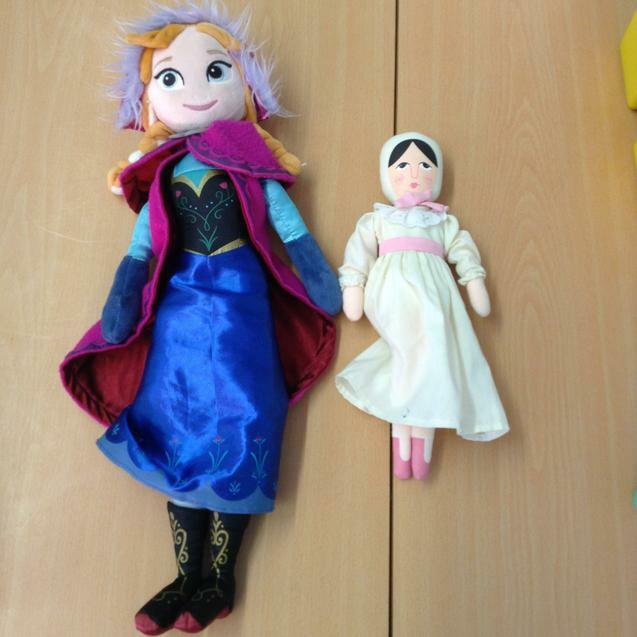 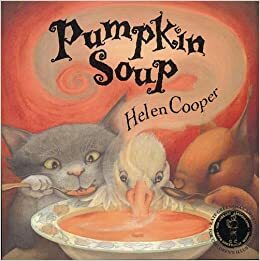 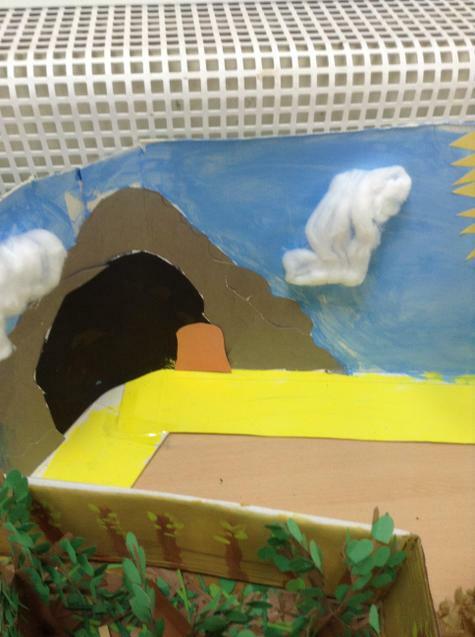 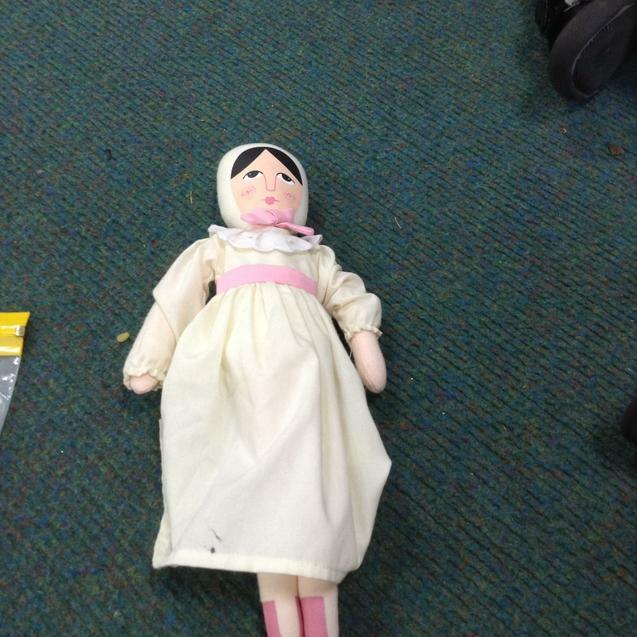 This week the children have been exploring the character of Queen Gloriana from 'That Rabbit Belongs to Emily Brown'. 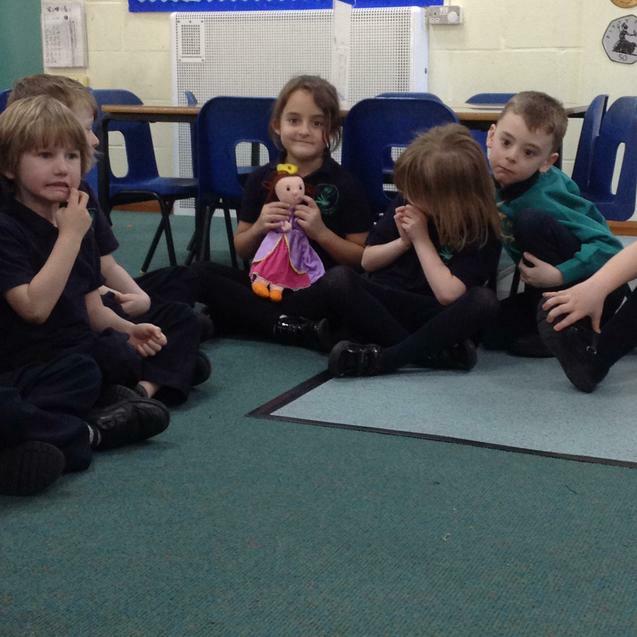 The children began by creating a role on the wall by adding adjectives to describe her. 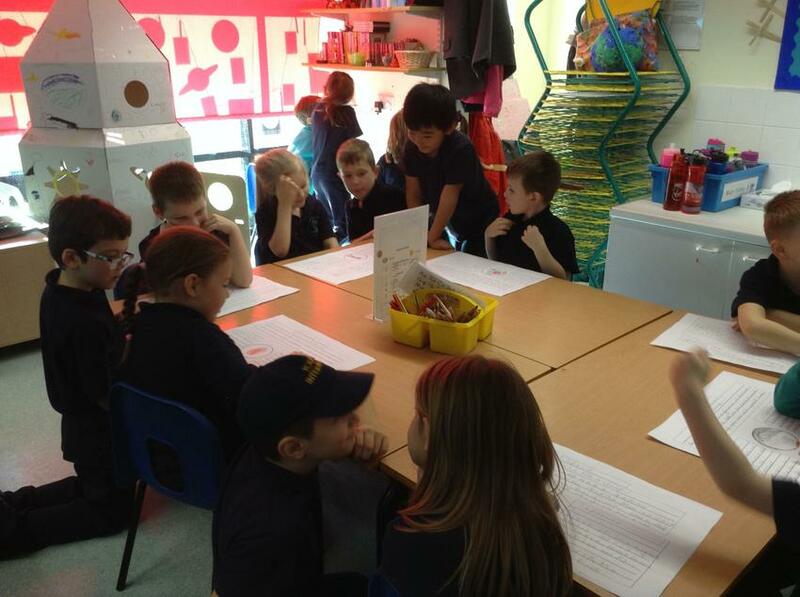 The children then designed posters to send to the Queen by adding imperative verbs (bossy verbs). 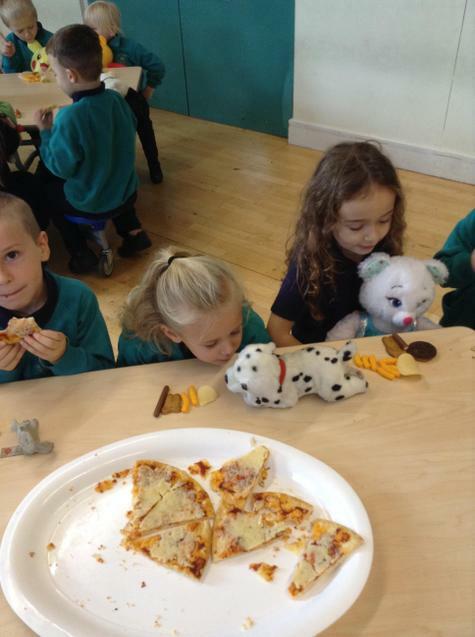 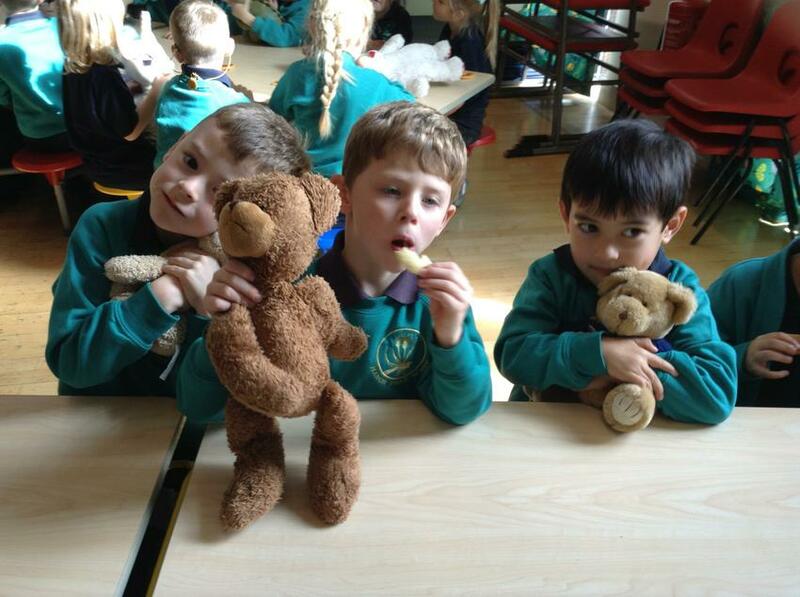 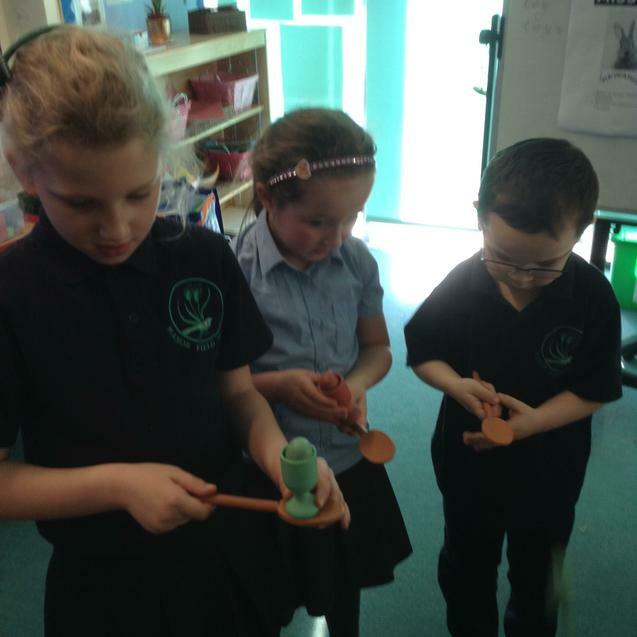 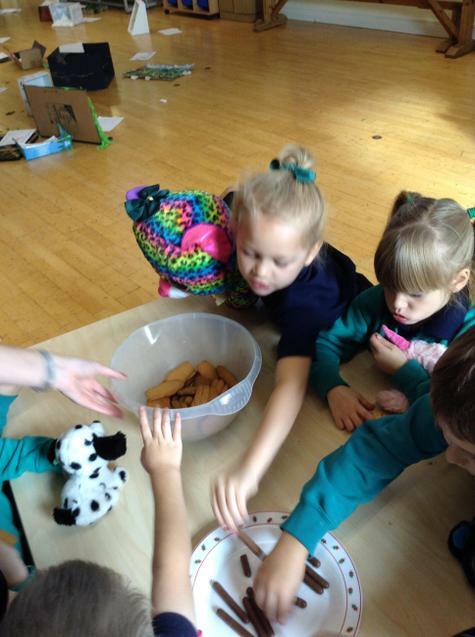 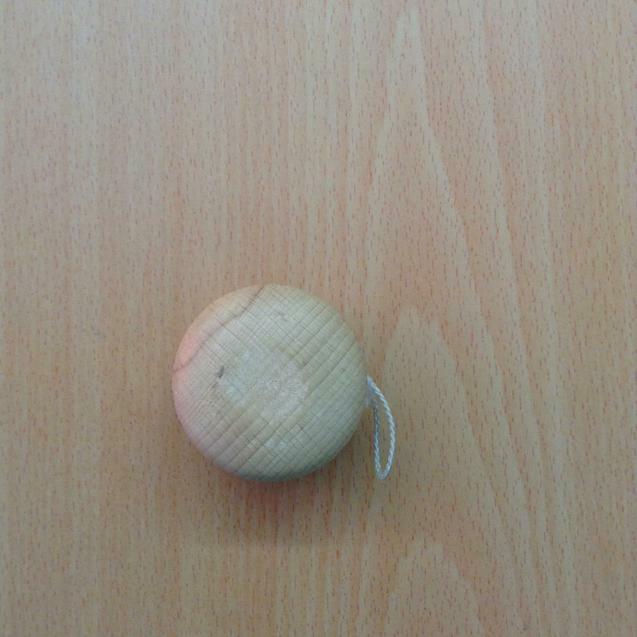 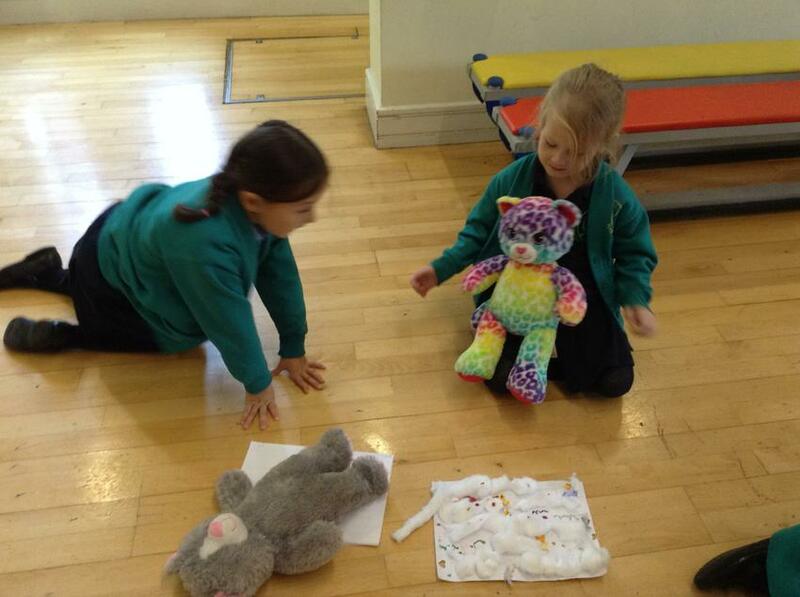 In maths this week the children have been finding halves and quarters of a group of objects. 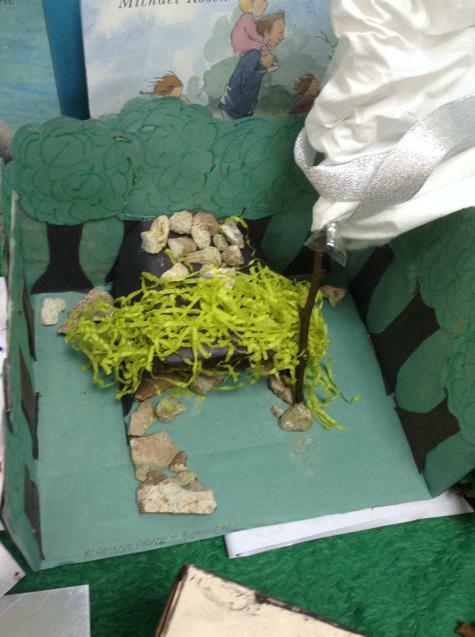 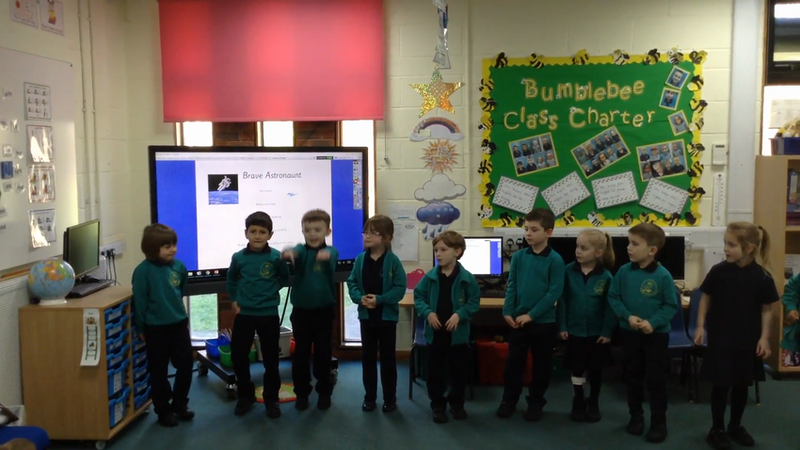 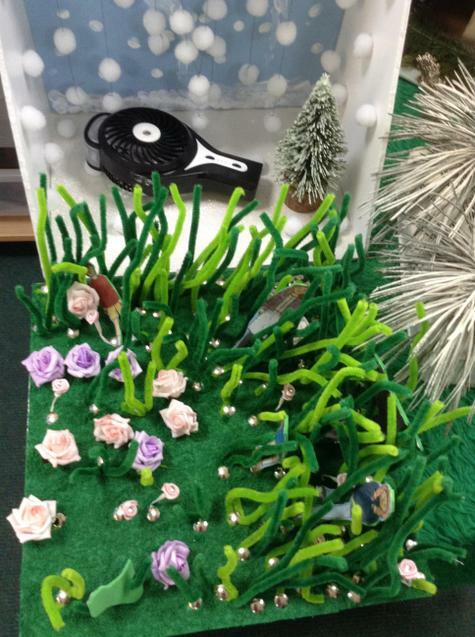 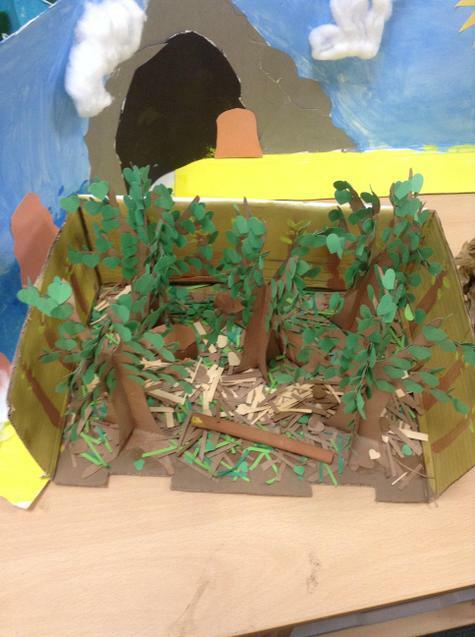 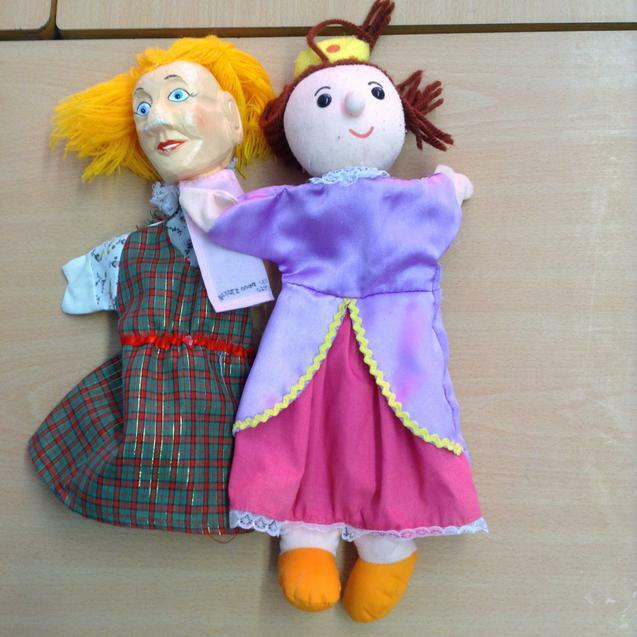 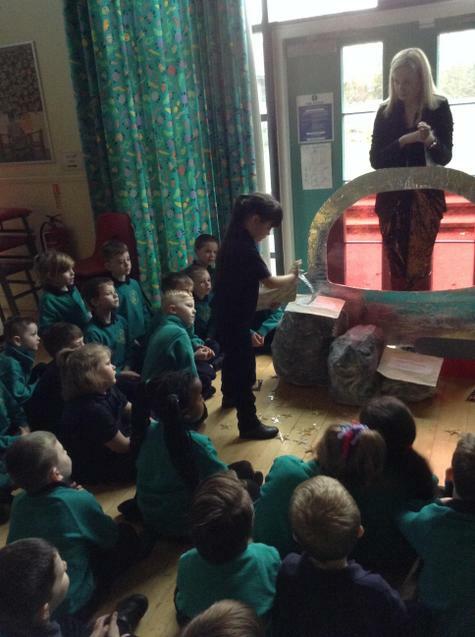 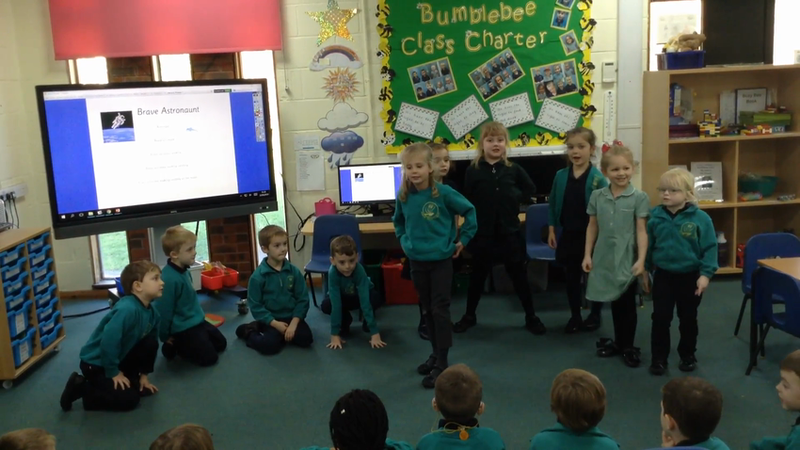 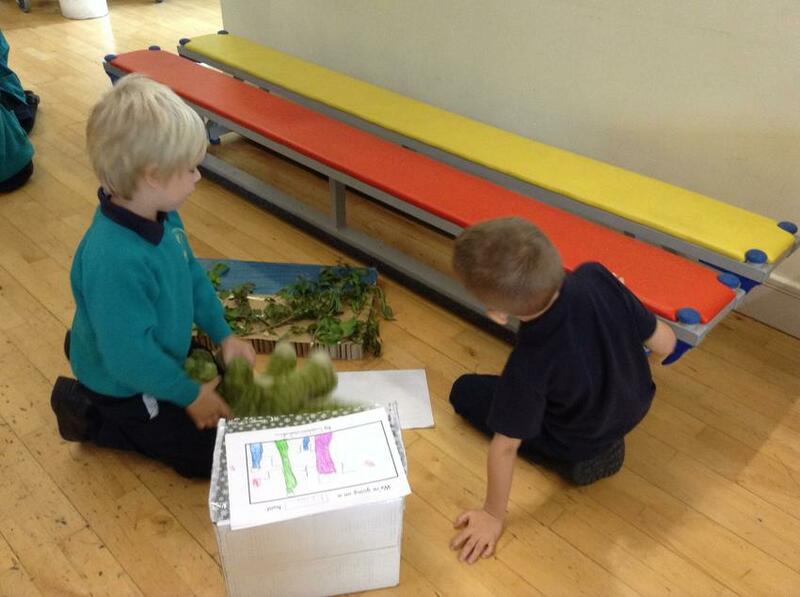 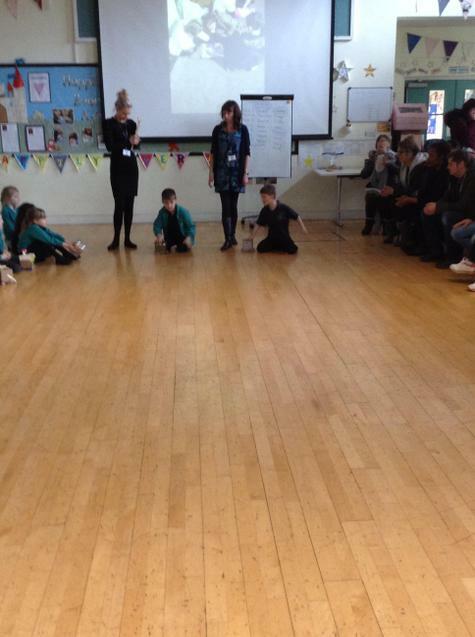 This week the children began their new project 'A Right Royal Occasion'. 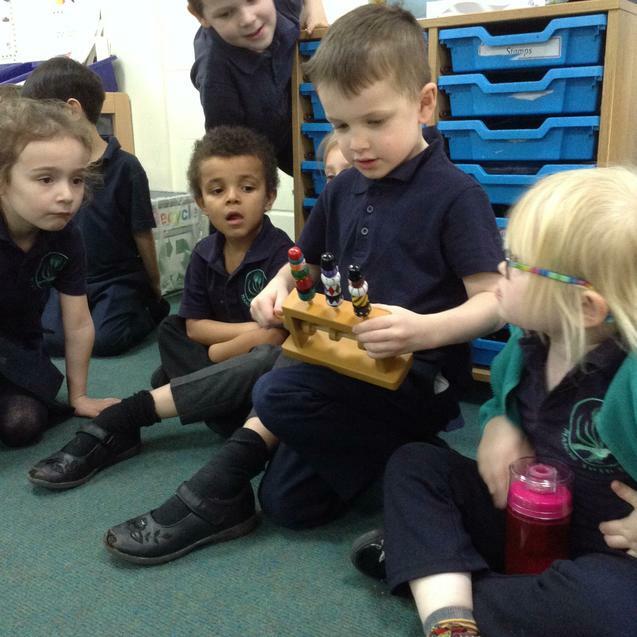 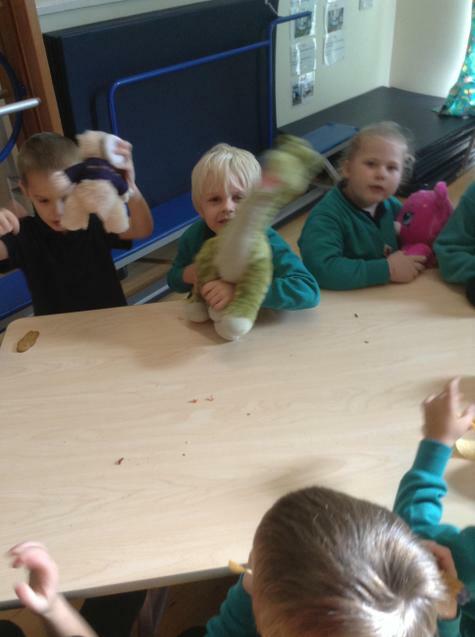 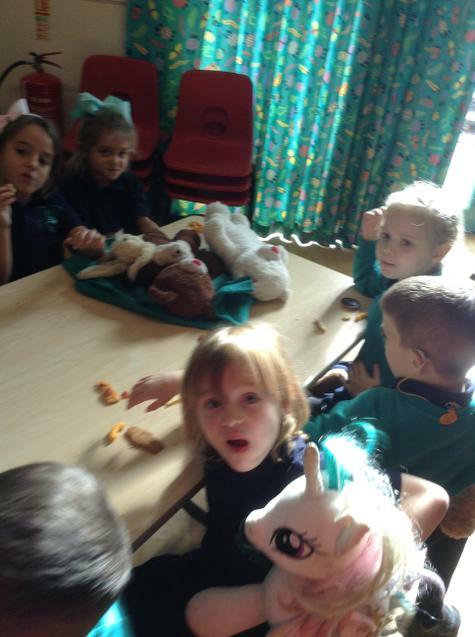 This week in History the children have been exploring old and new toys, we discussed the similarities and differences between the toys. 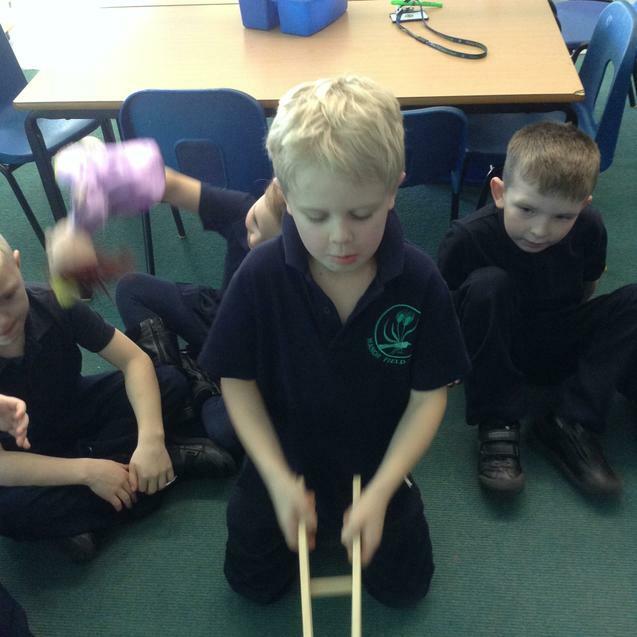 In Maths this week we have been exploring 3D shapes and looking at the properties of these shapes. 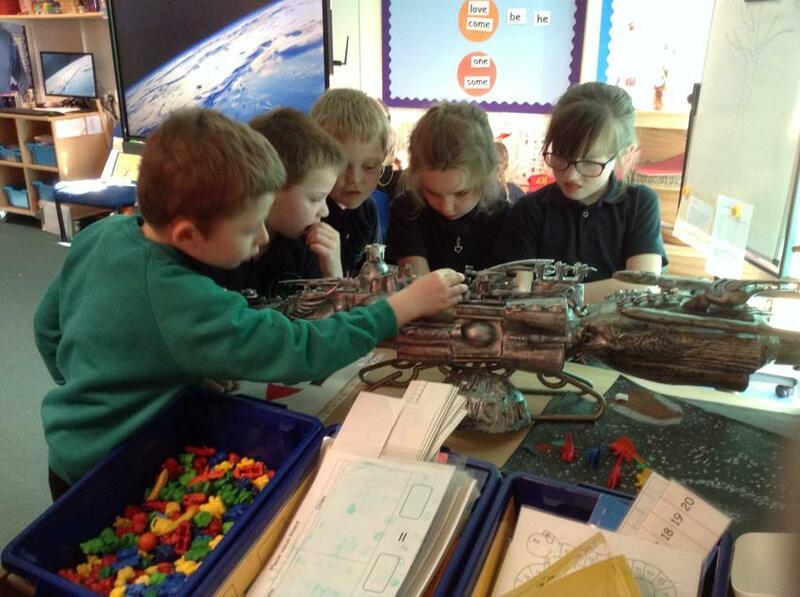 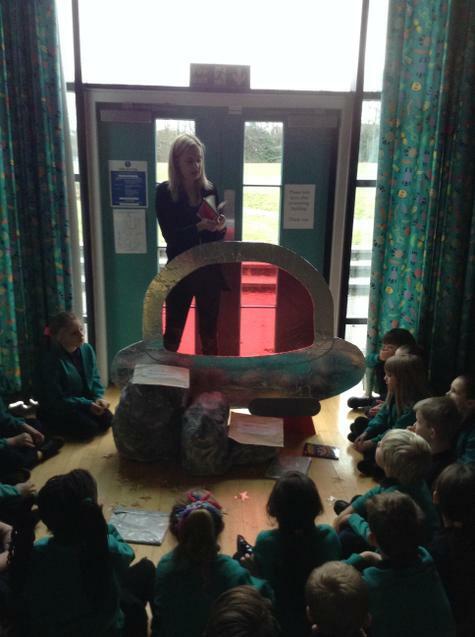 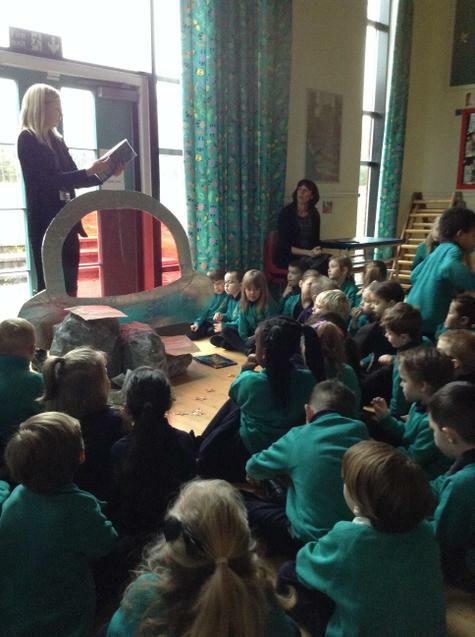 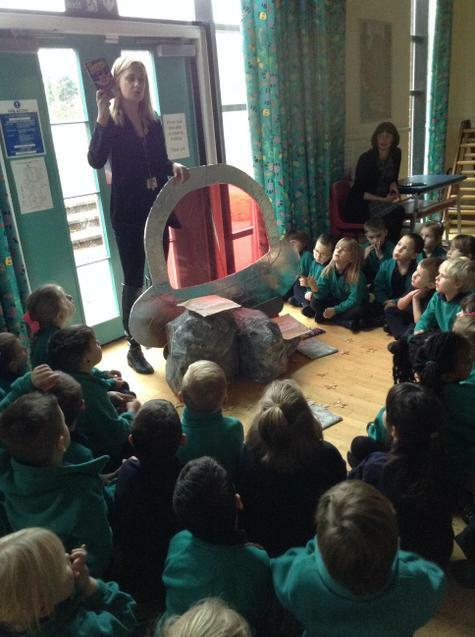 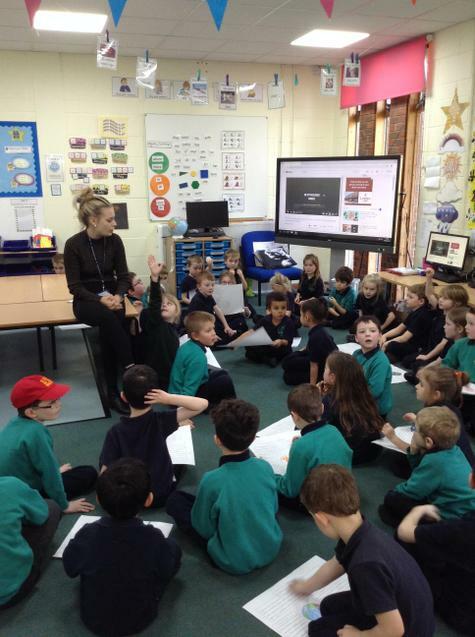 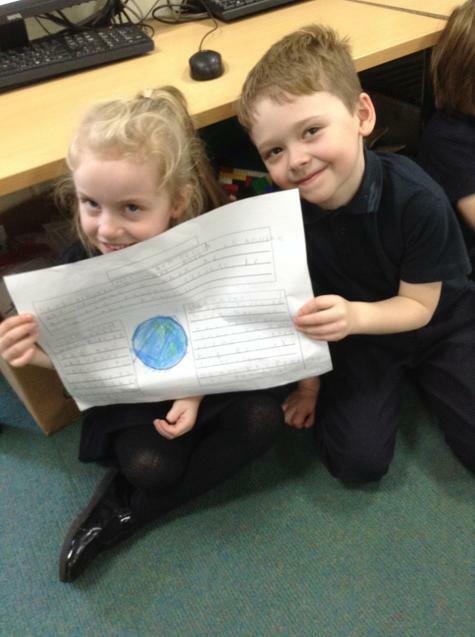 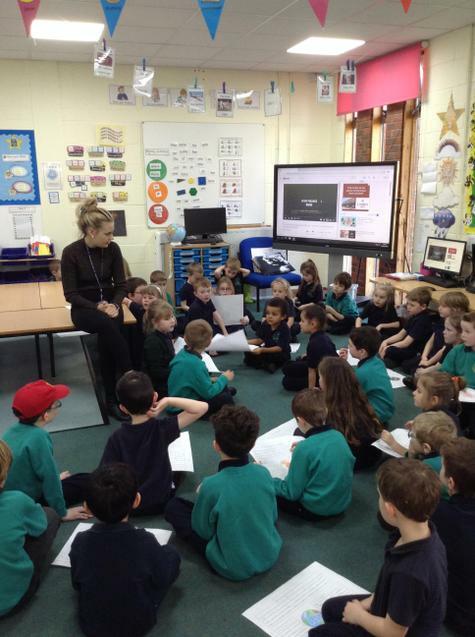 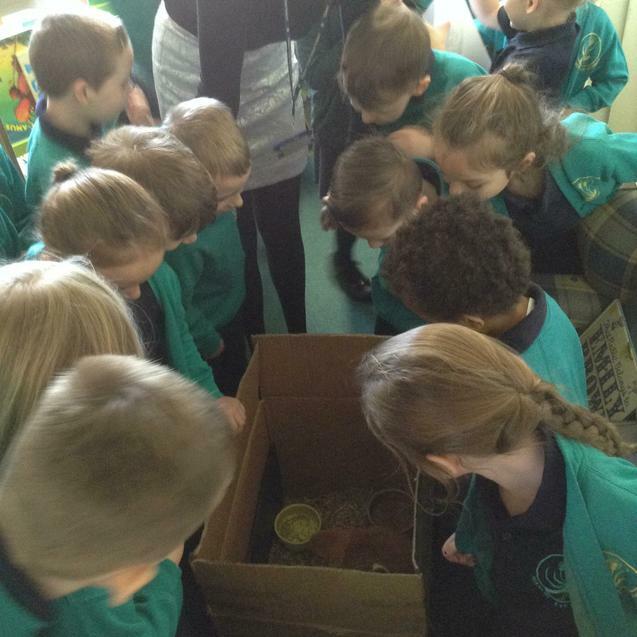 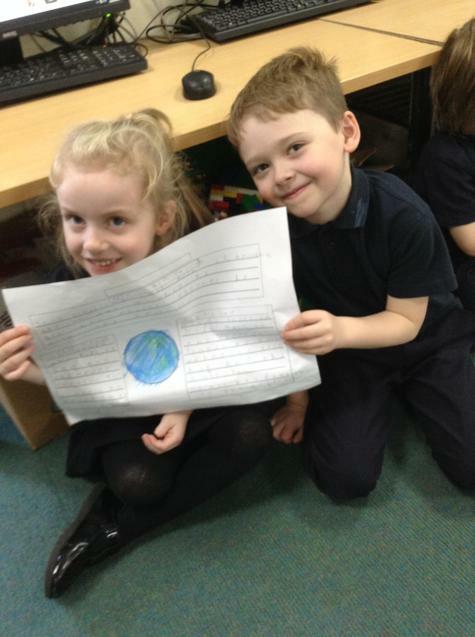 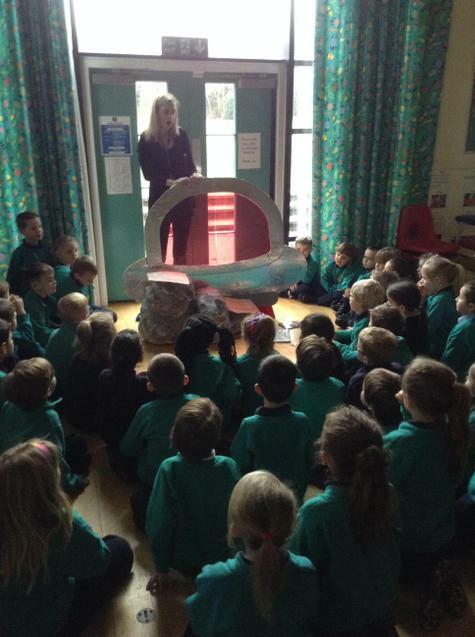 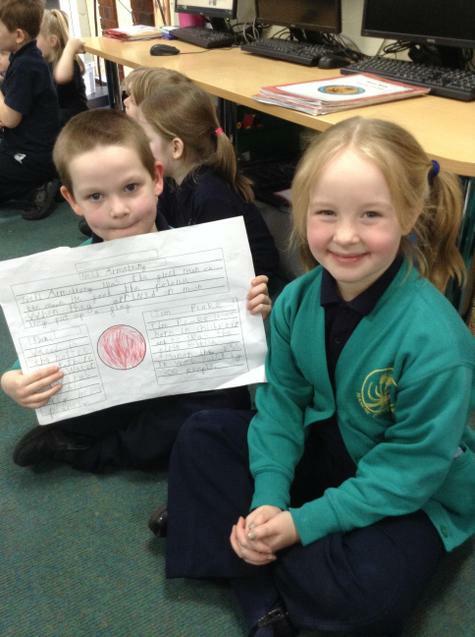 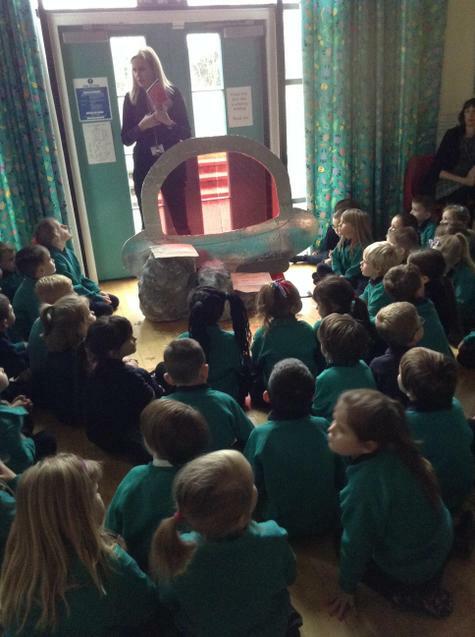 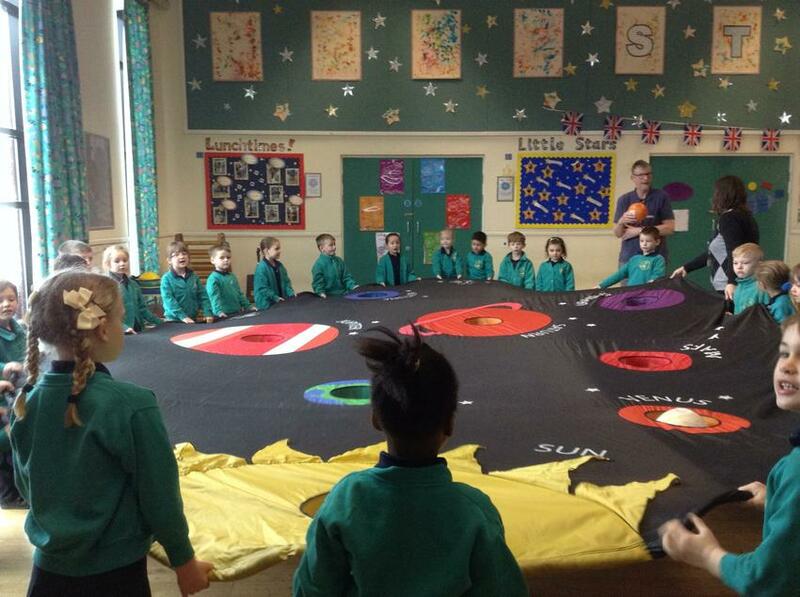 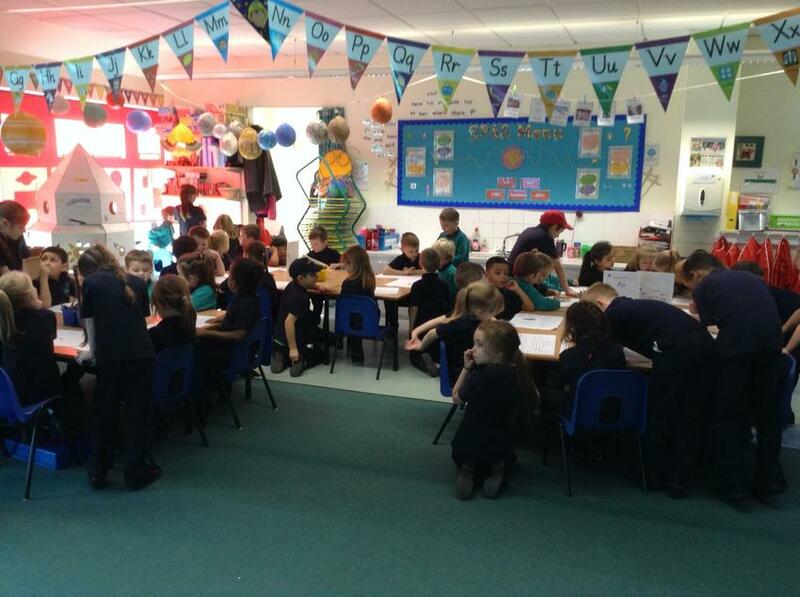 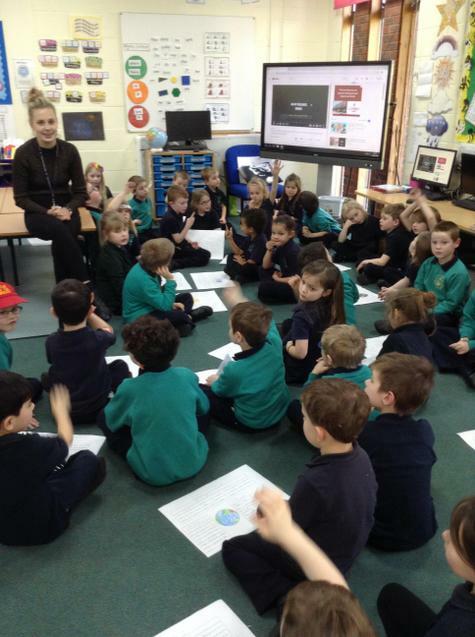 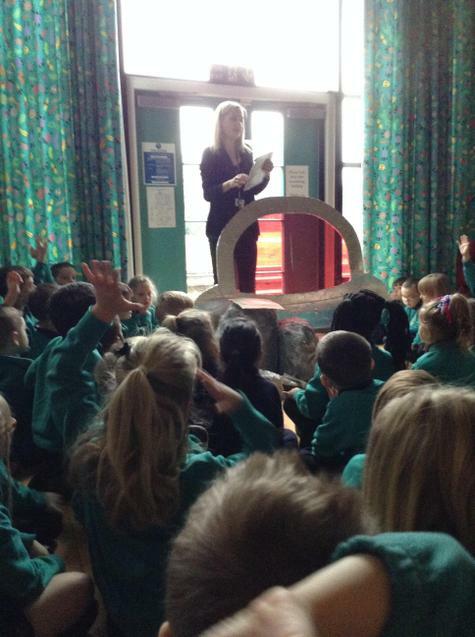 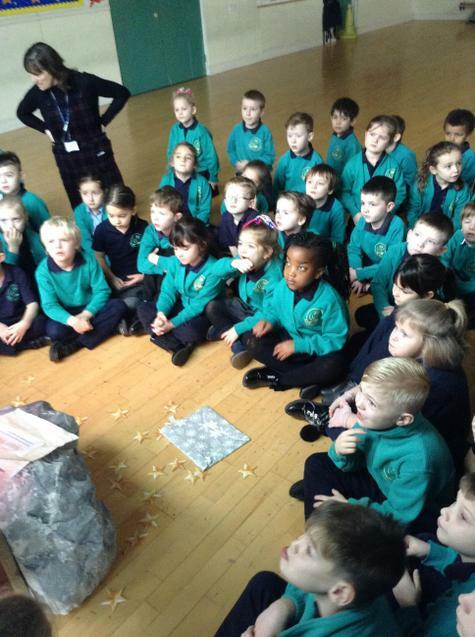 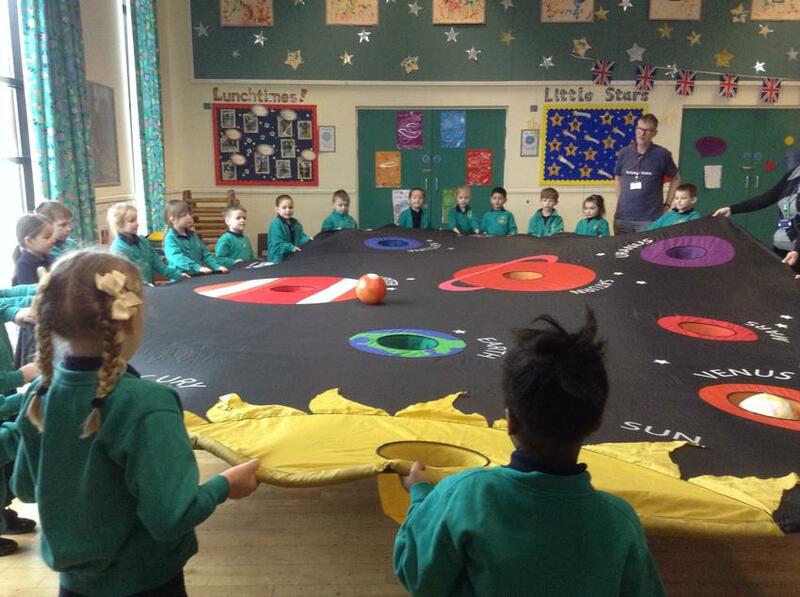 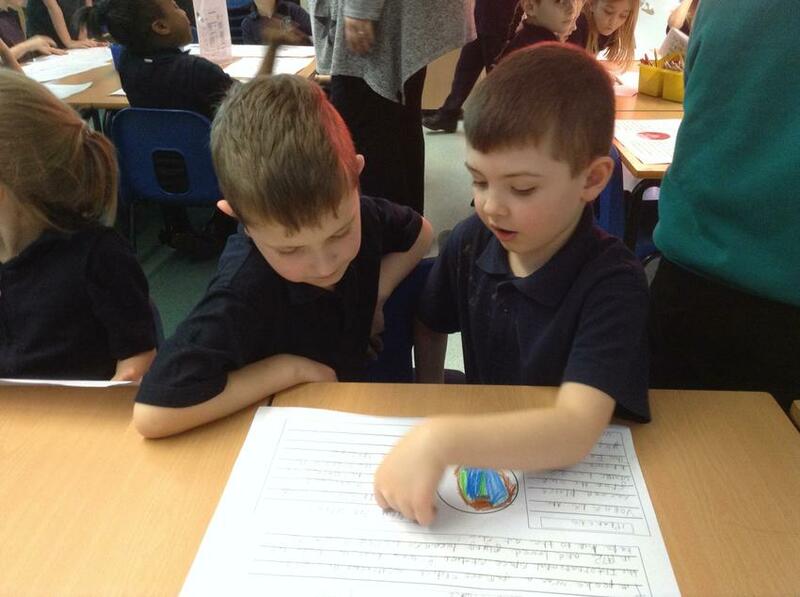 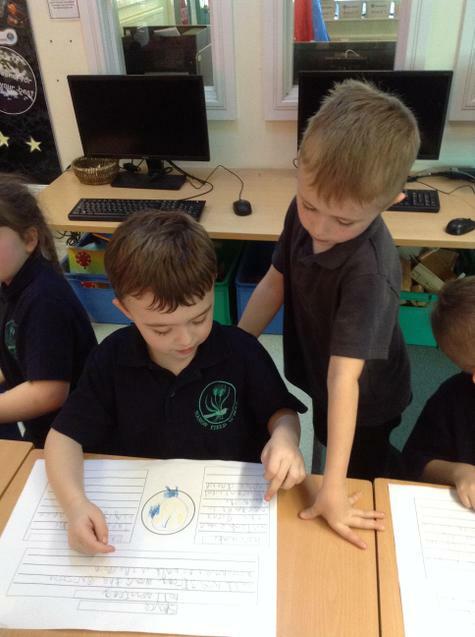 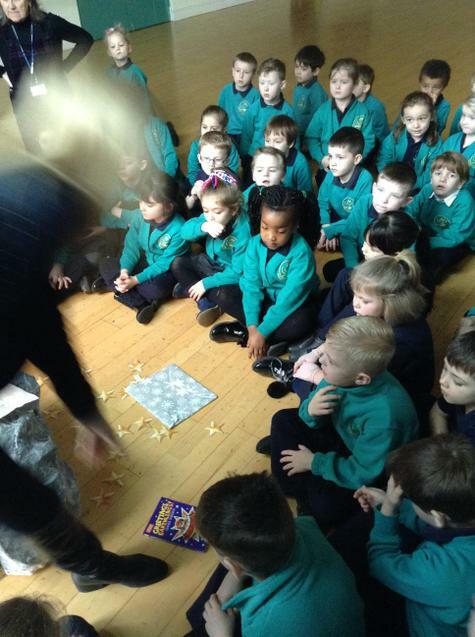 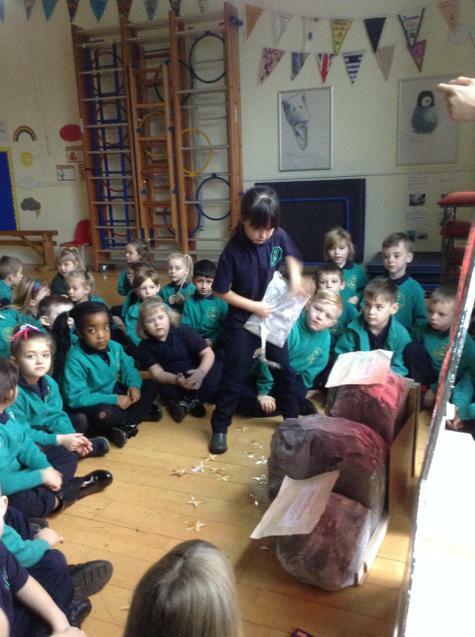 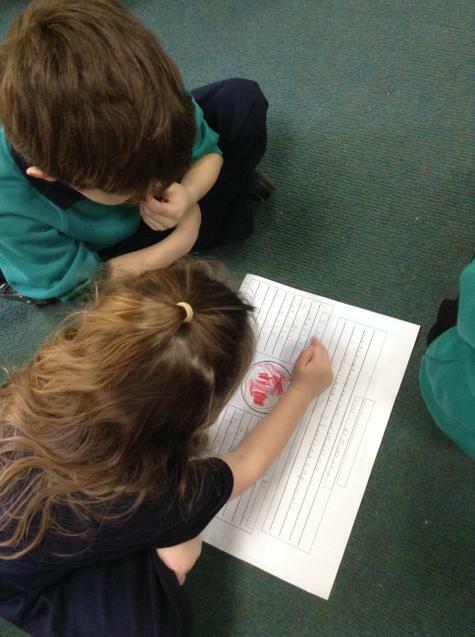 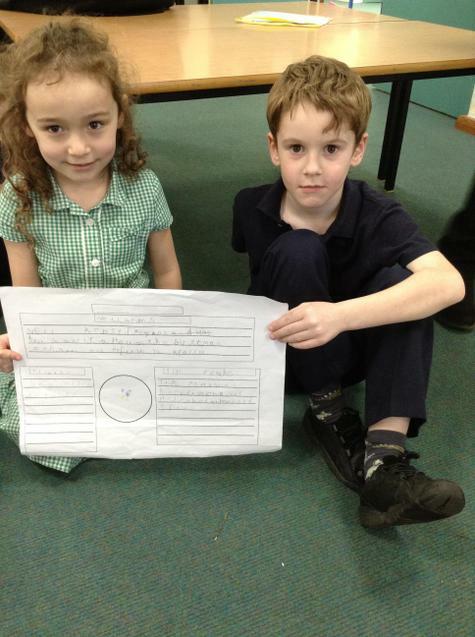 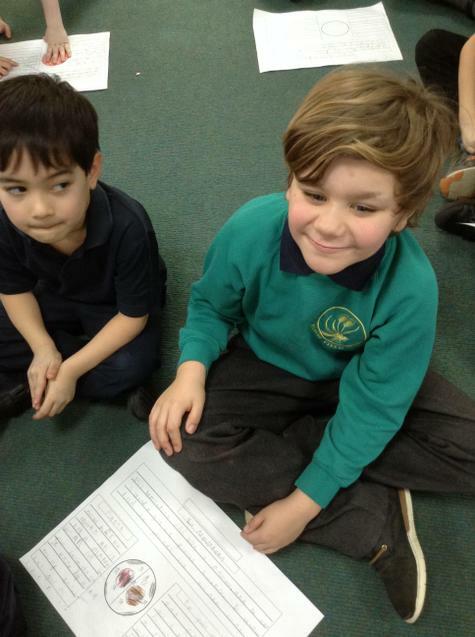 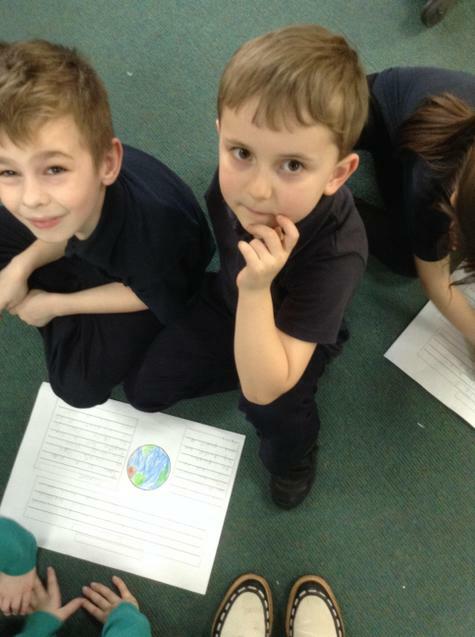 The Year 1 children loved sharing their space fact files with Year 2 today. 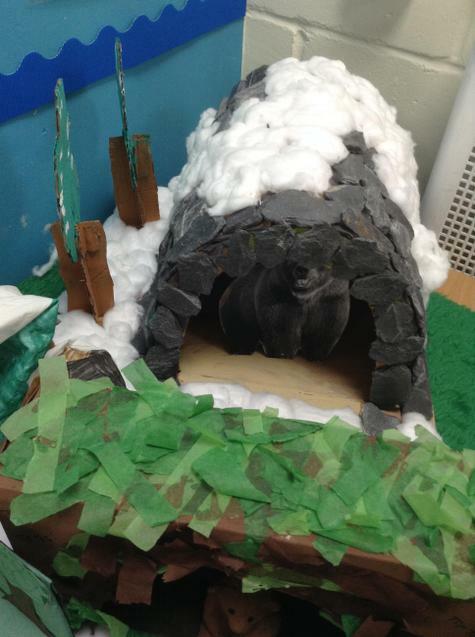 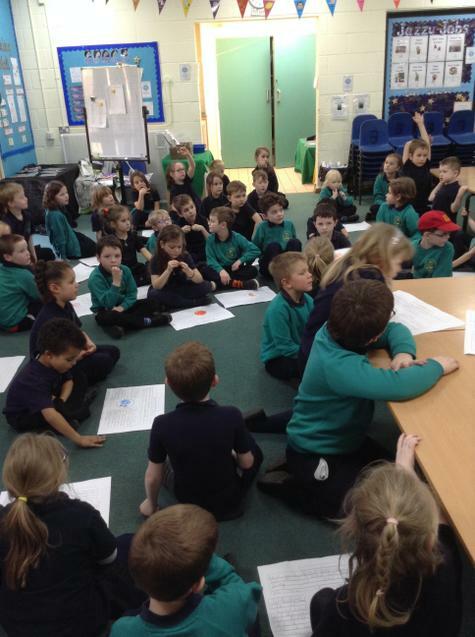 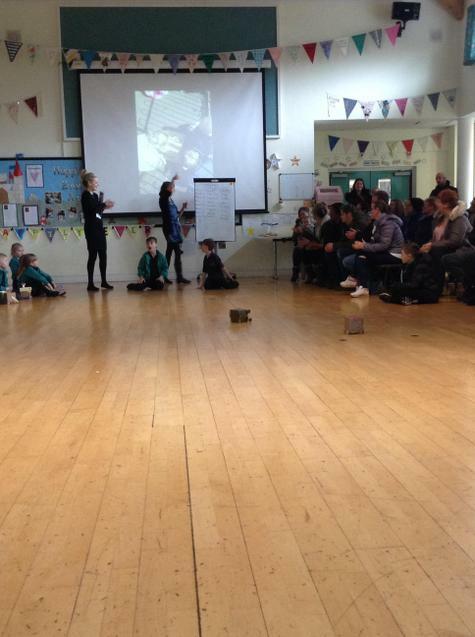 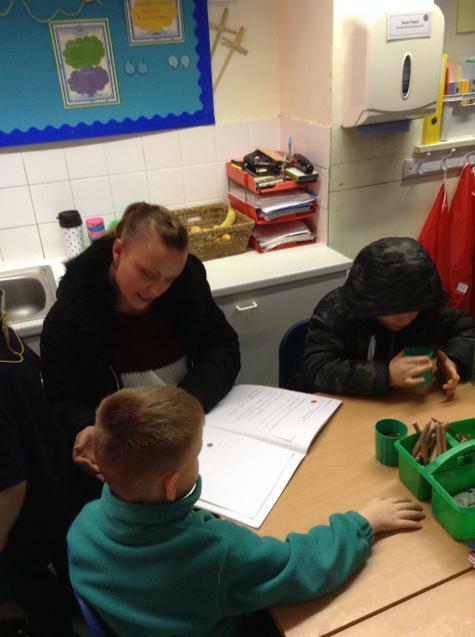 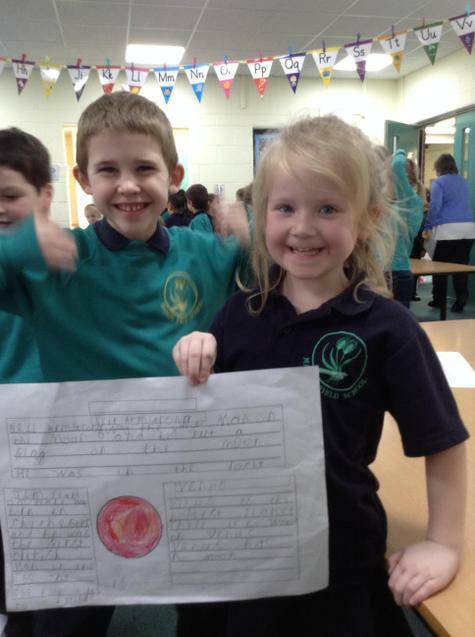 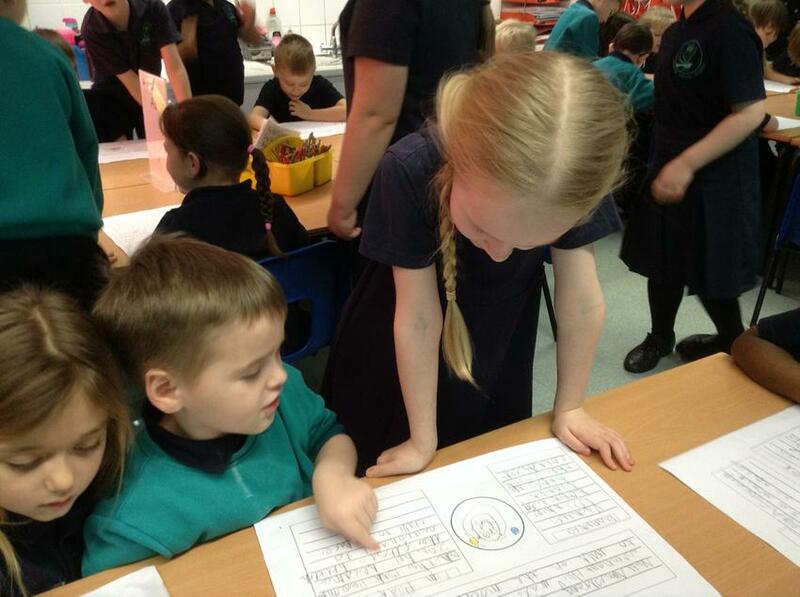 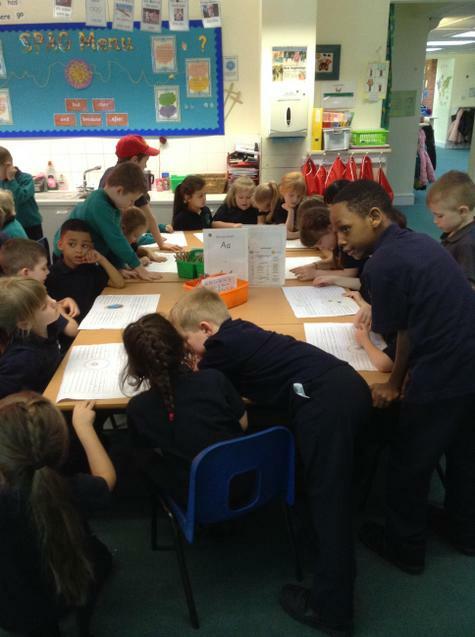 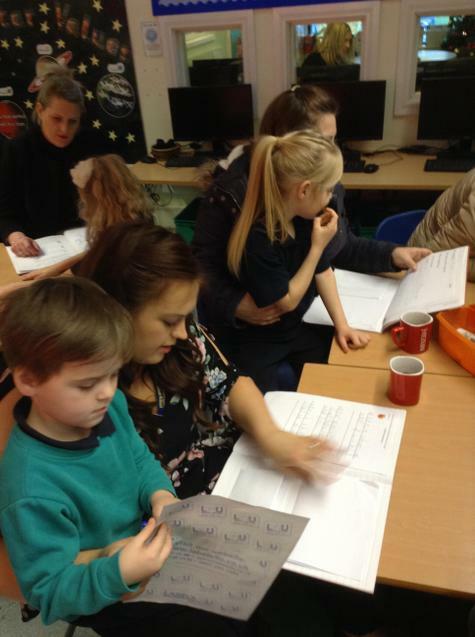 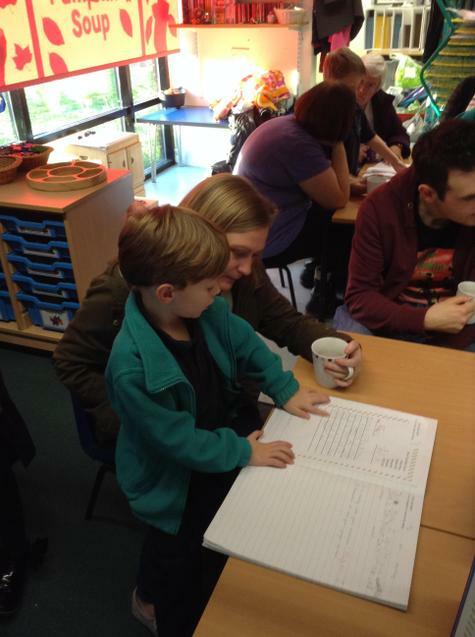 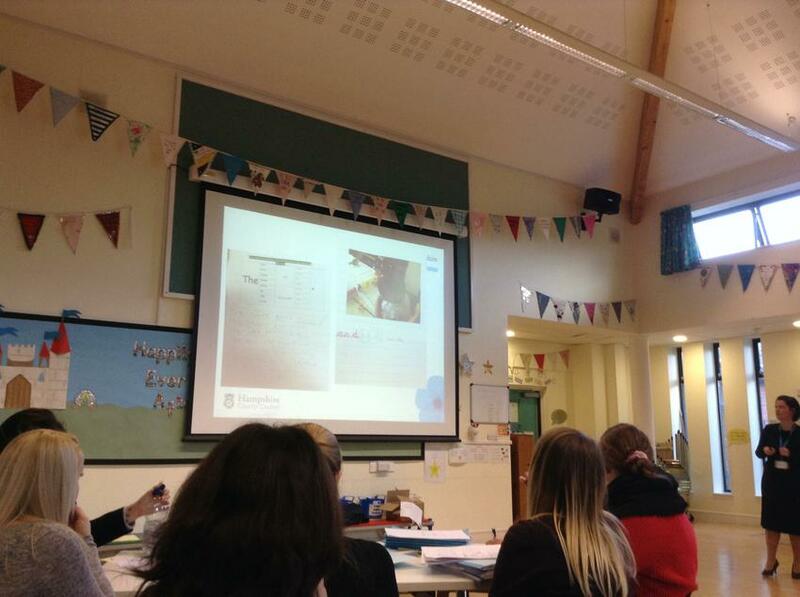 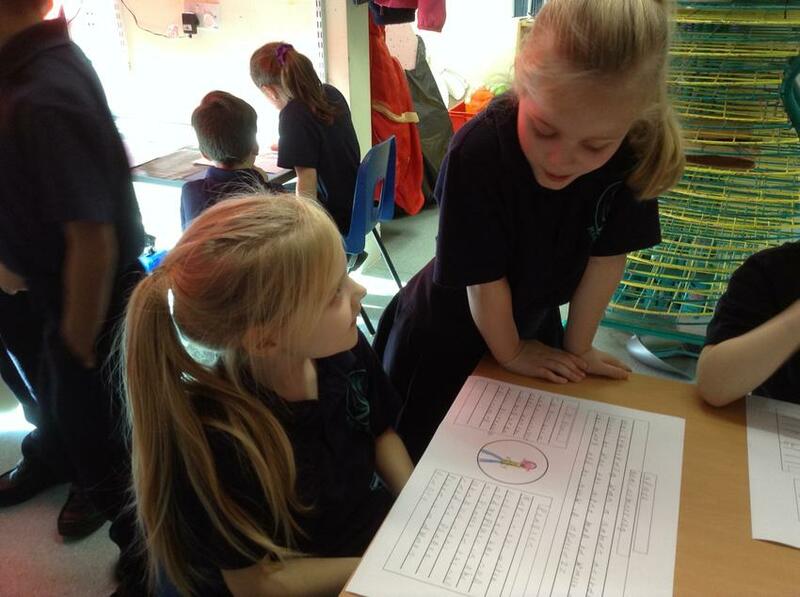 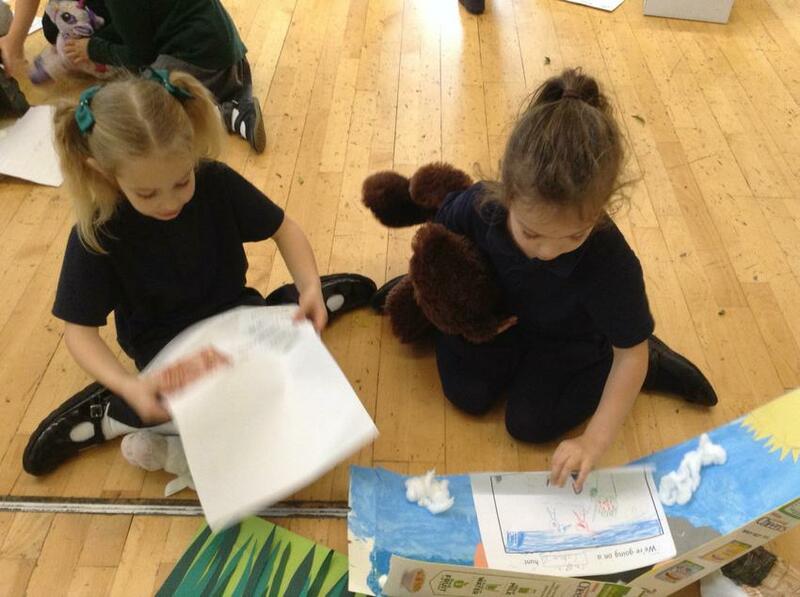 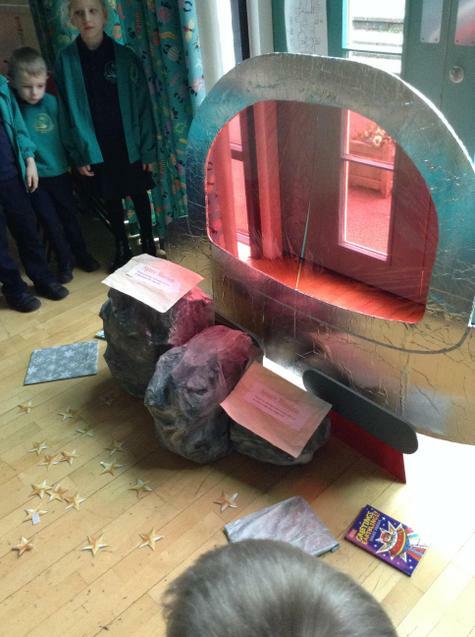 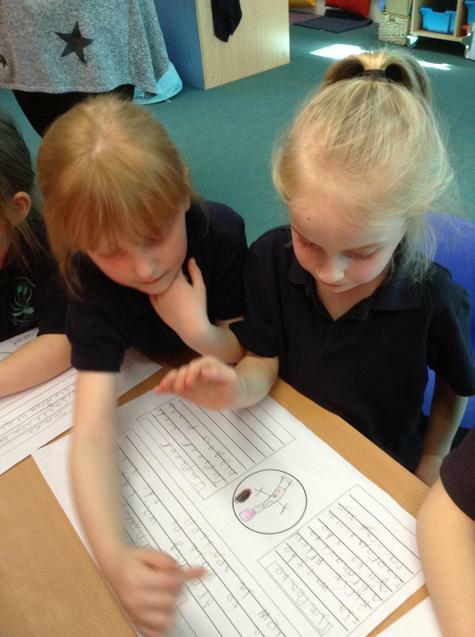 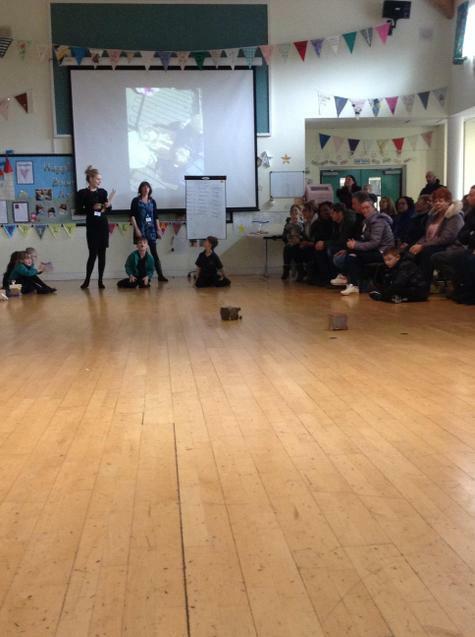 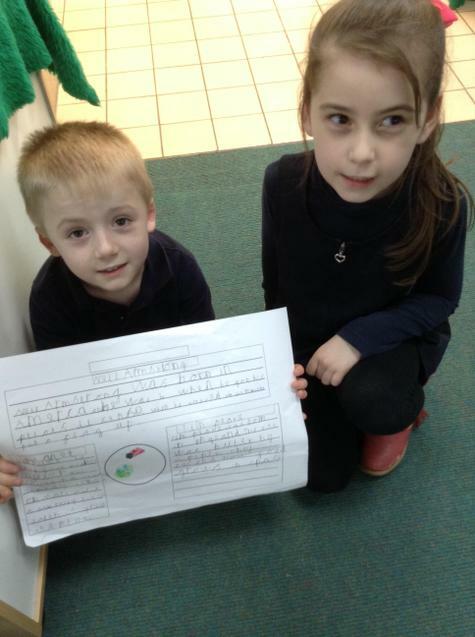 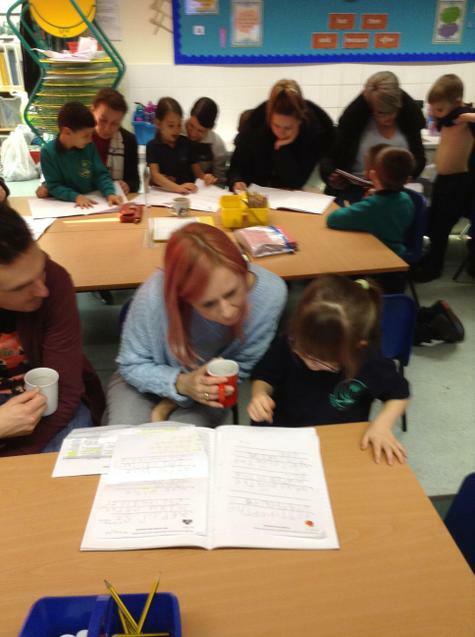 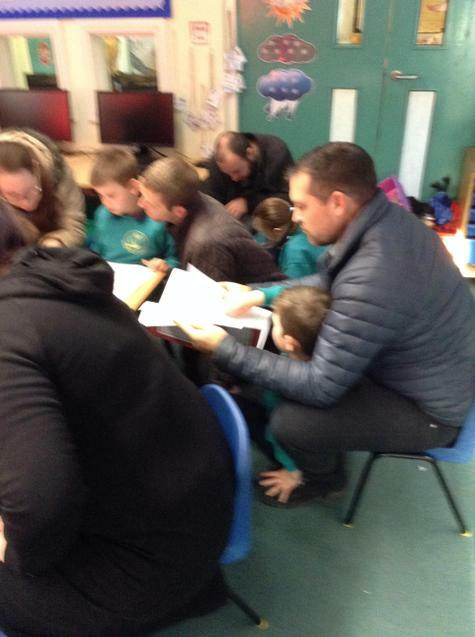 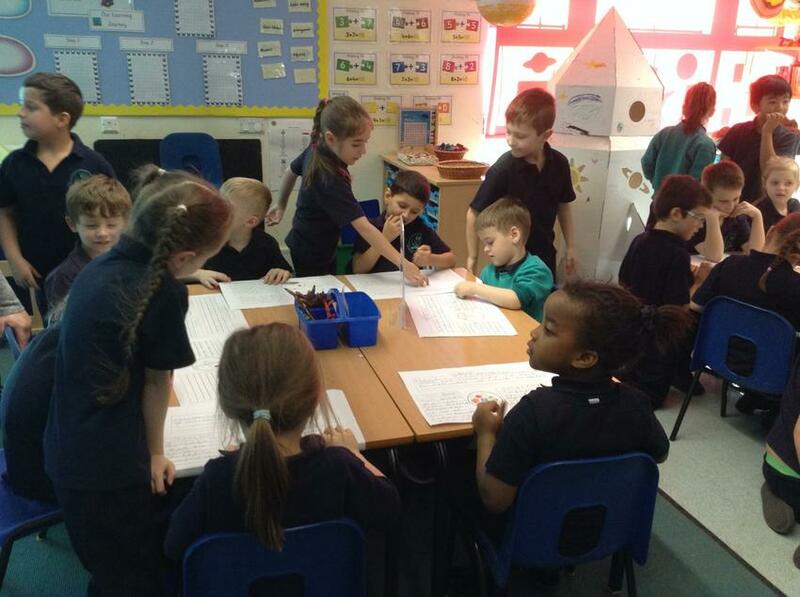 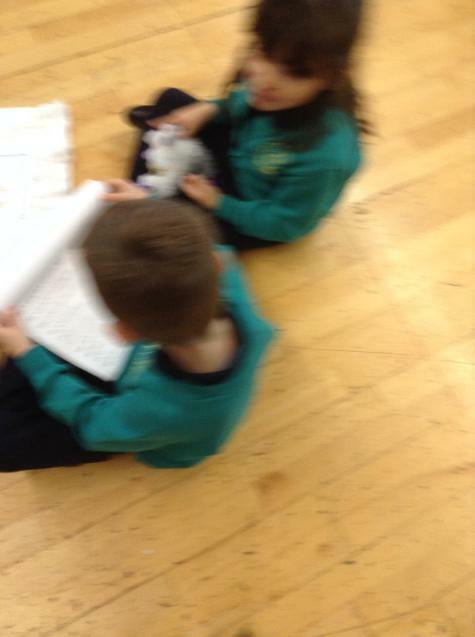 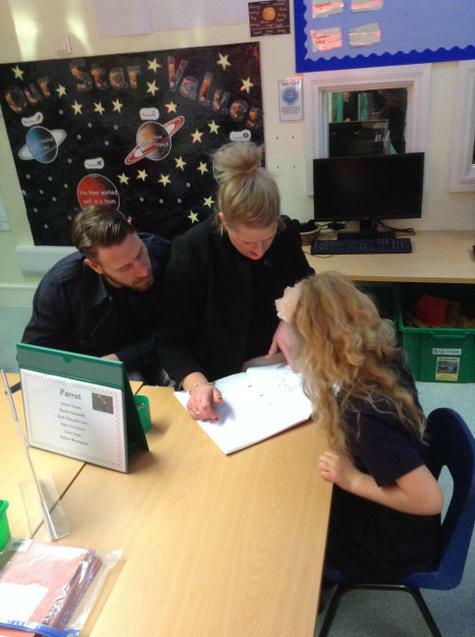 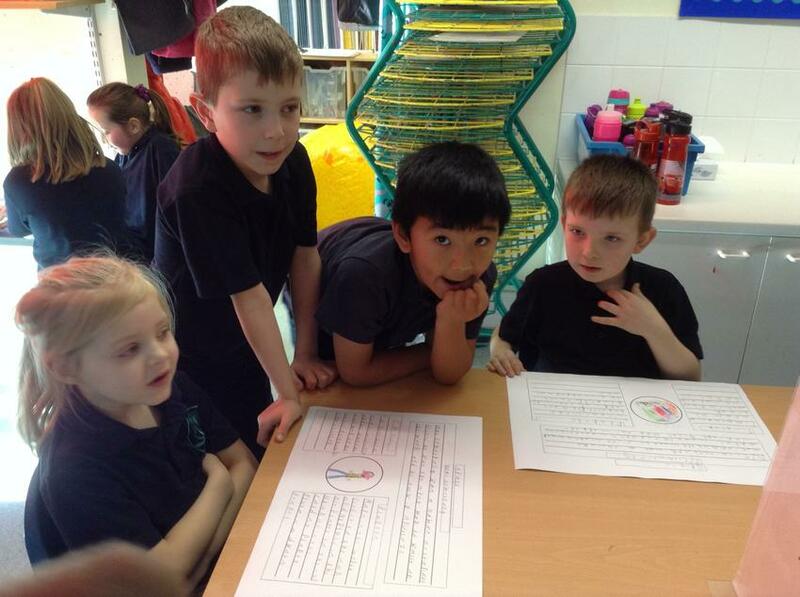 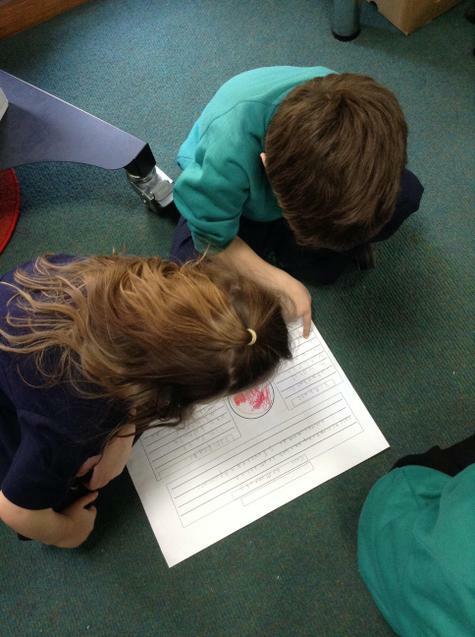 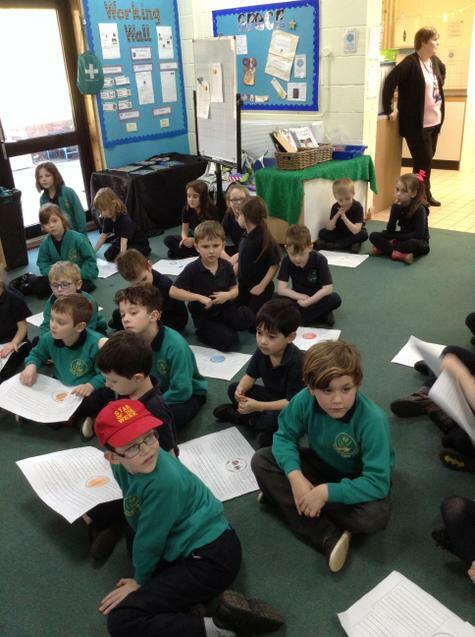 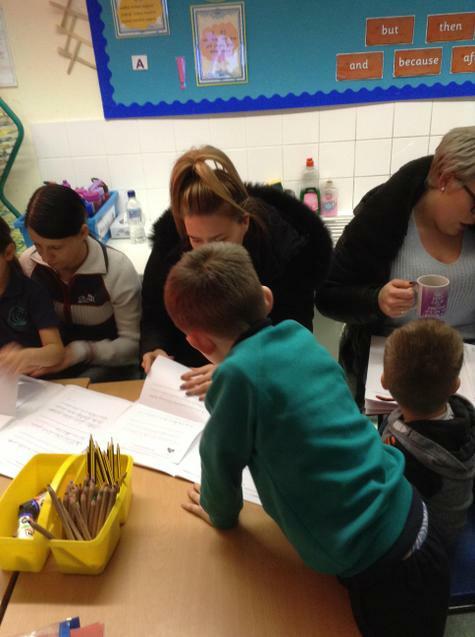 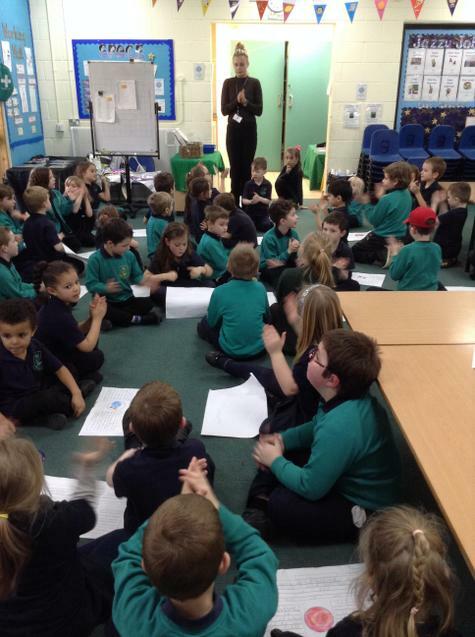 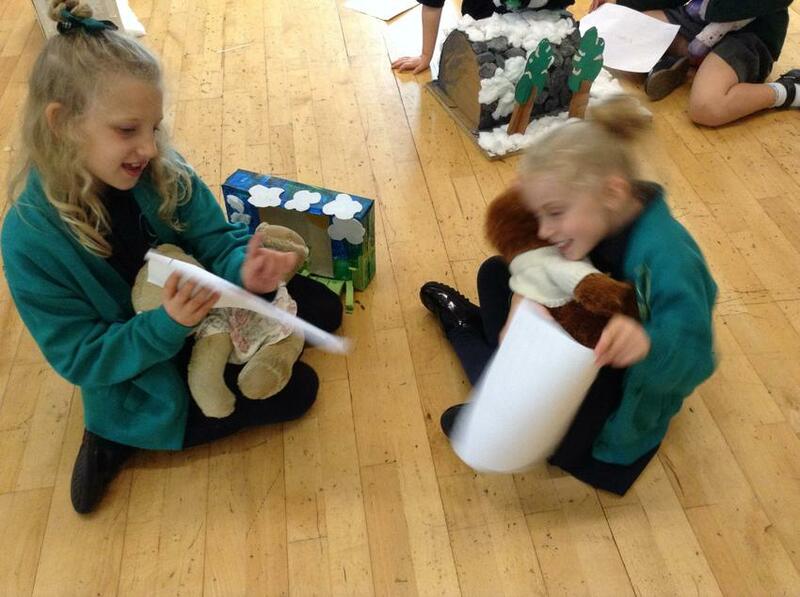 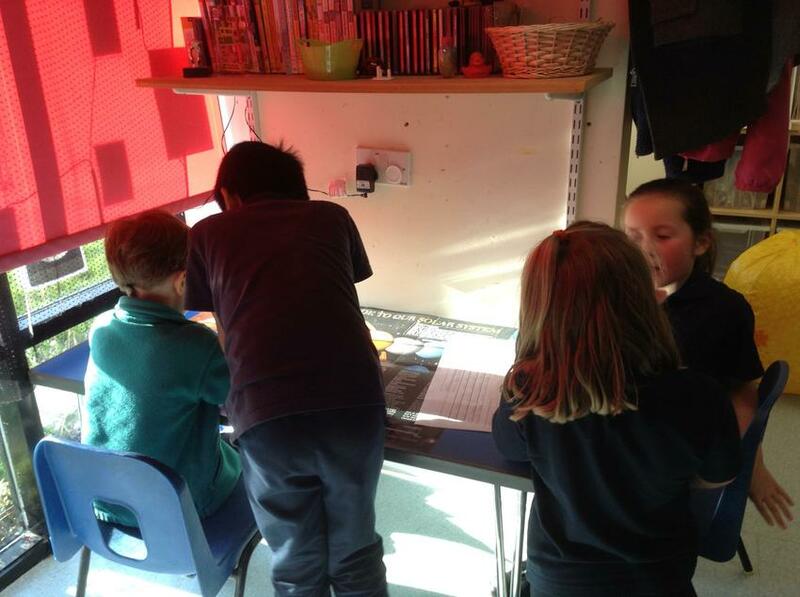 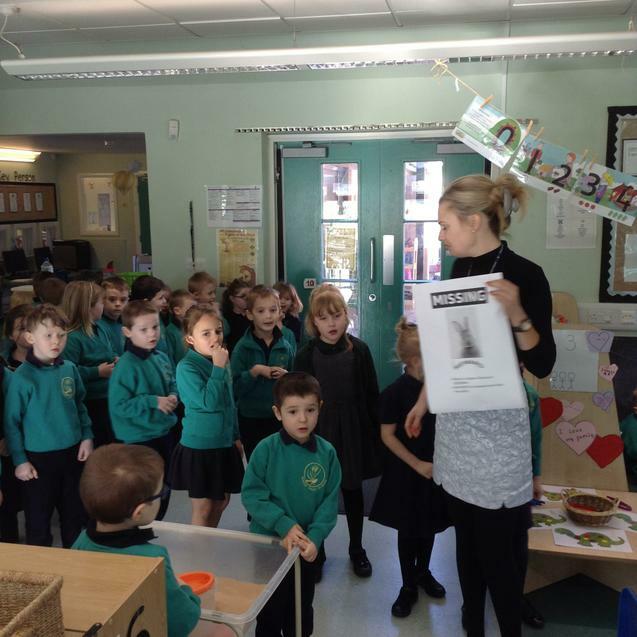 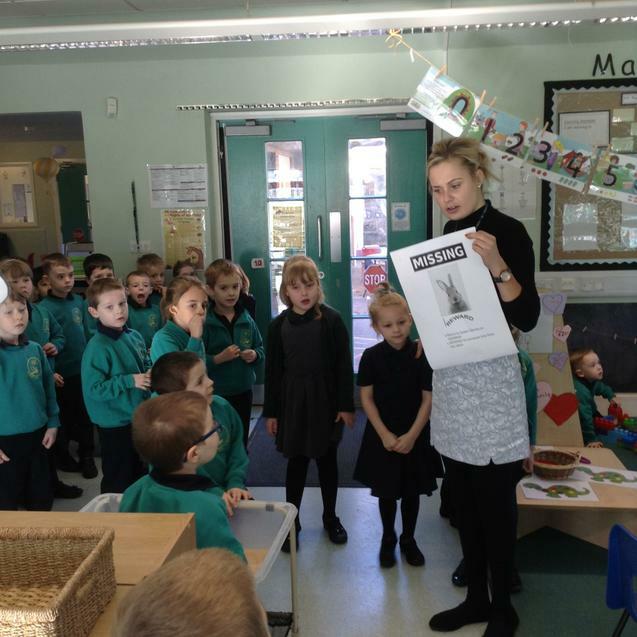 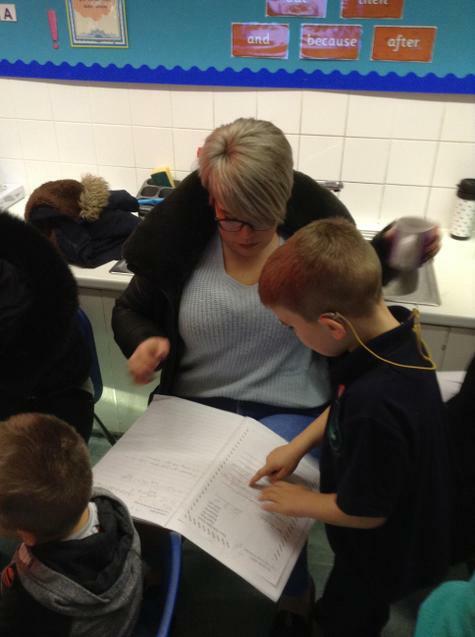 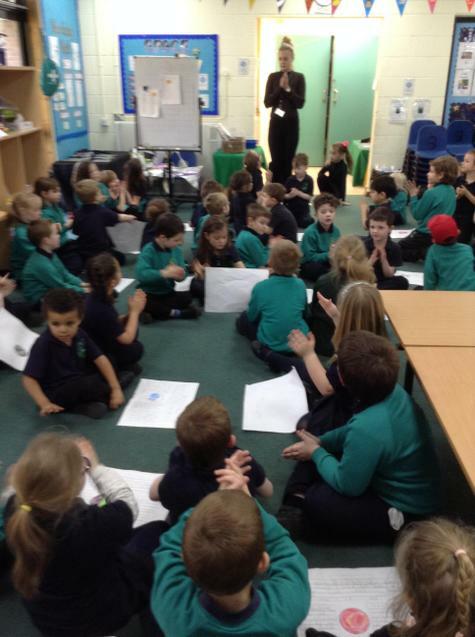 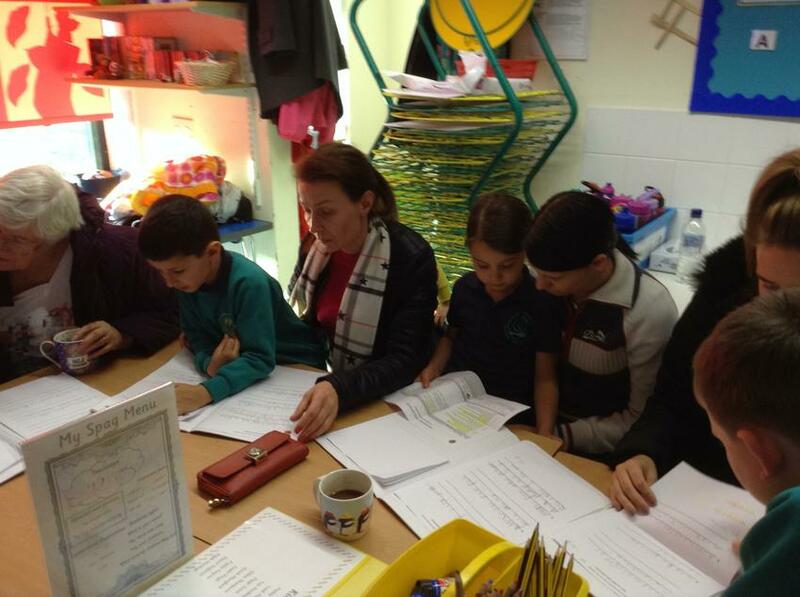 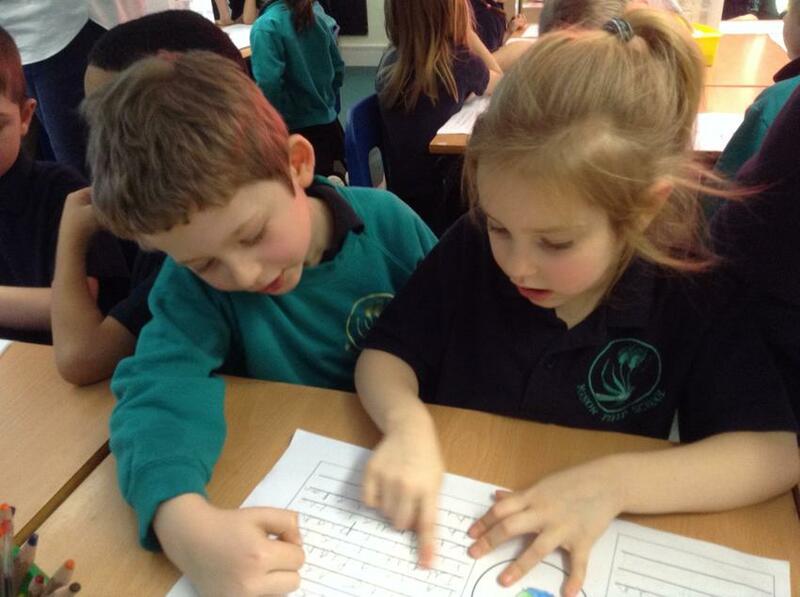 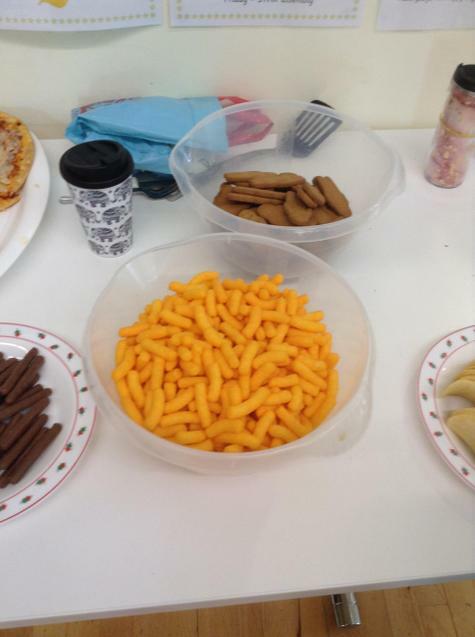 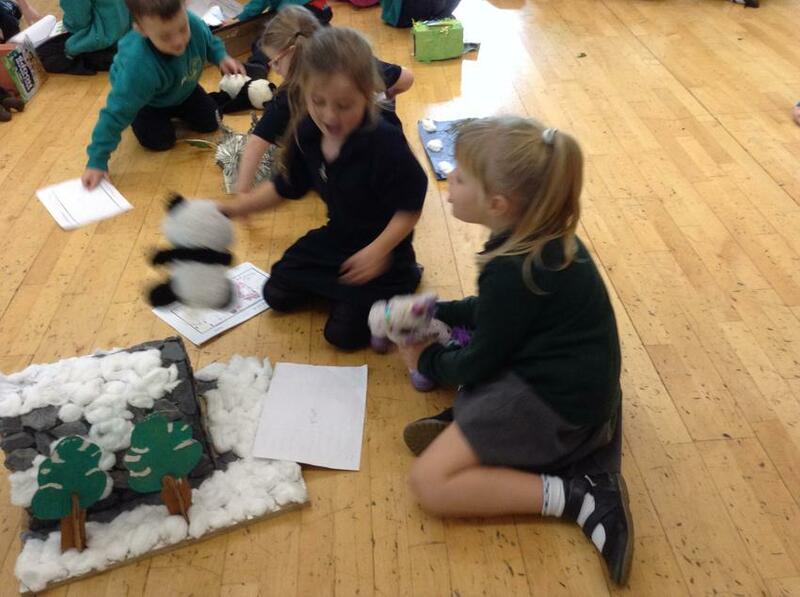 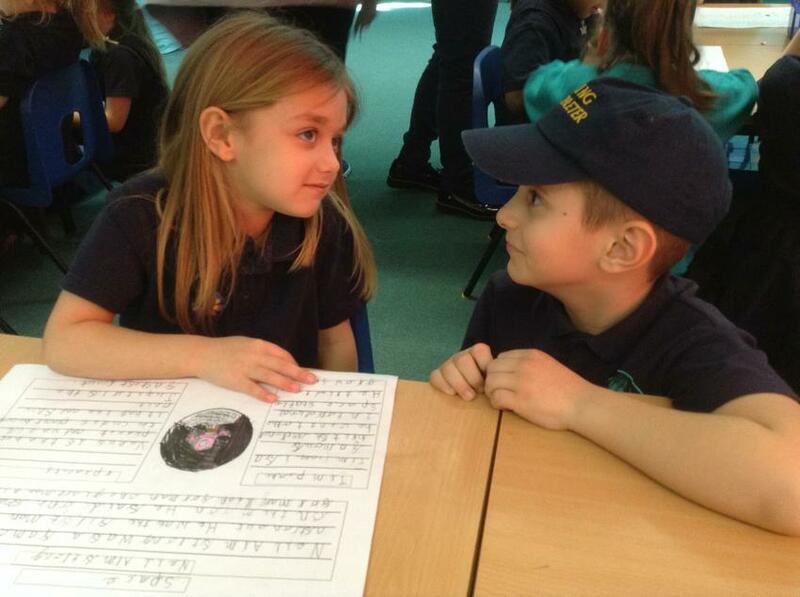 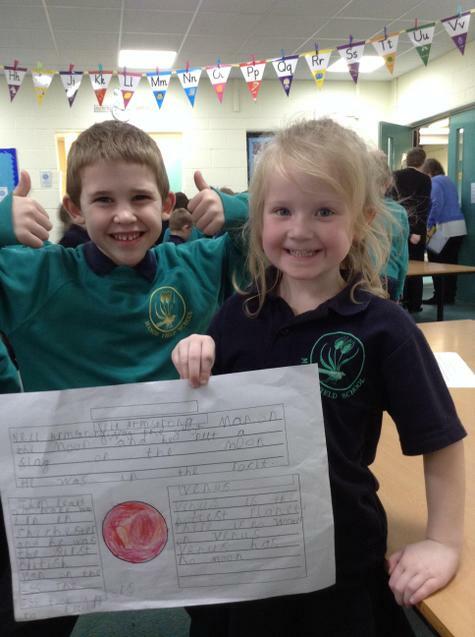 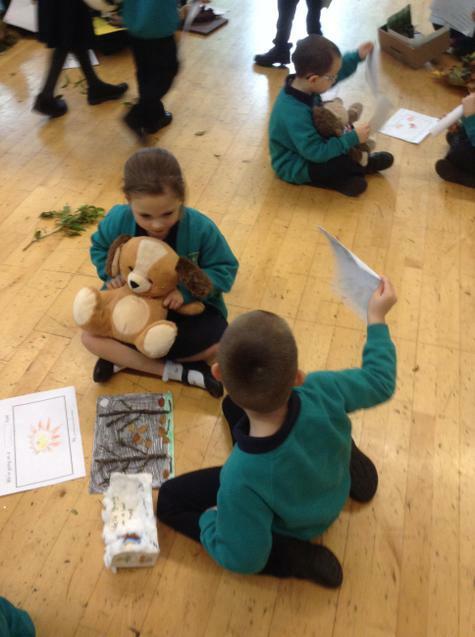 The children showed them their plans, drafts and final published reports. 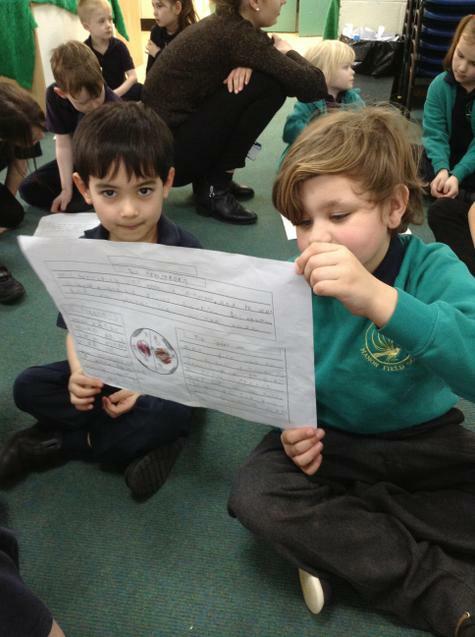 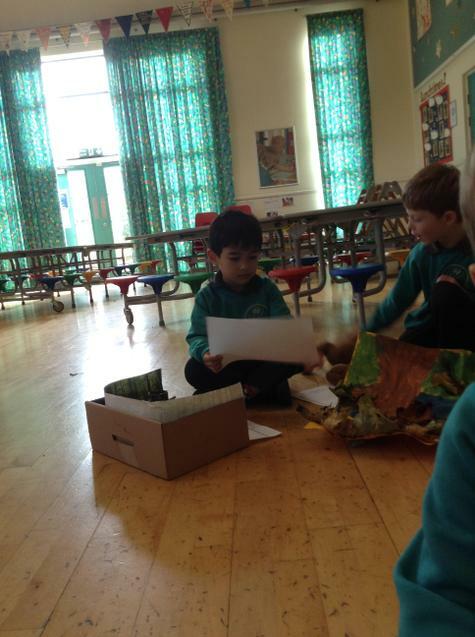 The Year 2 children were so impressed with their fact files.